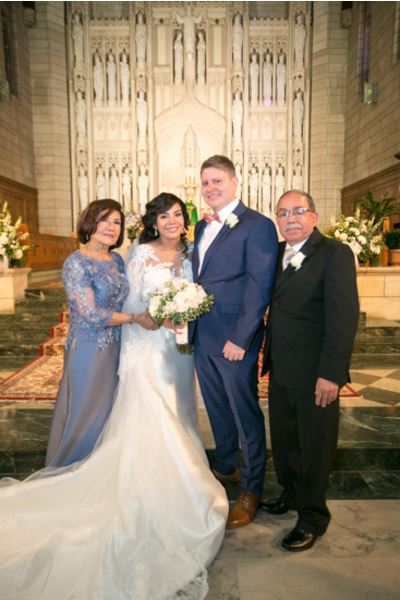 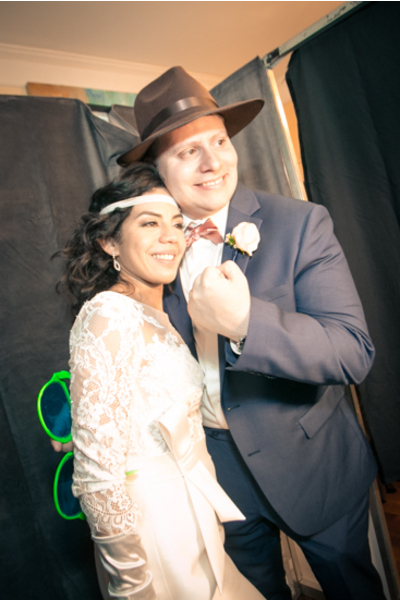 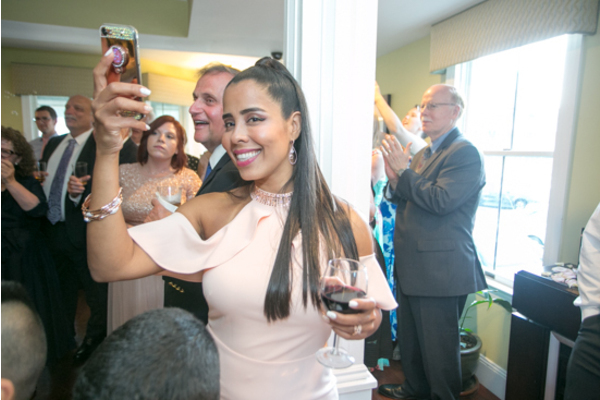 Congratulations to Maria and Francis on their marriage! 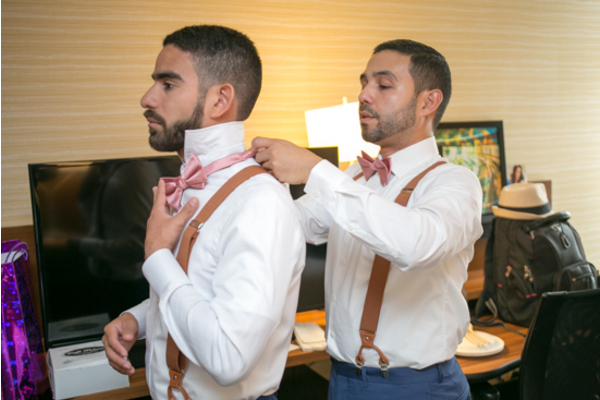 These two soulmates share an unbreakable bond that anyone can see. 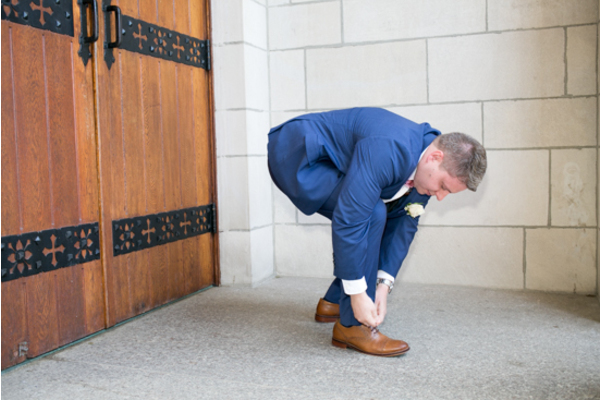 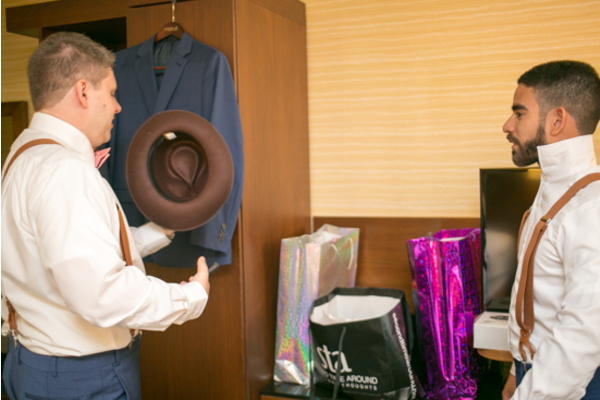 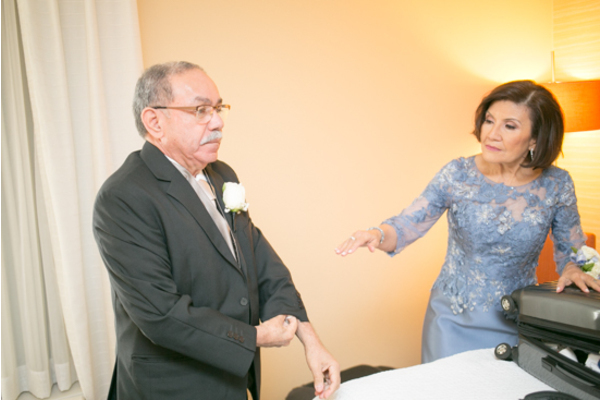 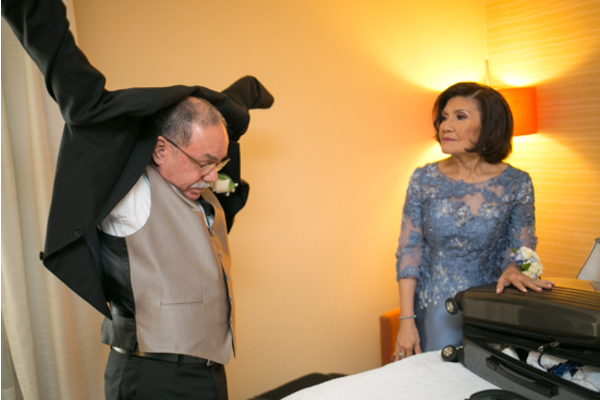 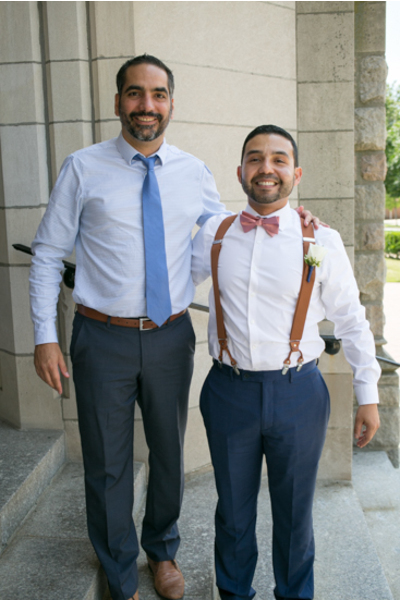 Francis could not wait to finally see his bride-to-be on their big day. 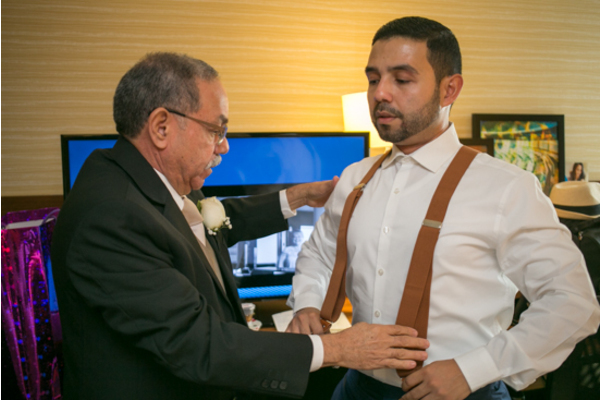 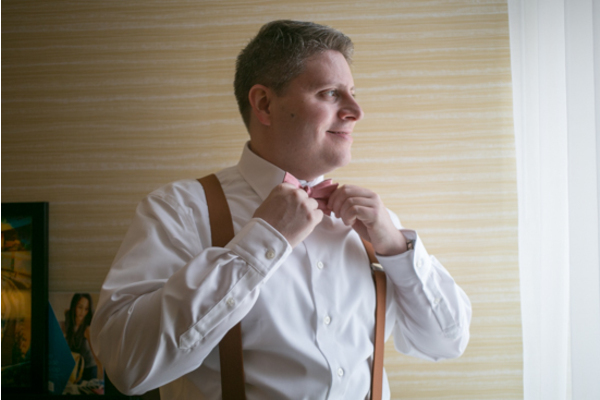 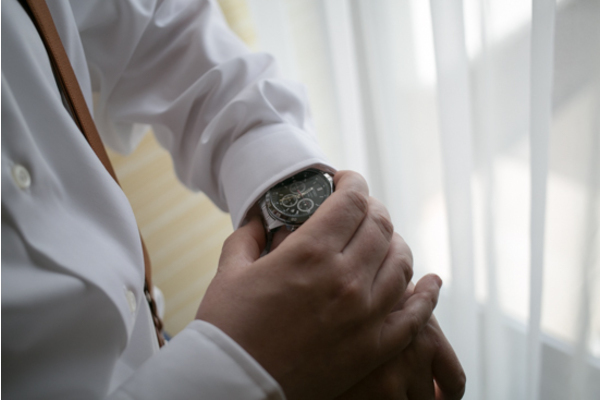 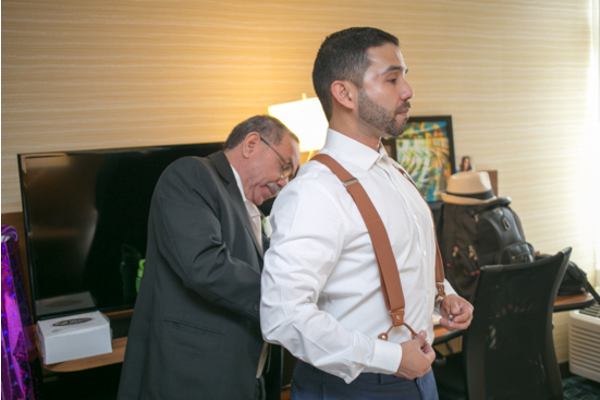 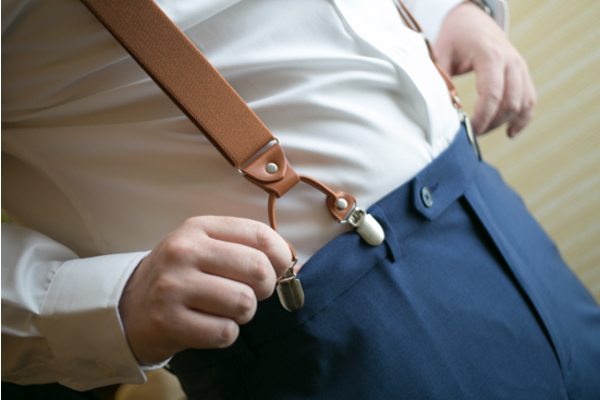 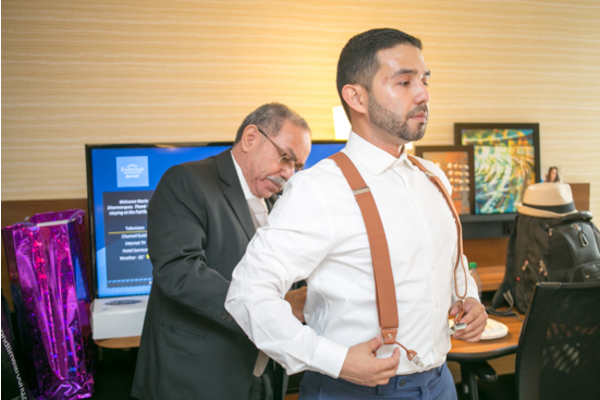 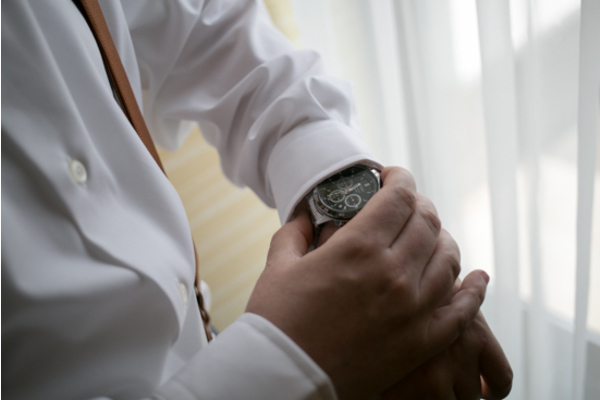 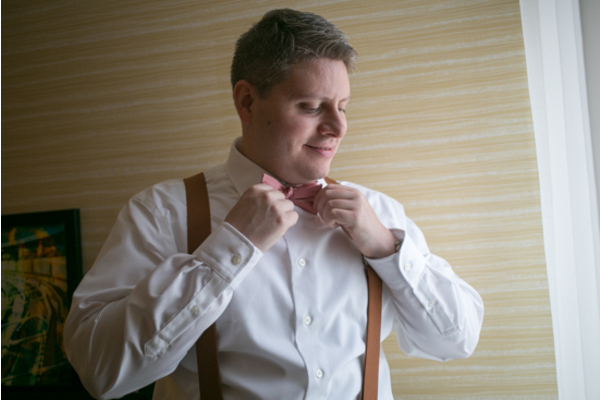 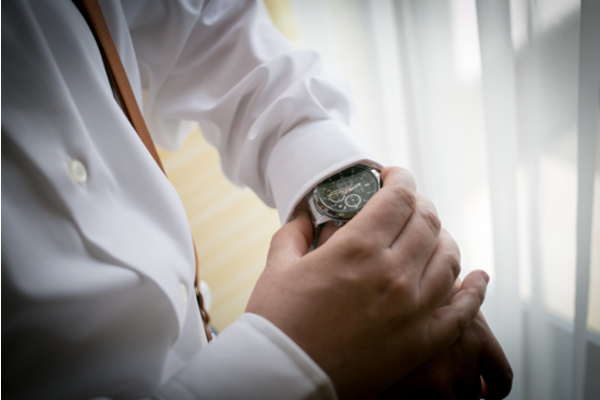 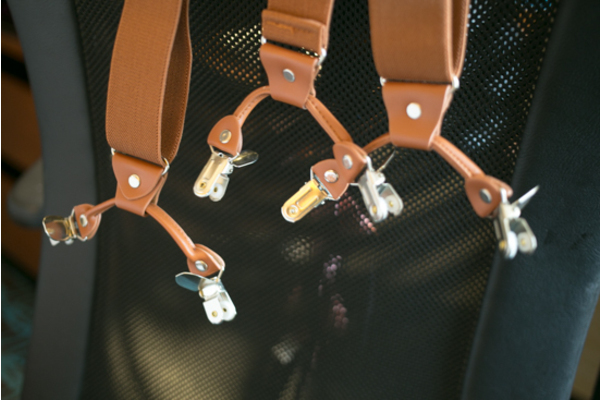 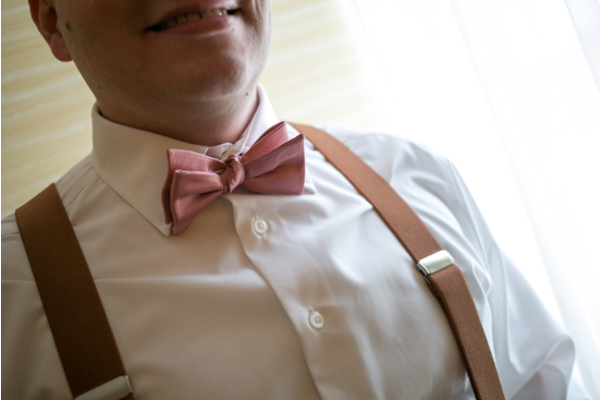 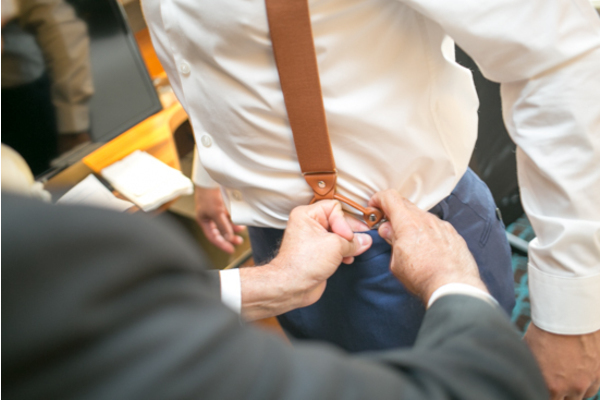 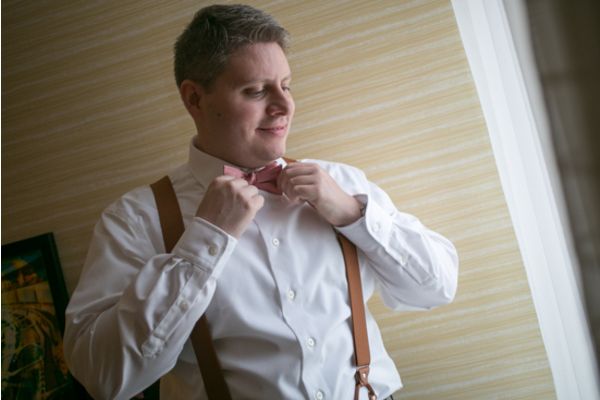 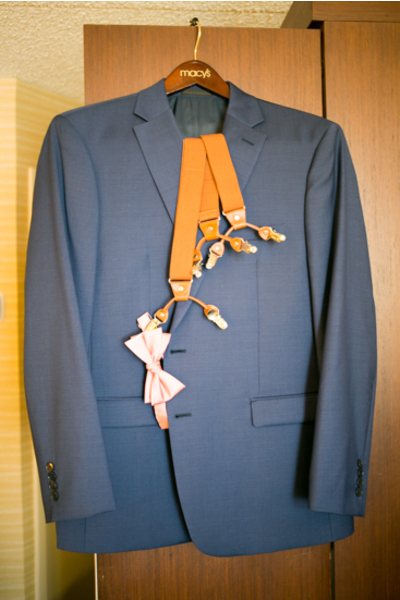 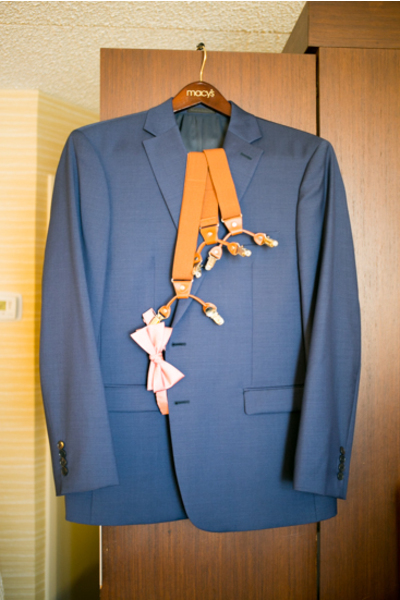 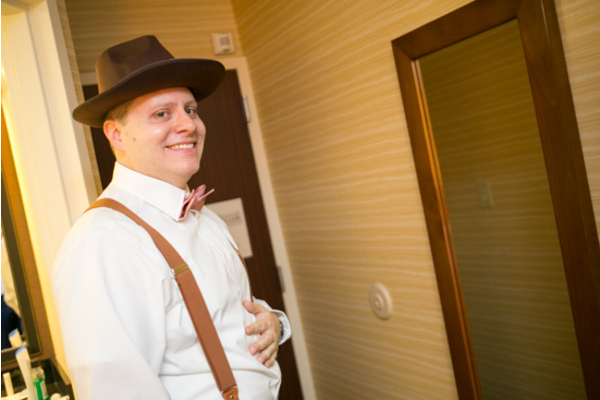 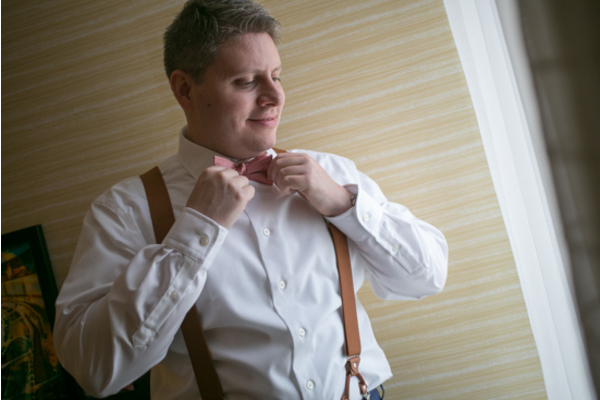 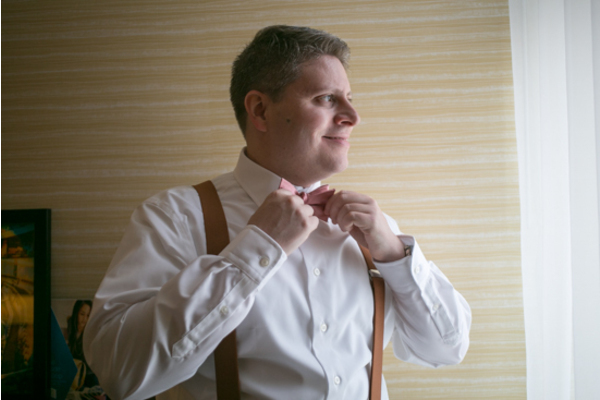 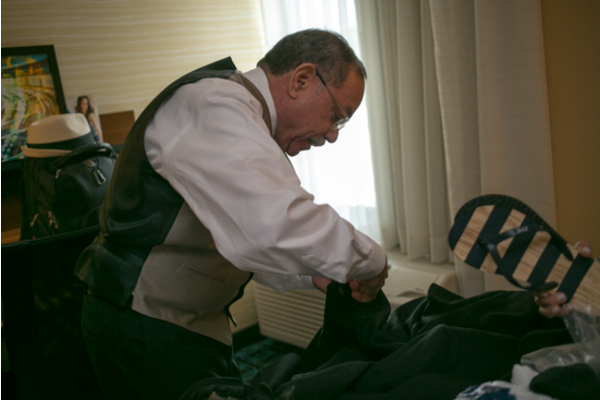 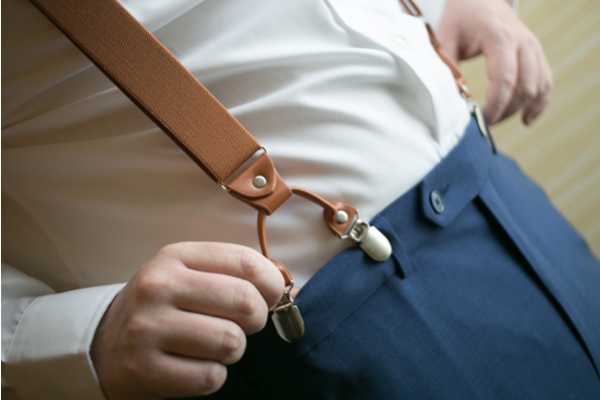 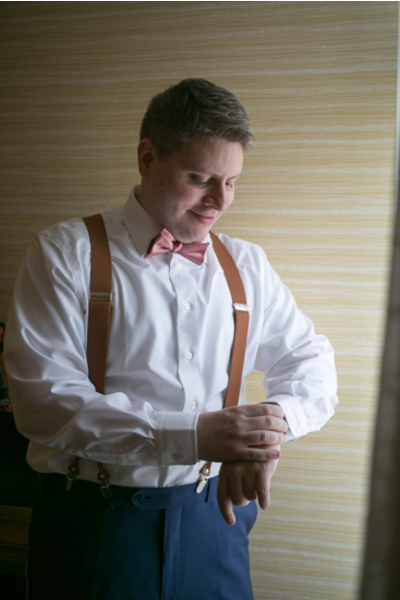 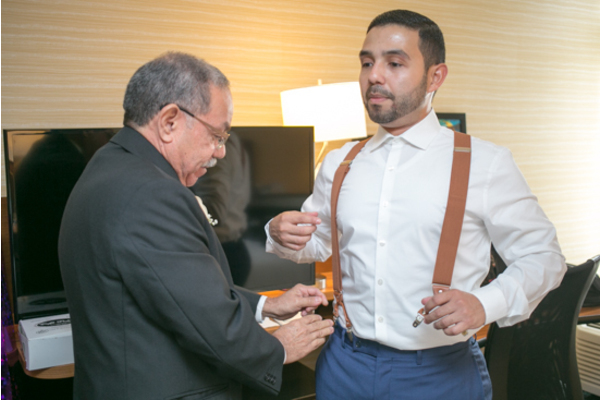 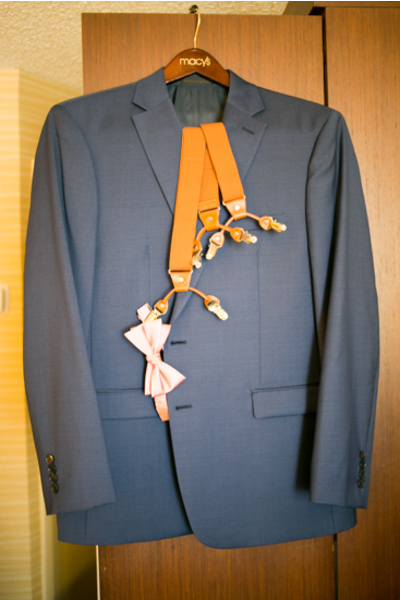 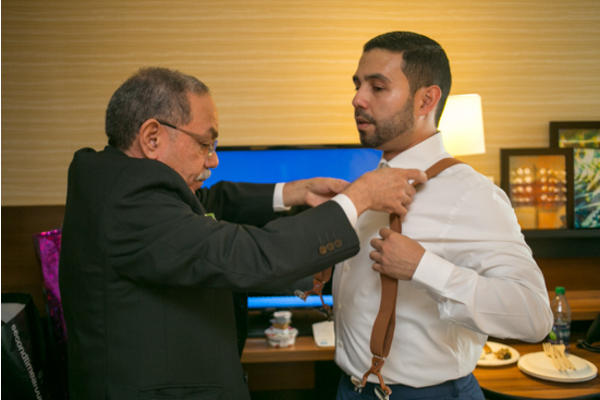 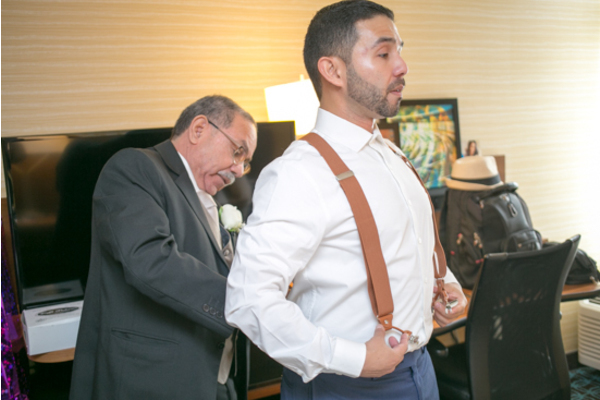 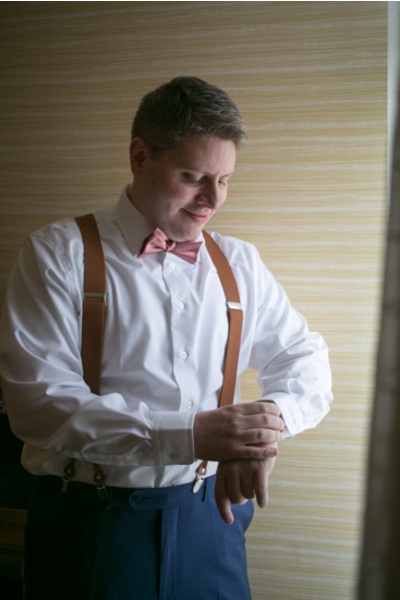 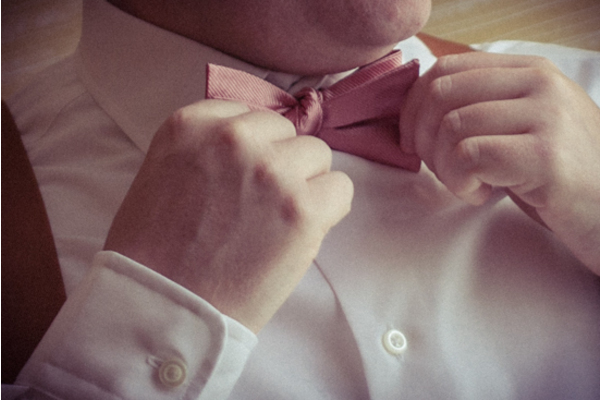 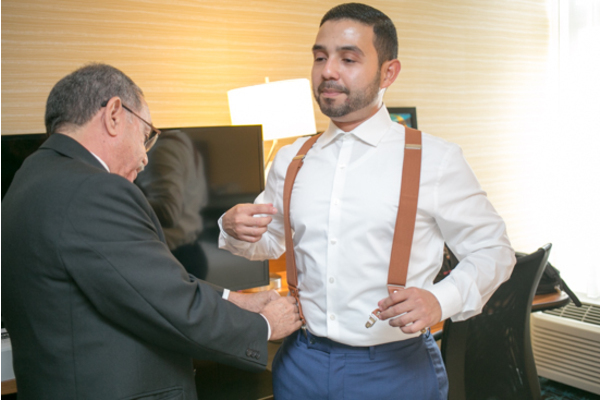 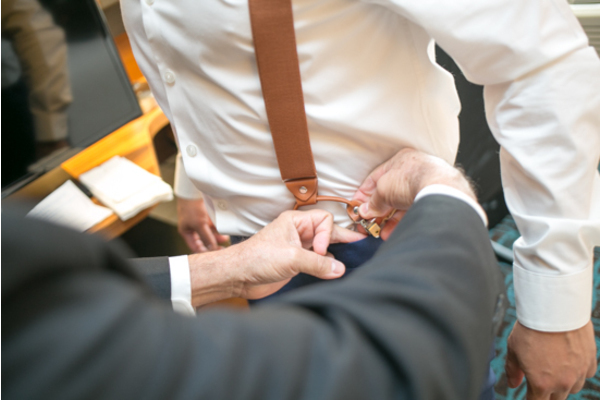 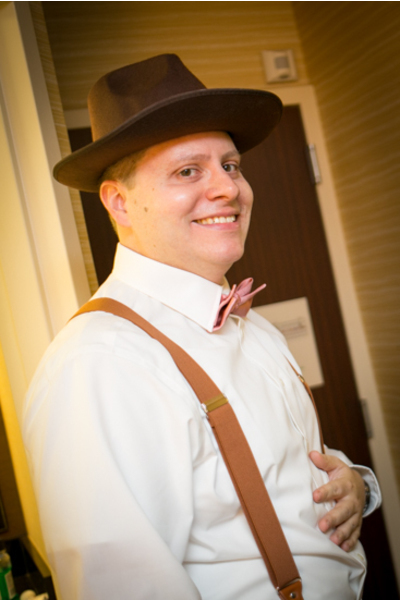 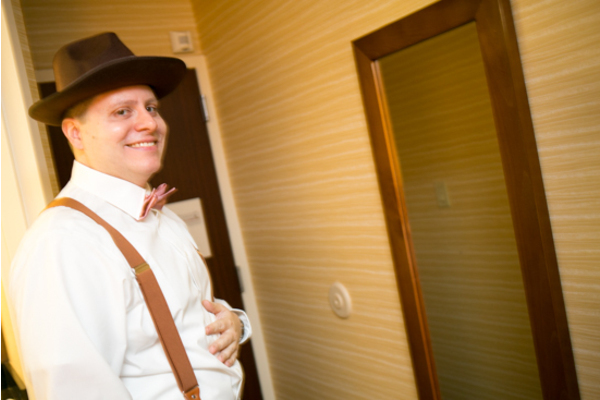 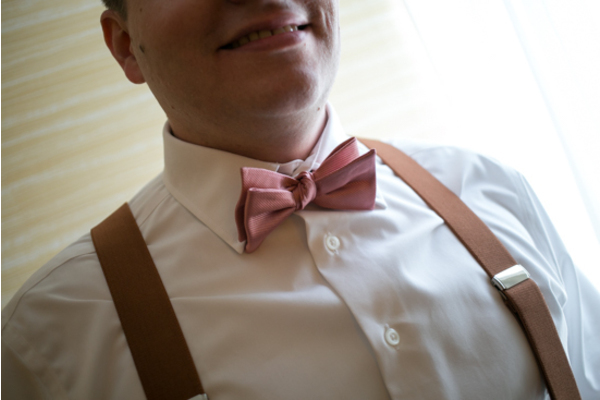 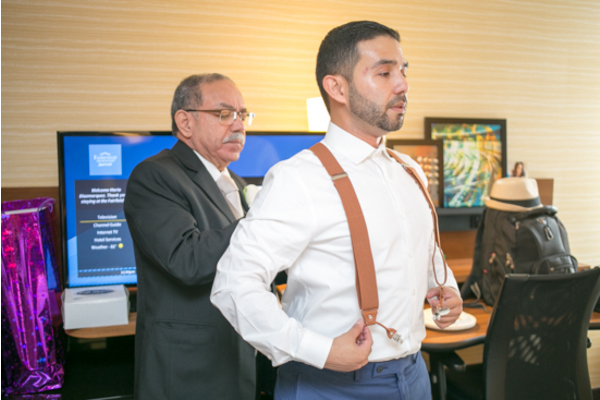 He quickly strapped on his suspenders, tightened his tie, adjusted his watch, and was off! 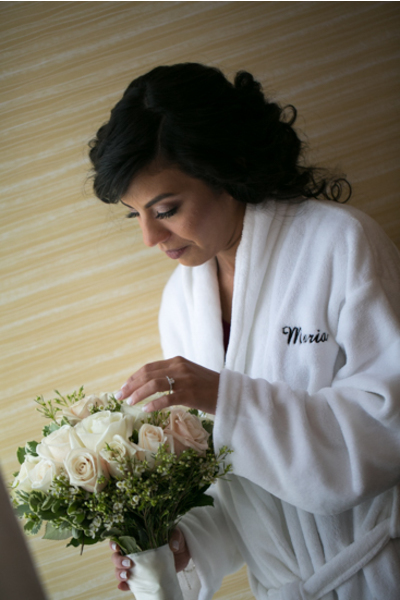 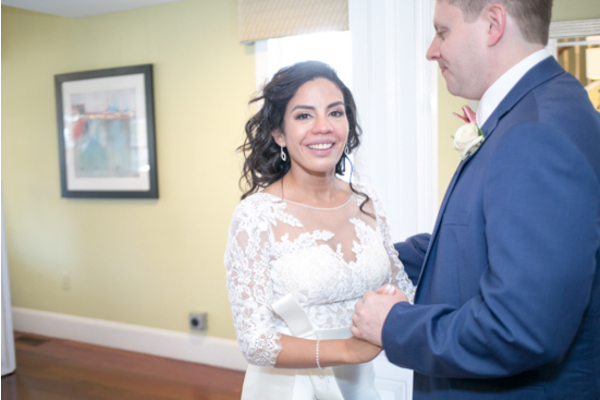 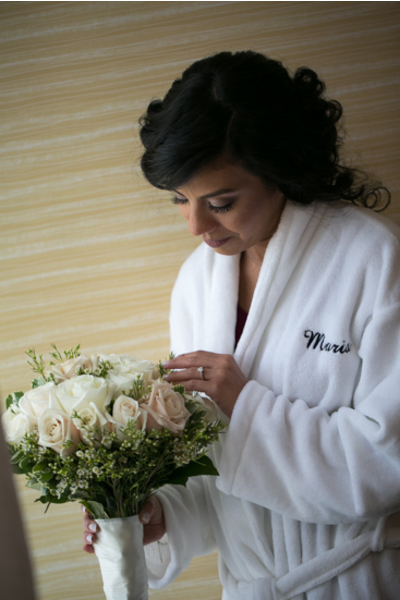 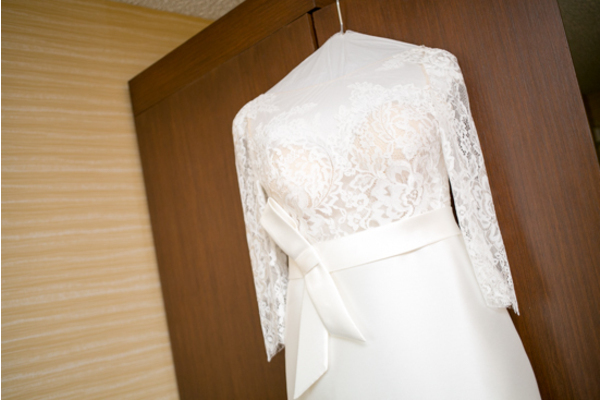 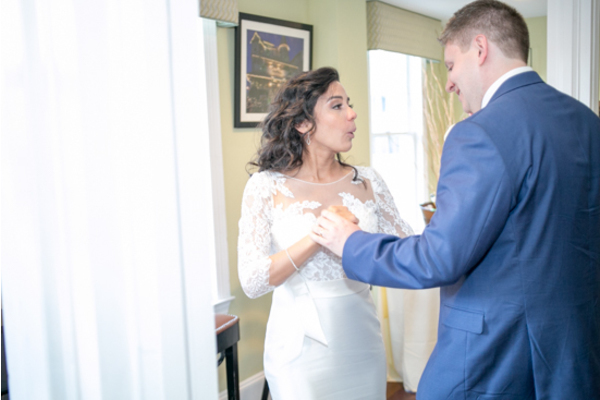 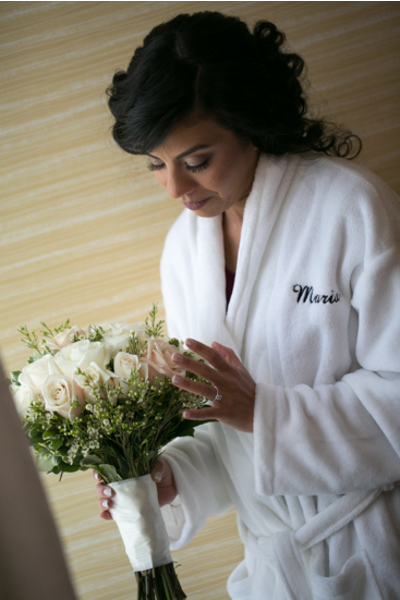 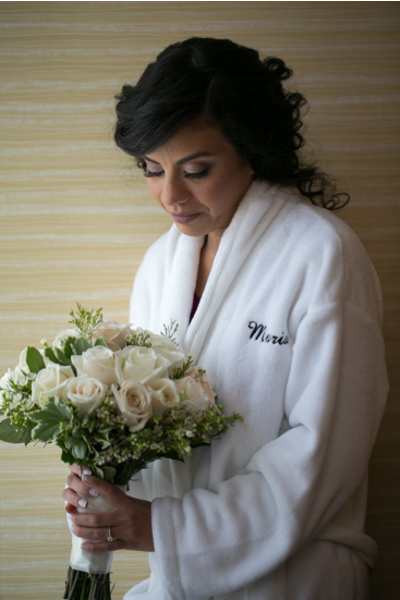 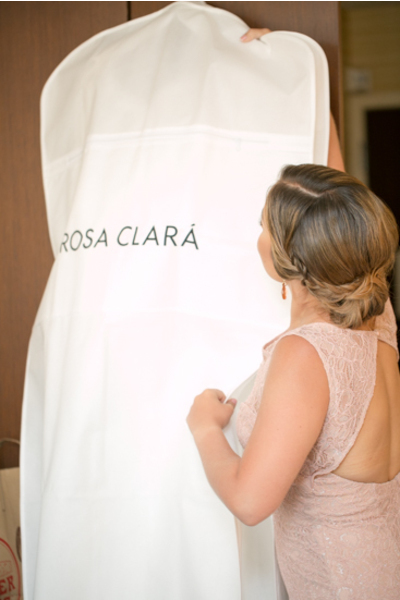 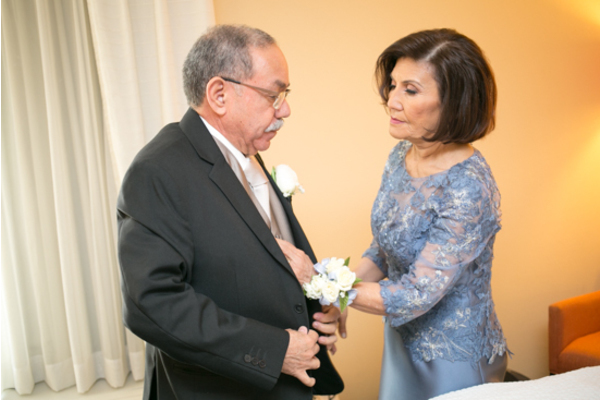 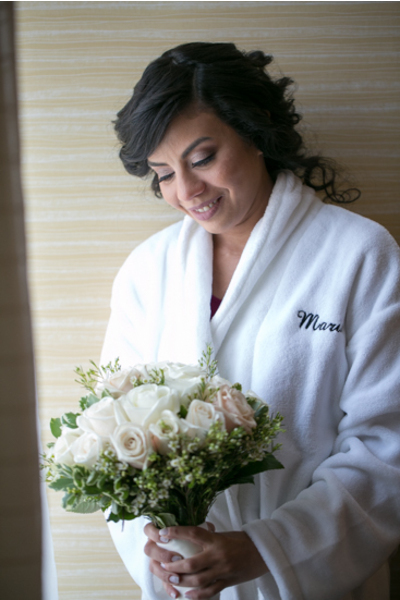 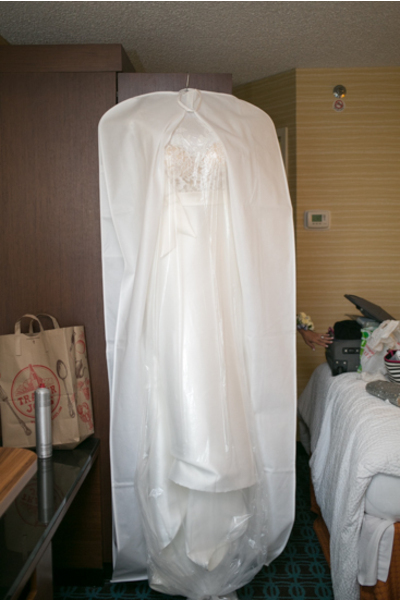 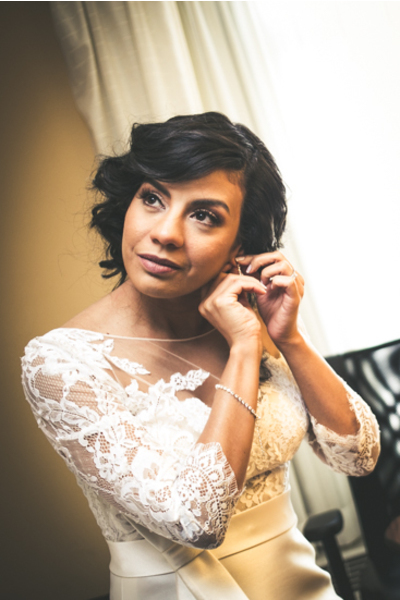 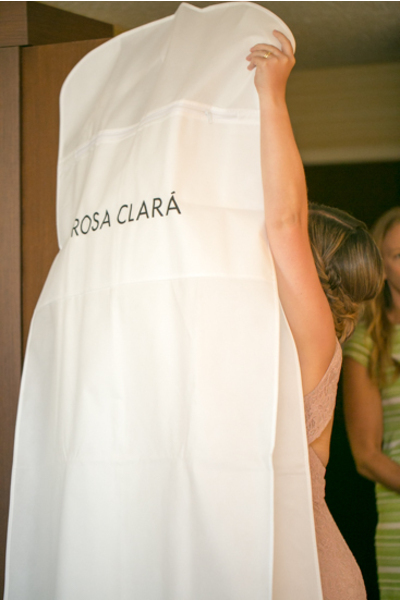 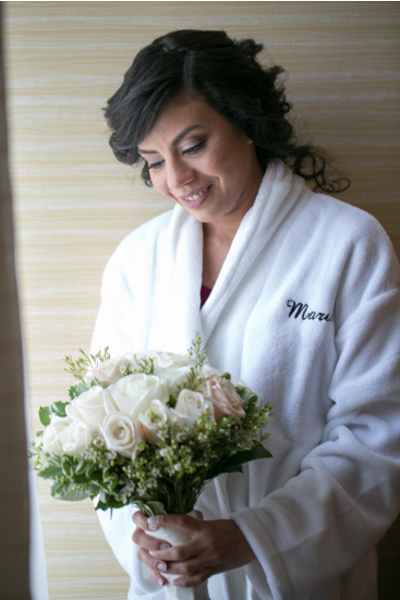 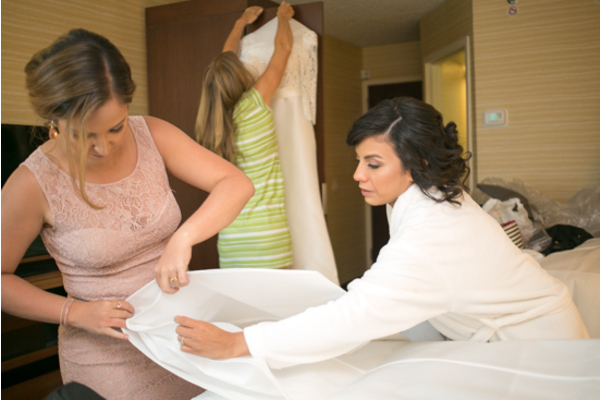 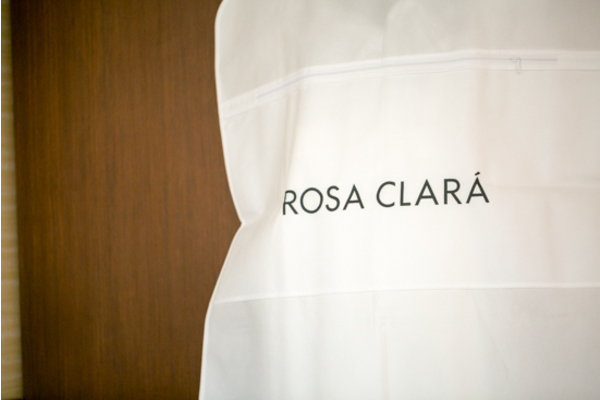 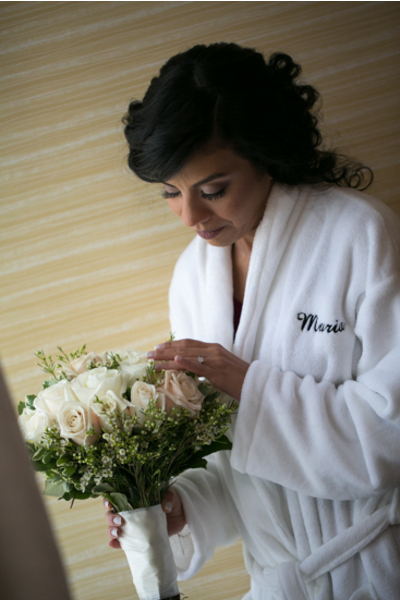 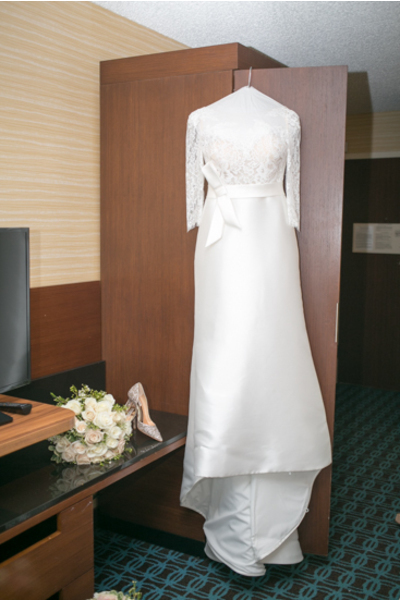 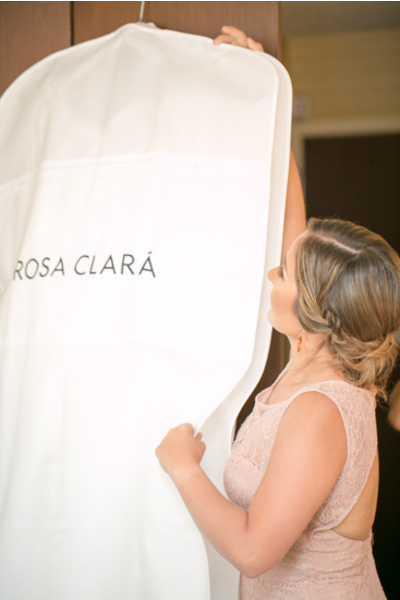 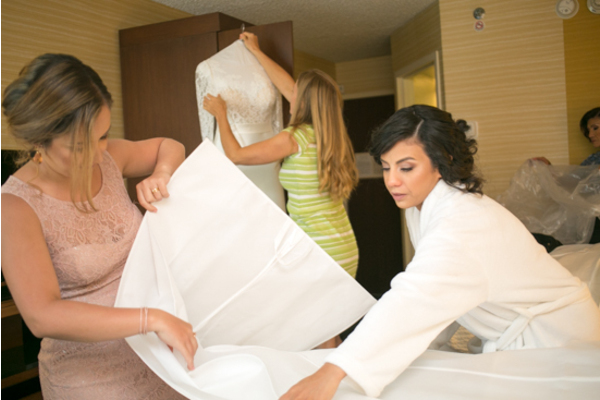 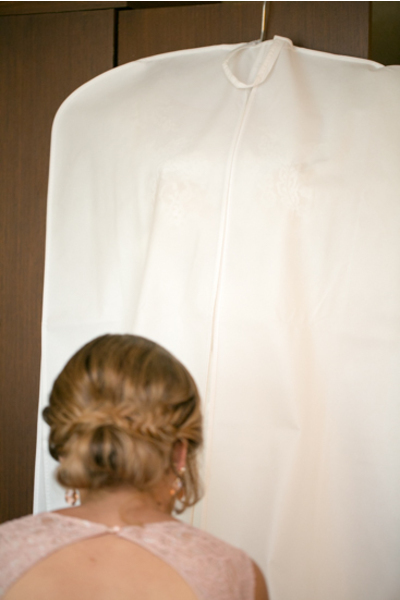 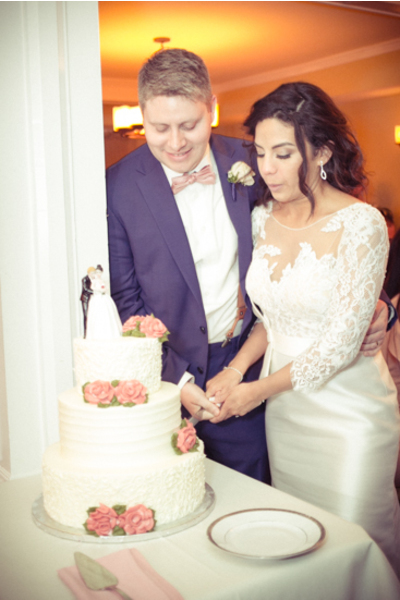 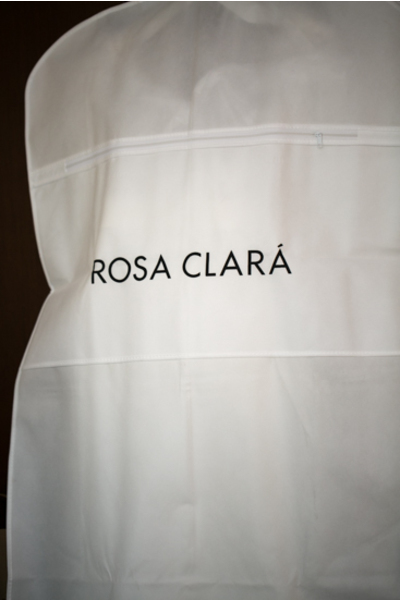 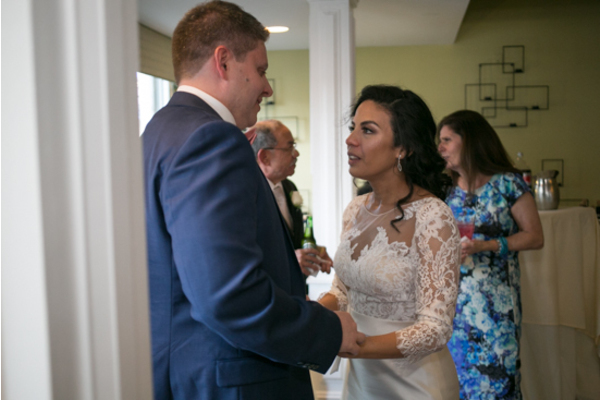 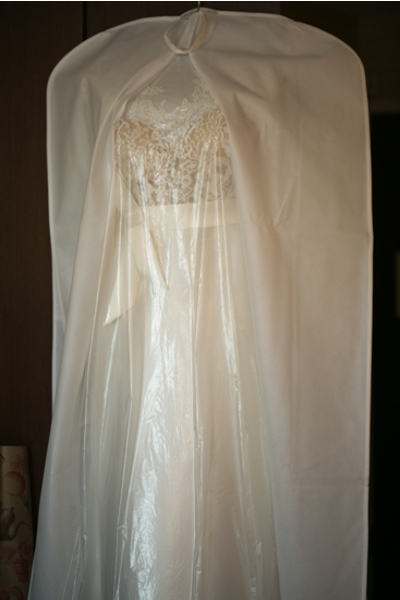 Just a few rooms away stood Maria slipping into her vintage lace wedding dress. 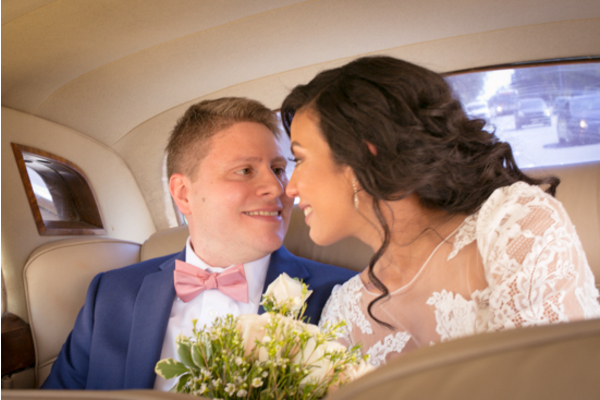 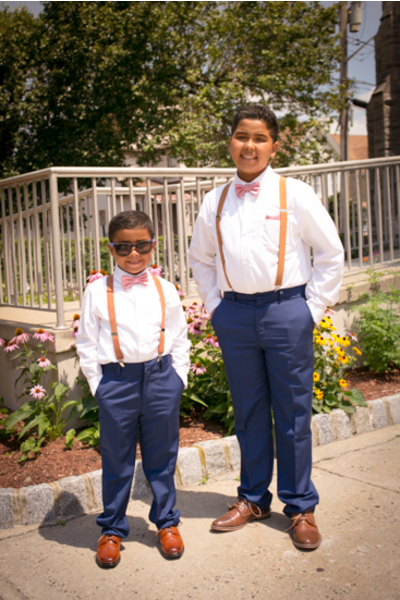 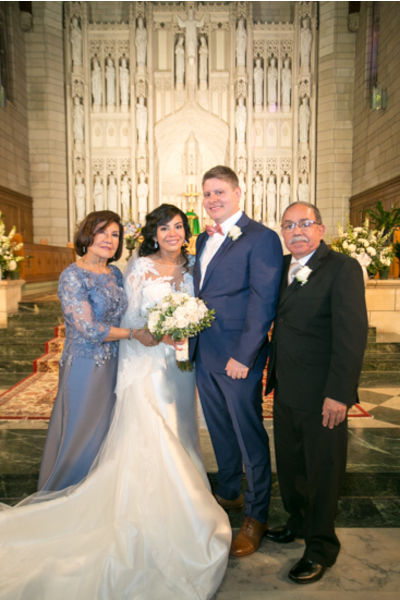 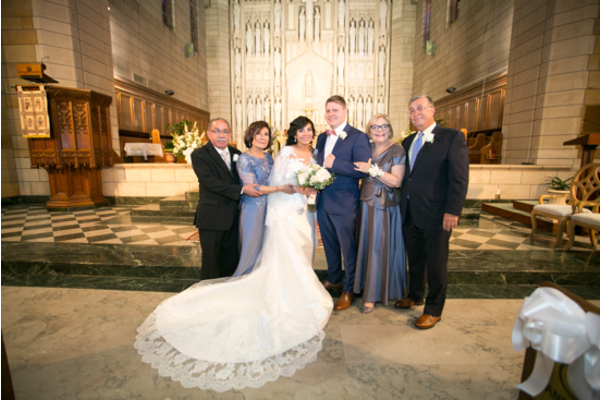 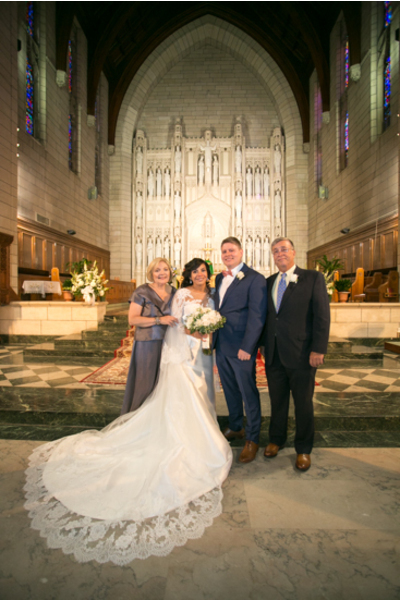 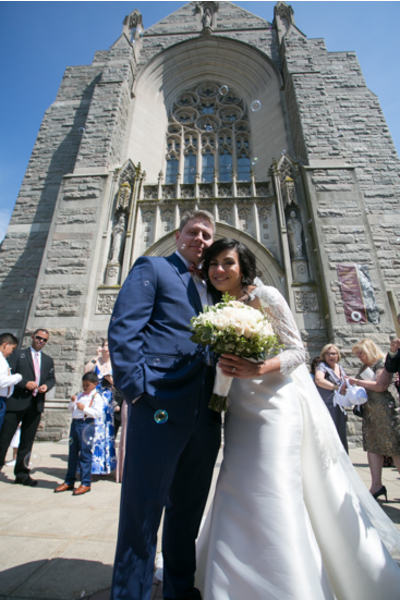 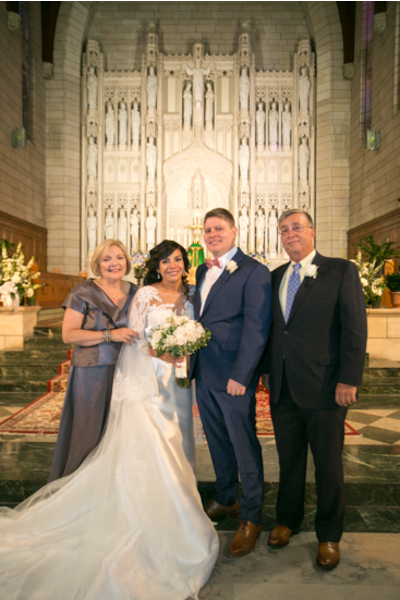 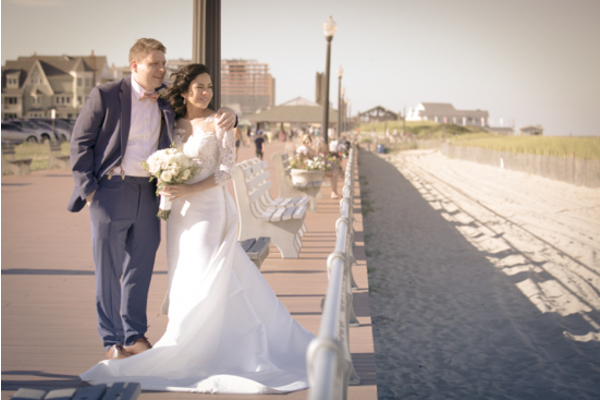 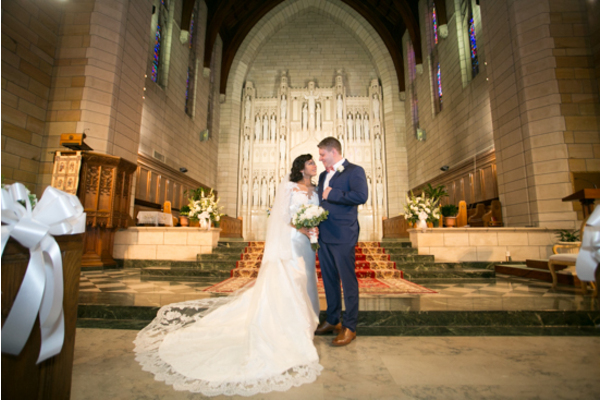 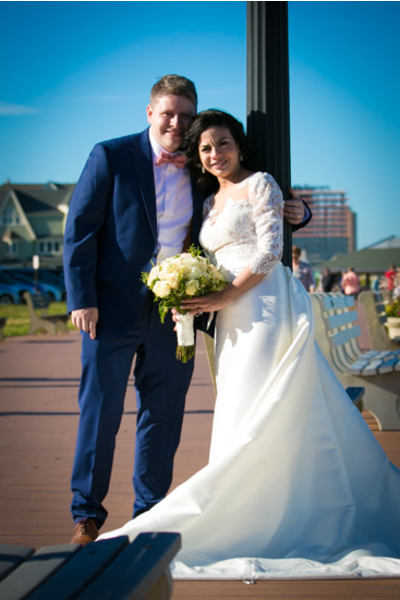 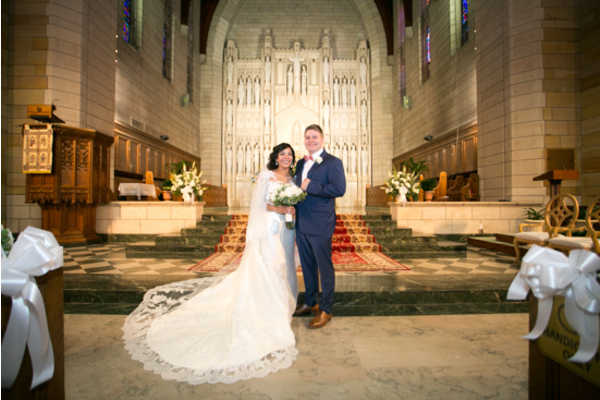 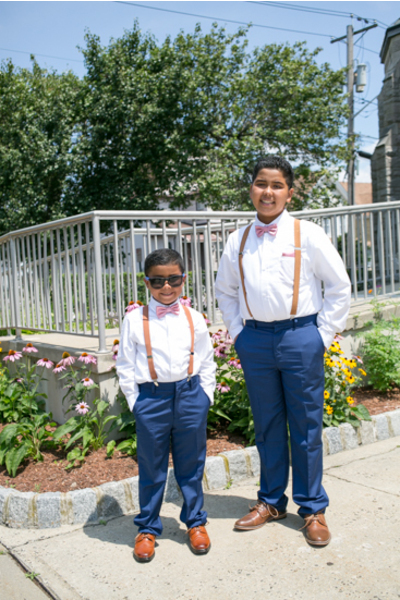 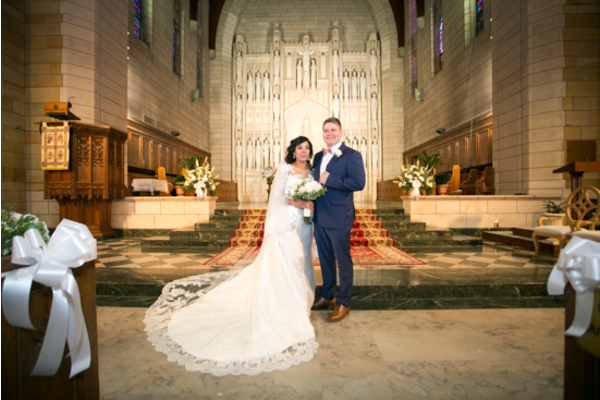 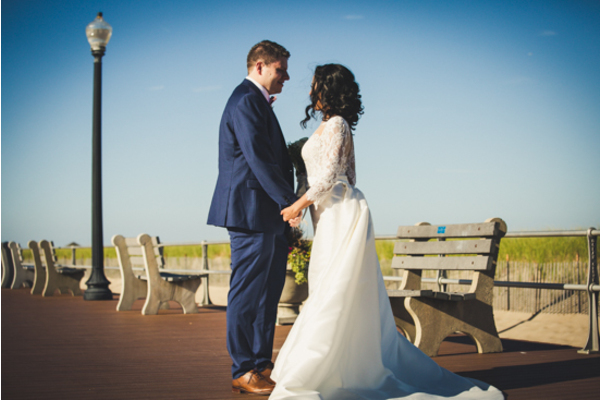 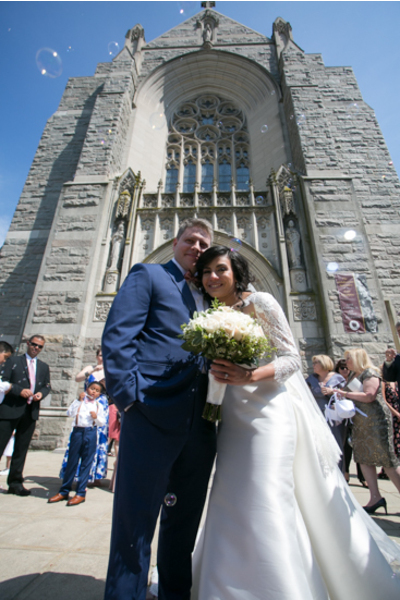 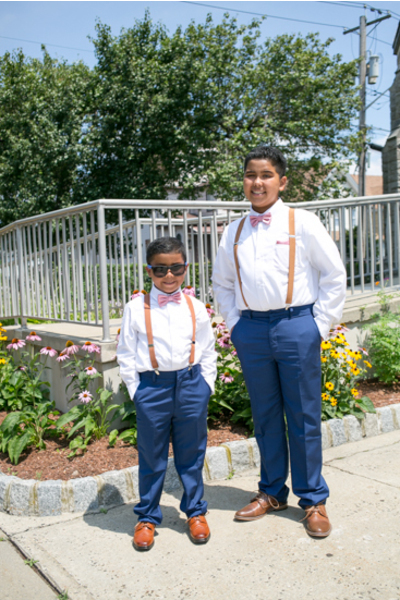 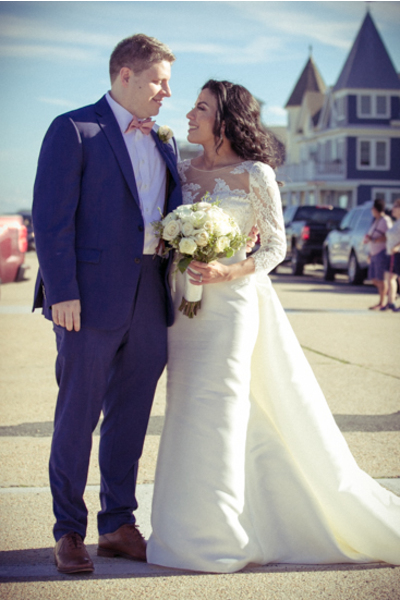 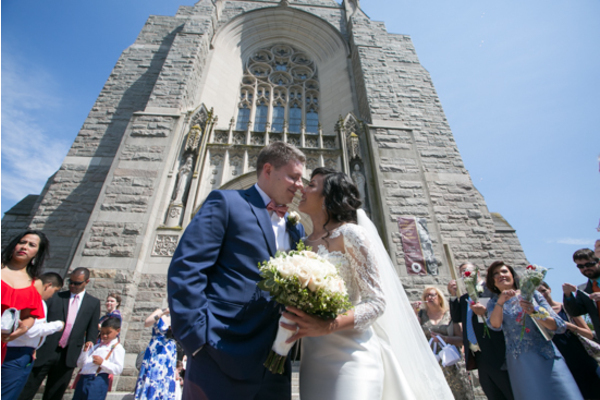 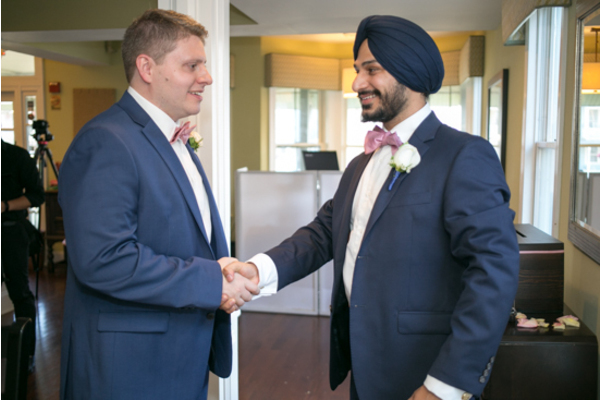 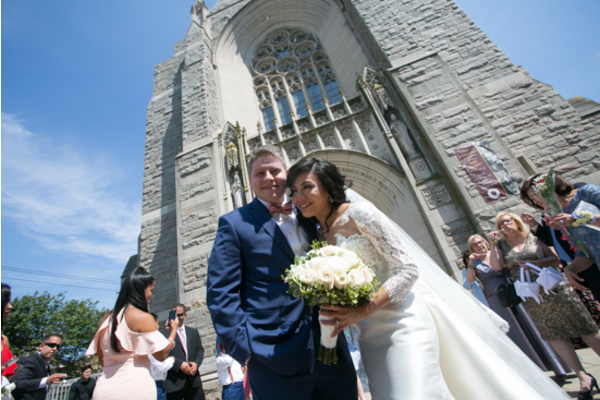 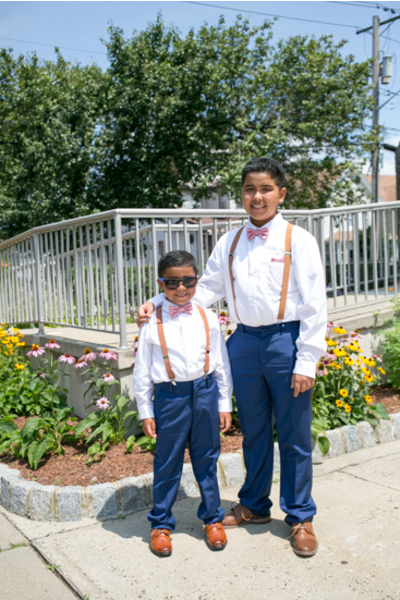 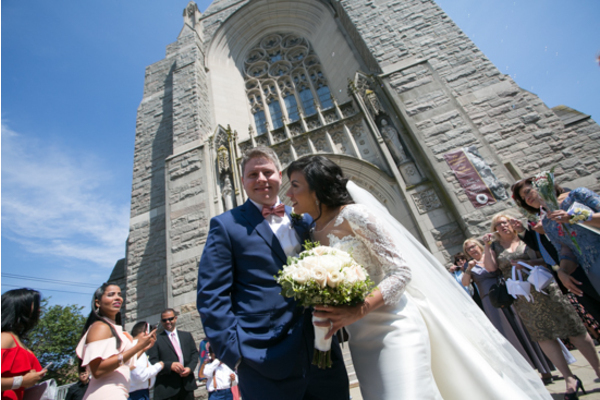 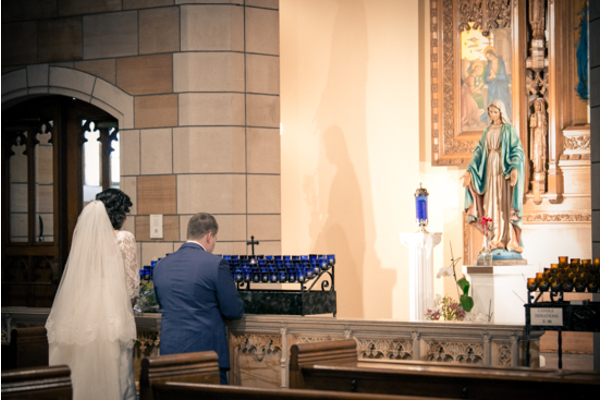 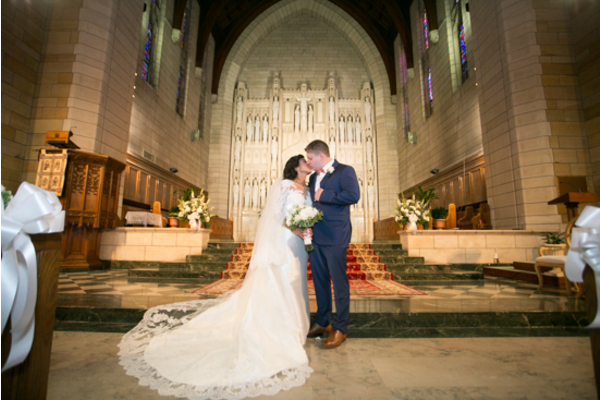 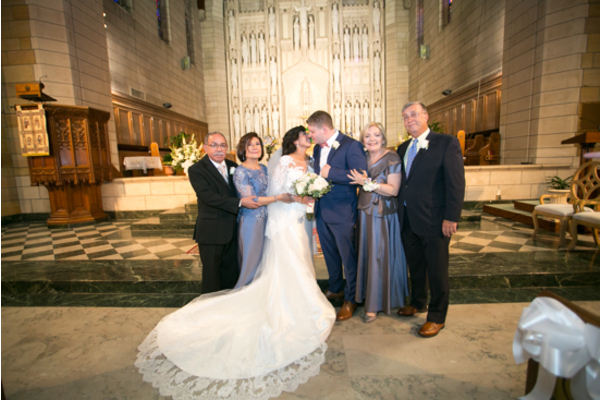 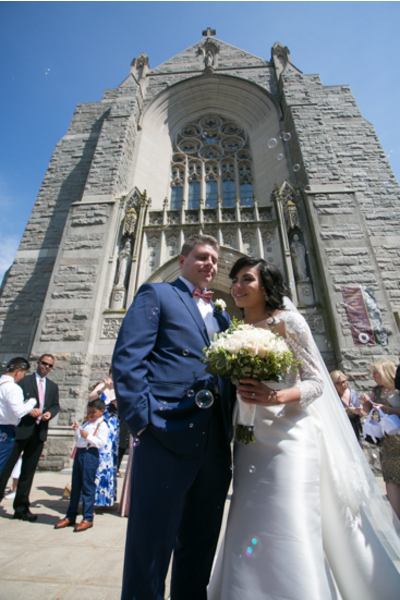 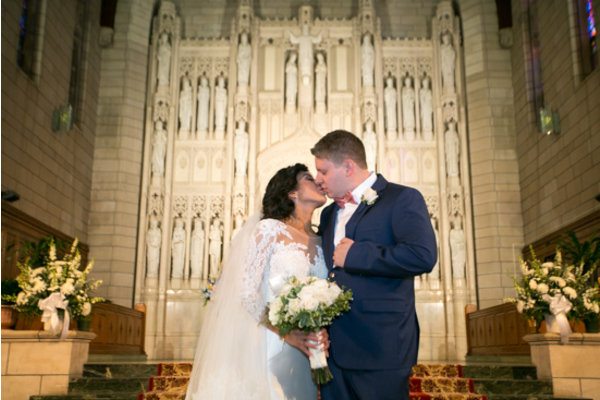 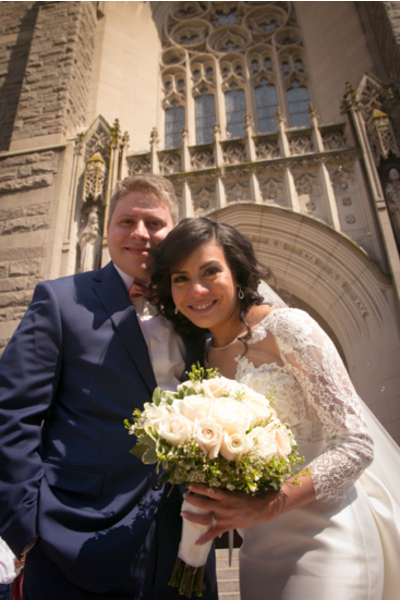 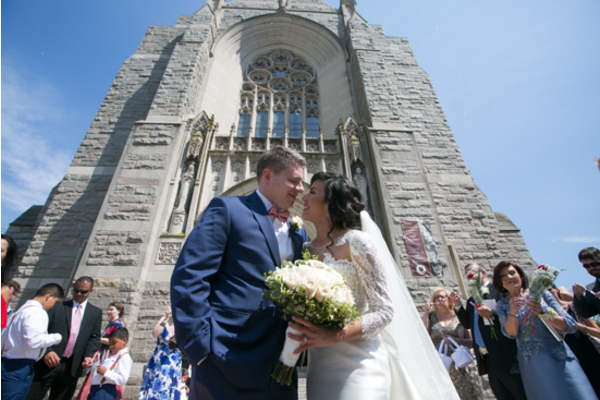 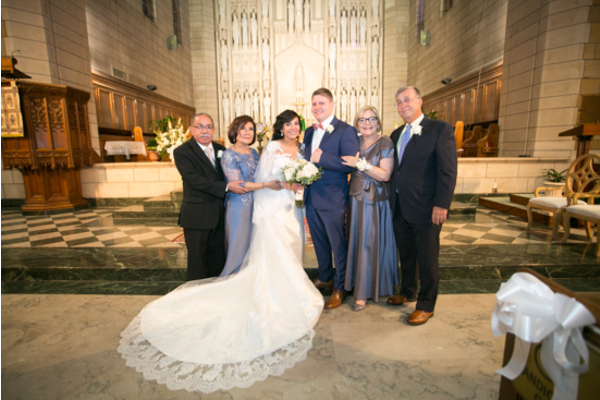 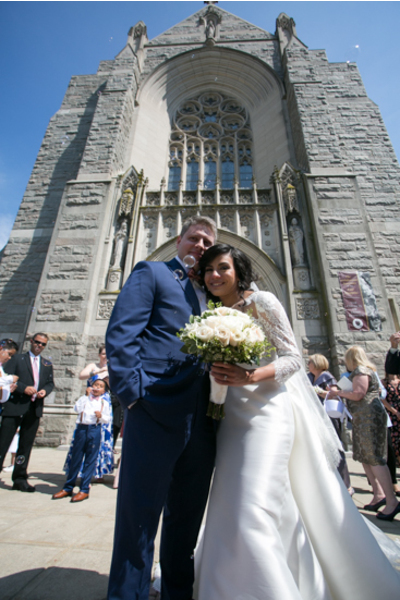 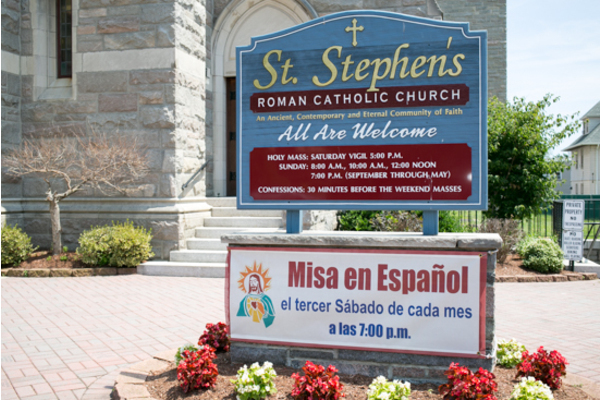 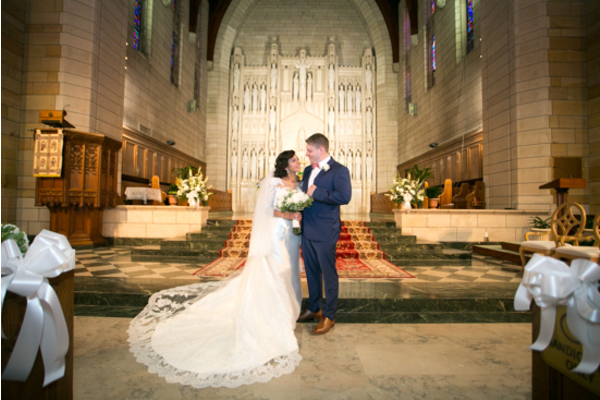 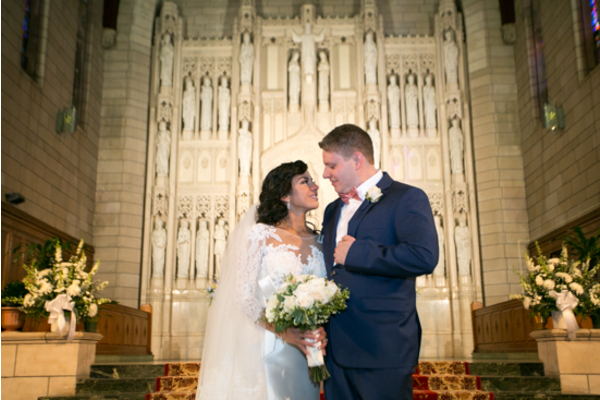 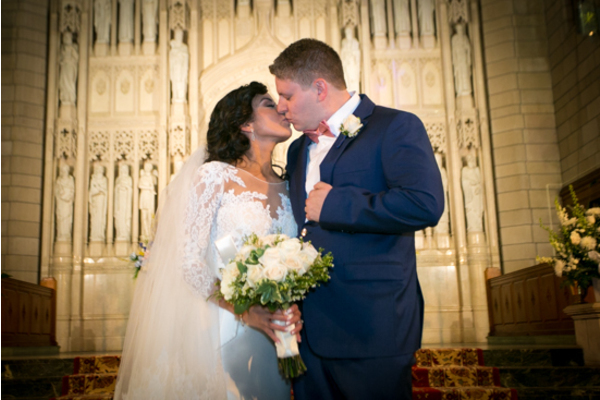 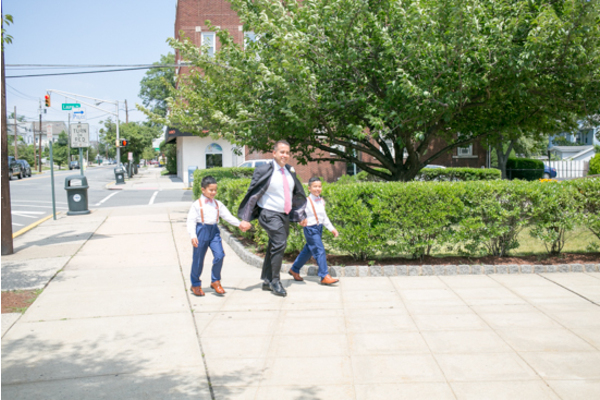 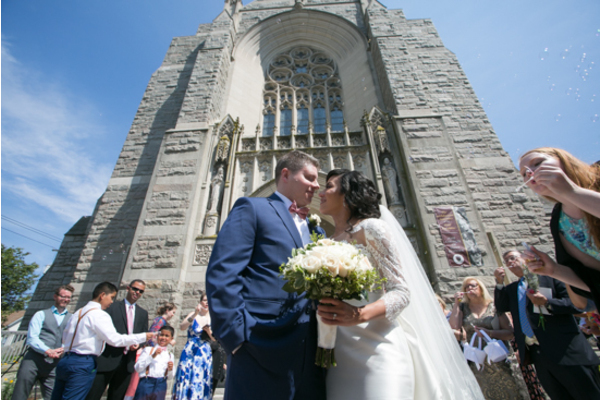 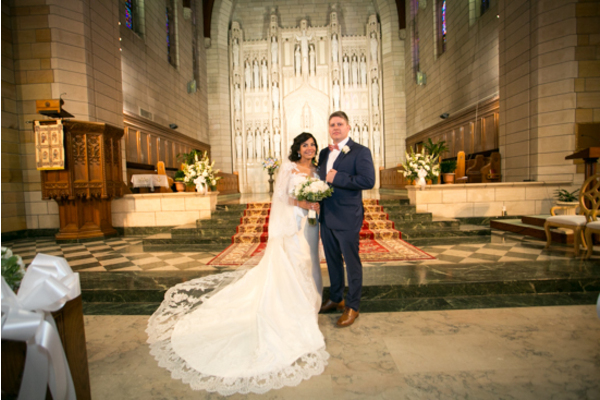 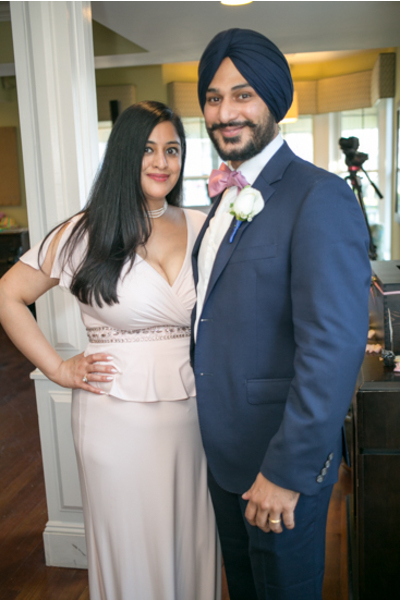 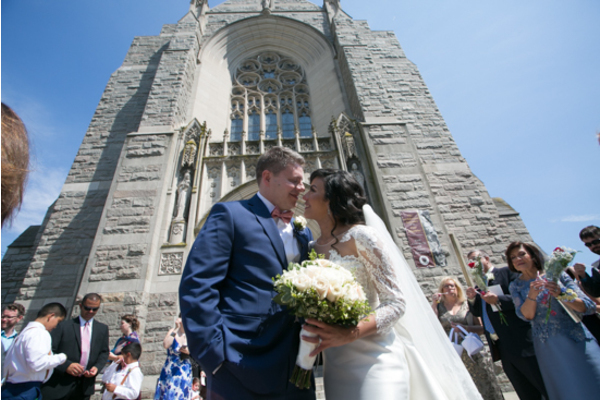 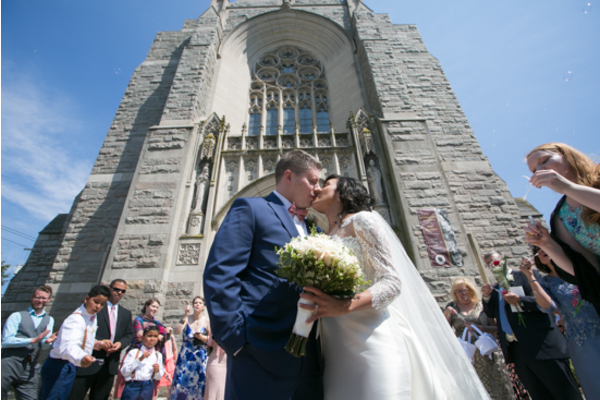 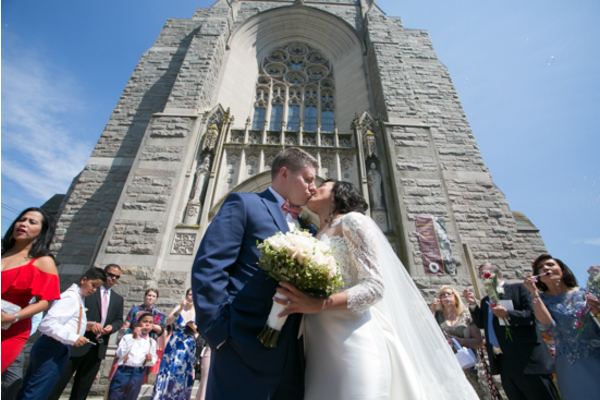 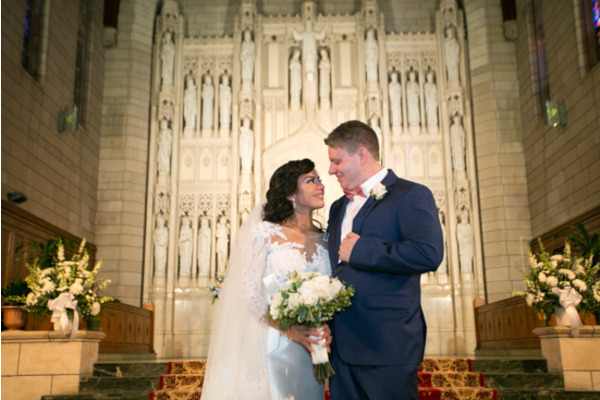 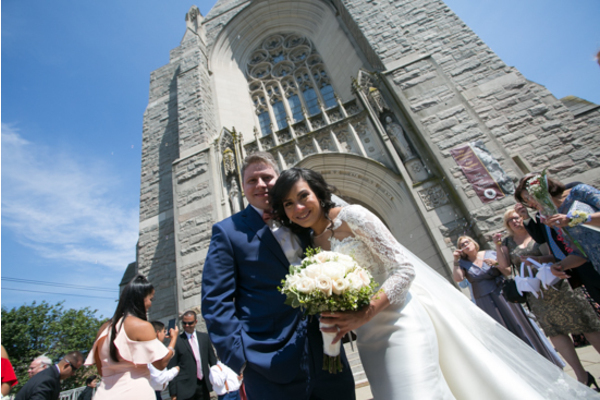 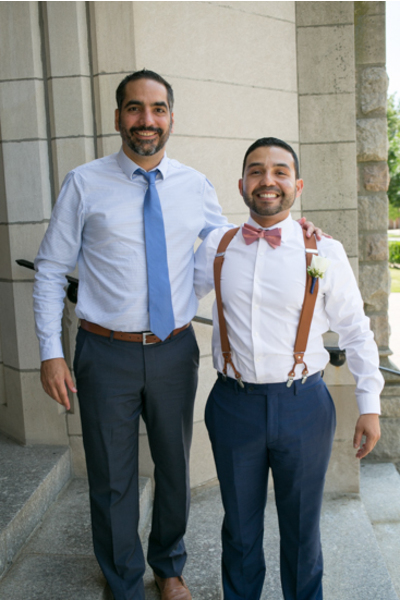 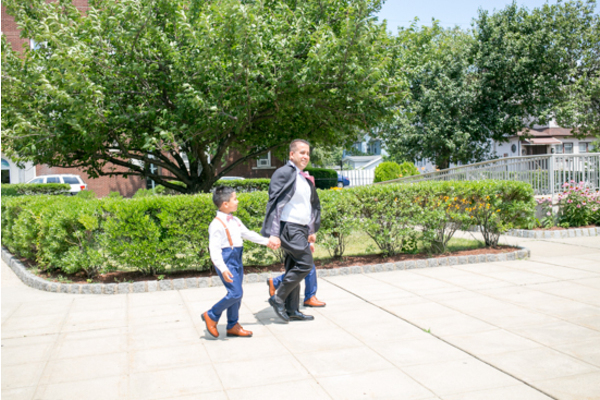 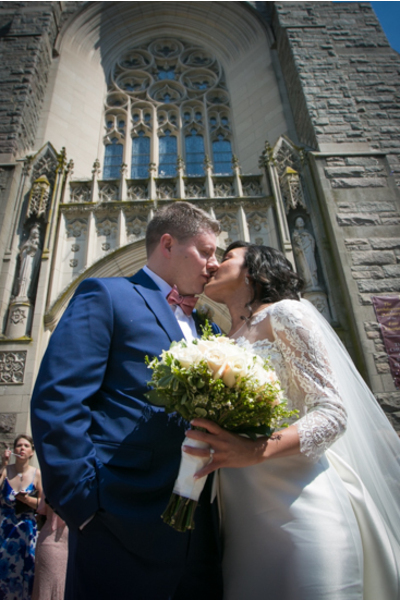 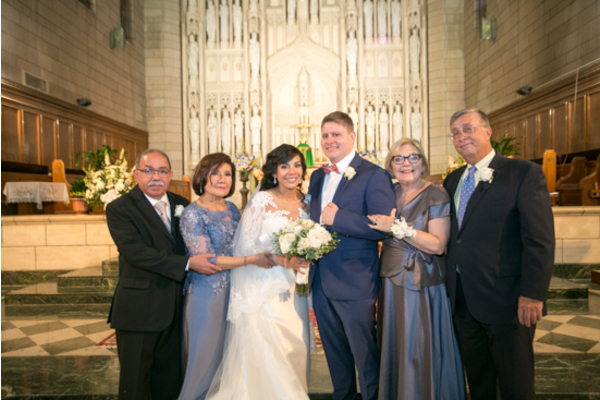 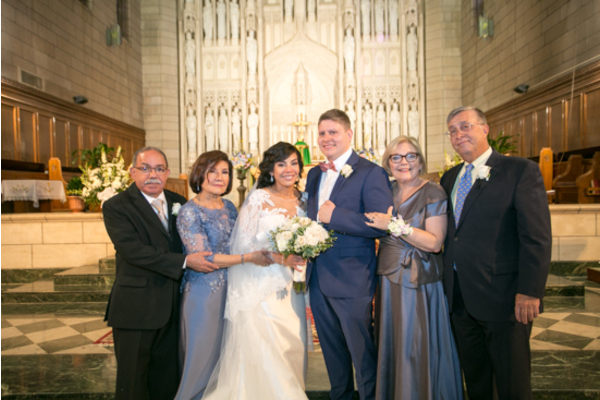 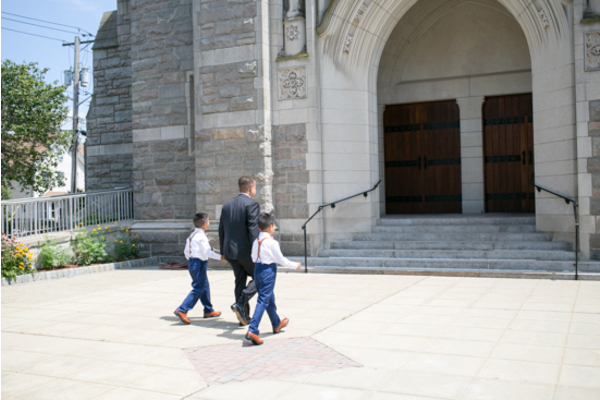 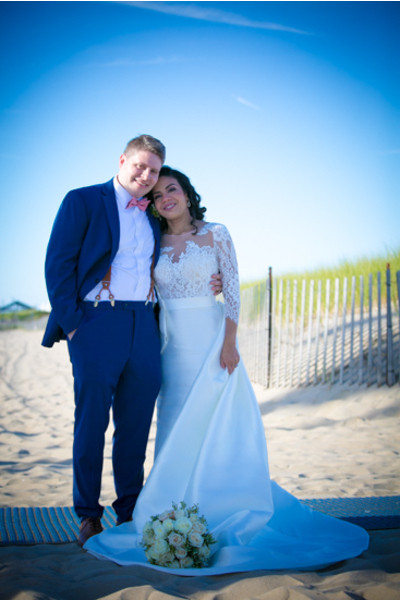 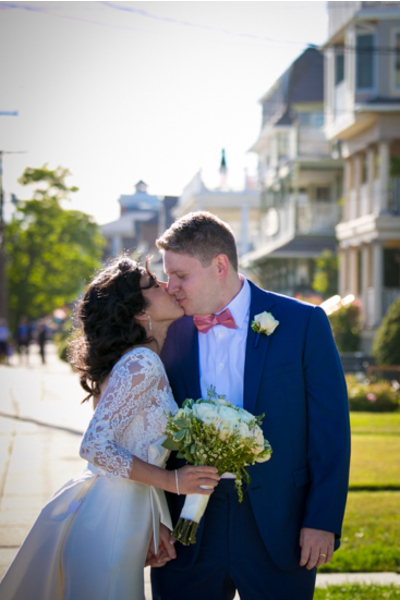 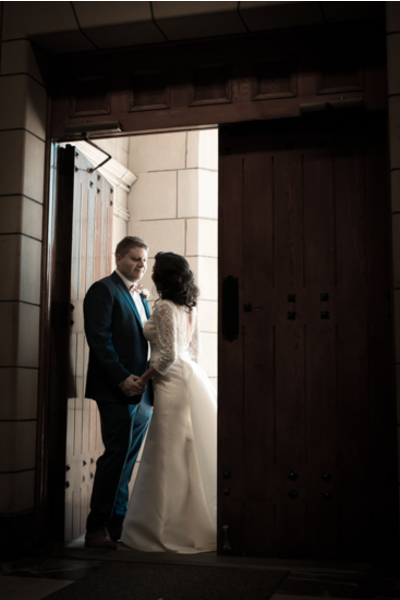 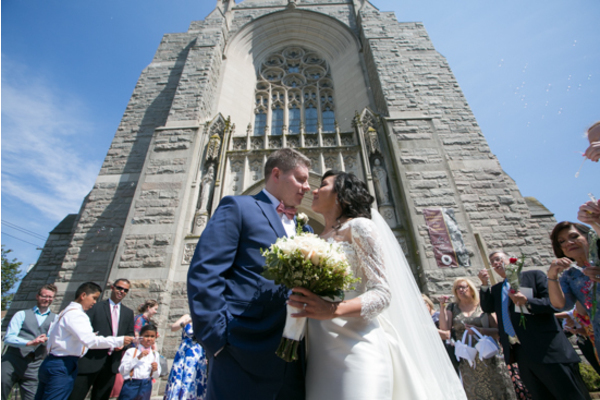 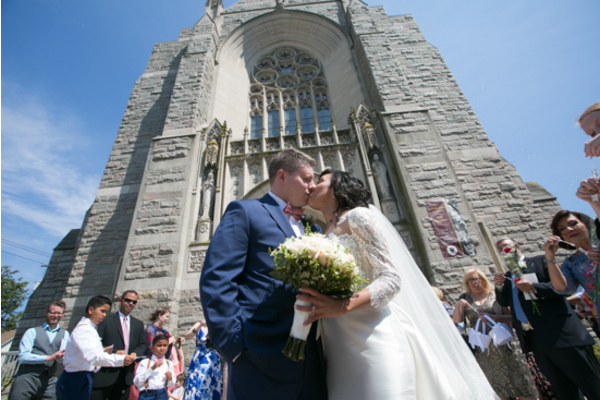 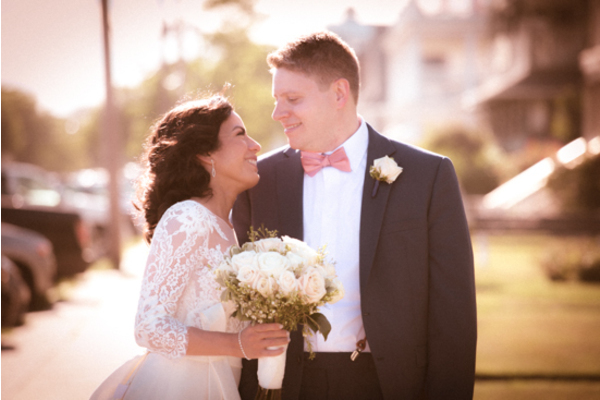 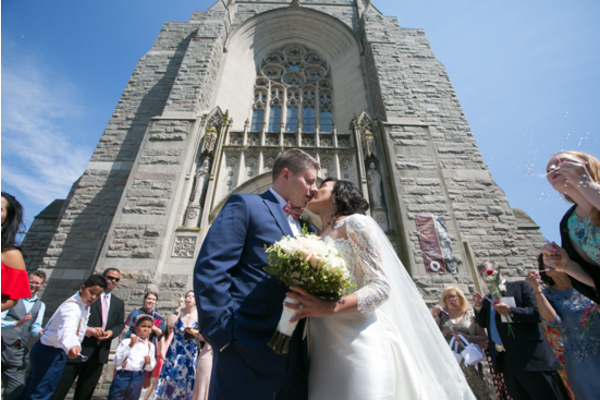 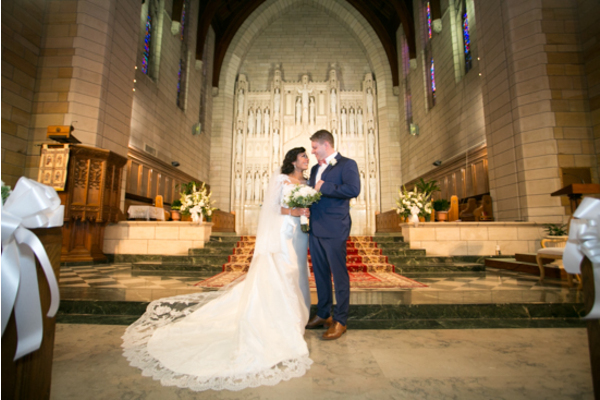 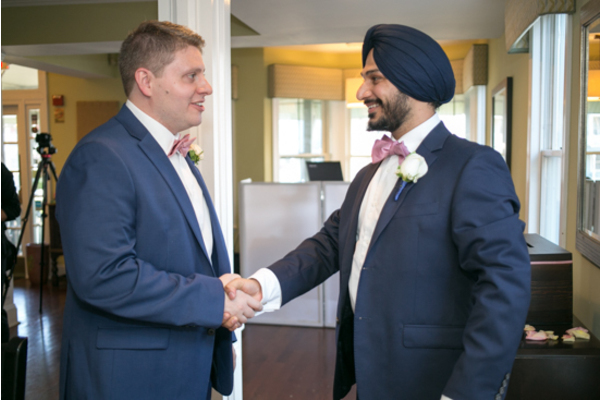 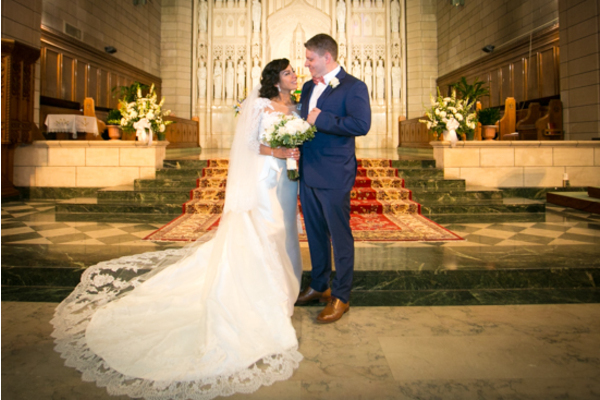 After a portrait session by the beach with our NJ Wedding Photographer, these newly weds made their way to their ceremony held at St. Stephens church. 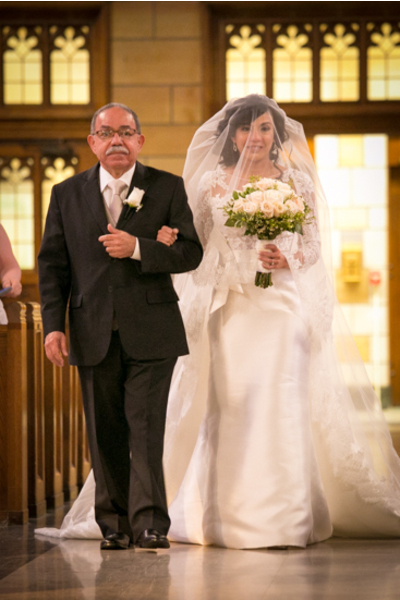 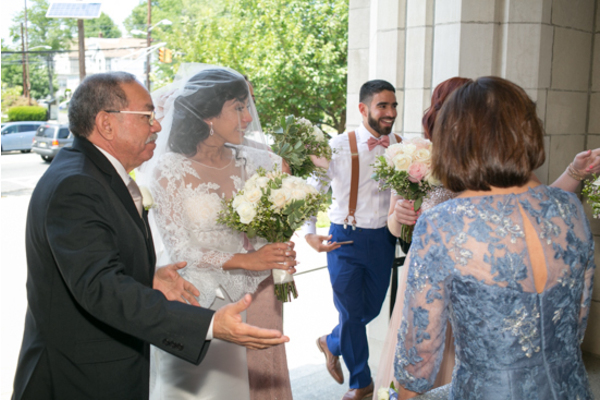 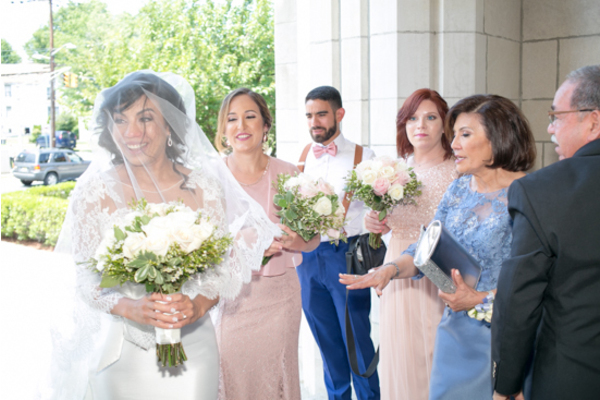 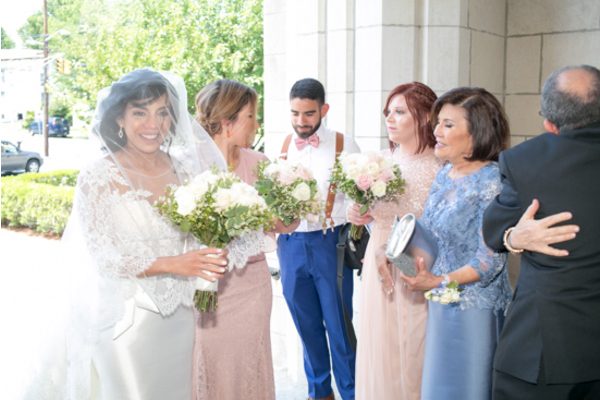 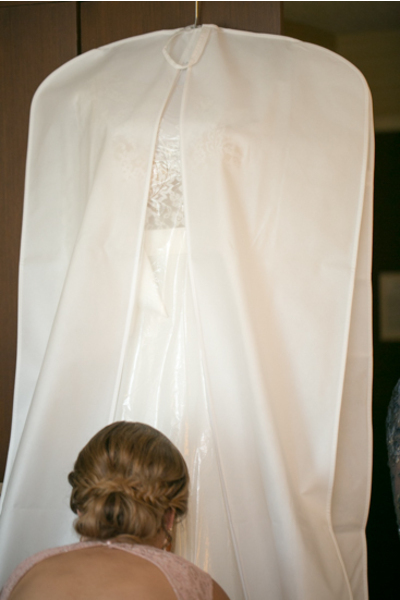 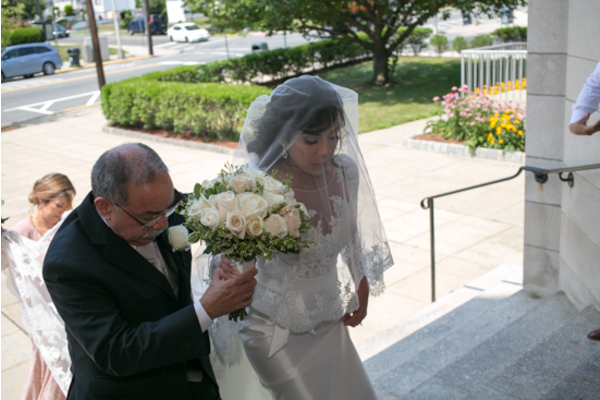 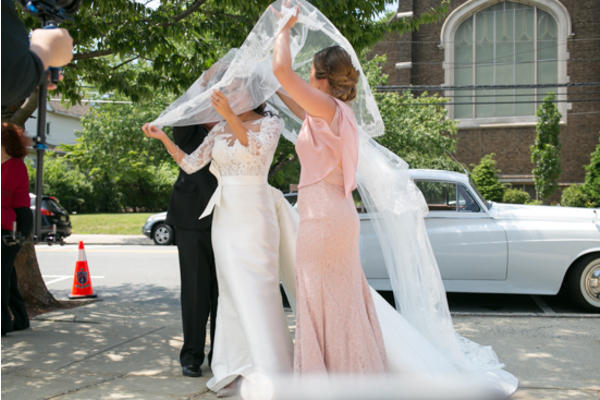 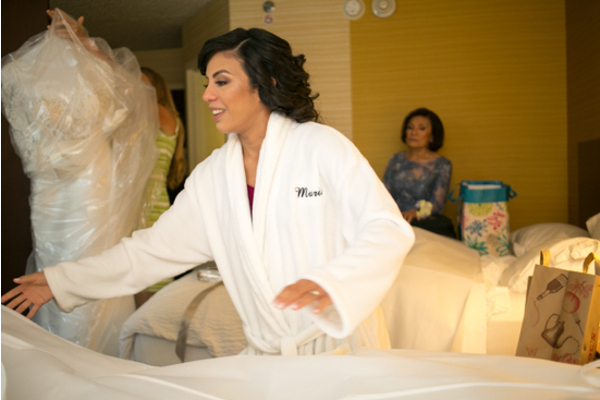 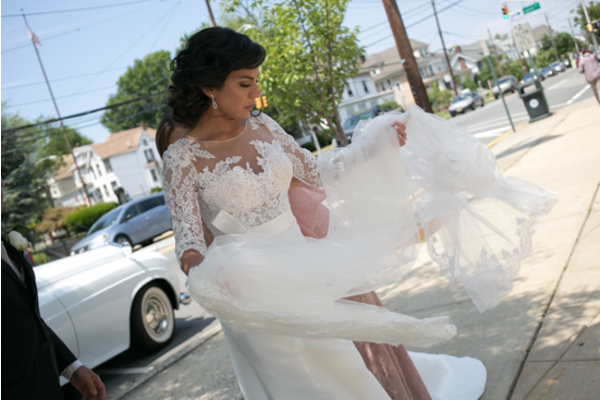 Maria’s veil danced in the wind as she made her grand entrance! 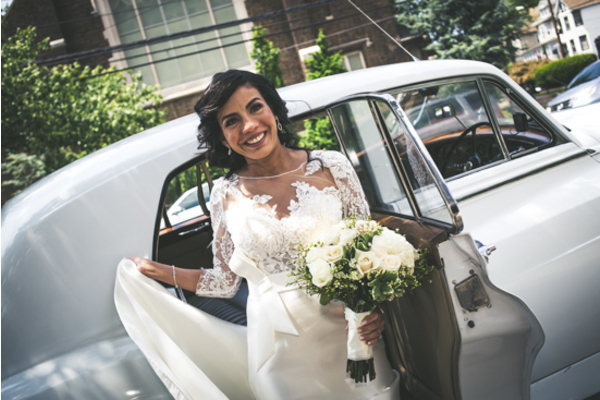 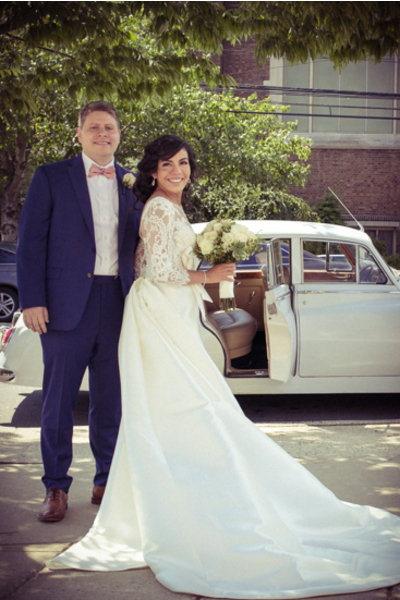 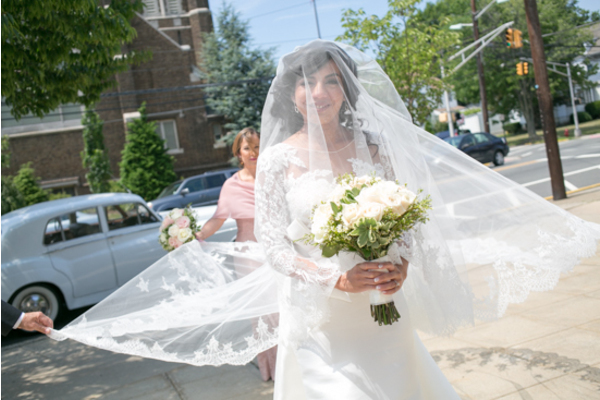 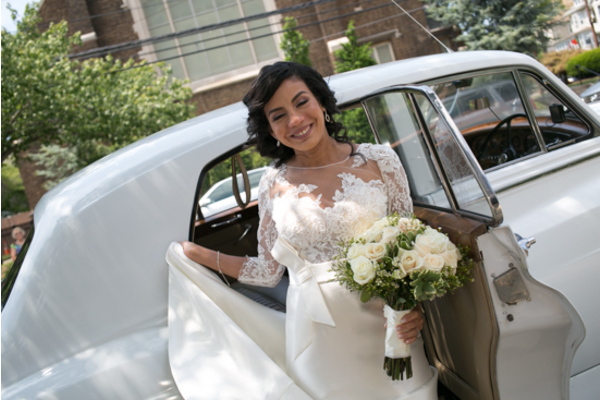 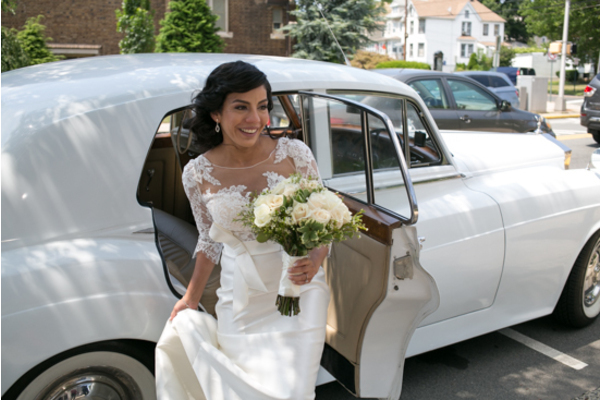 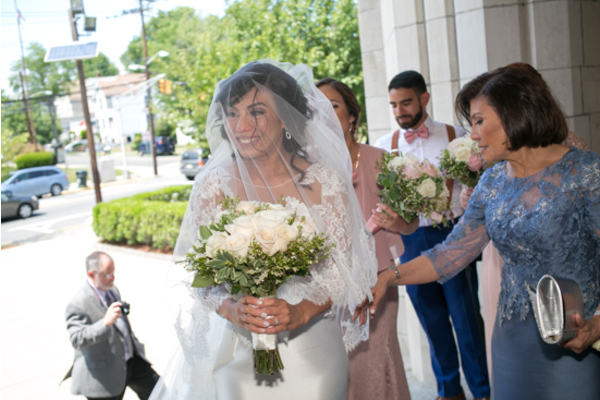 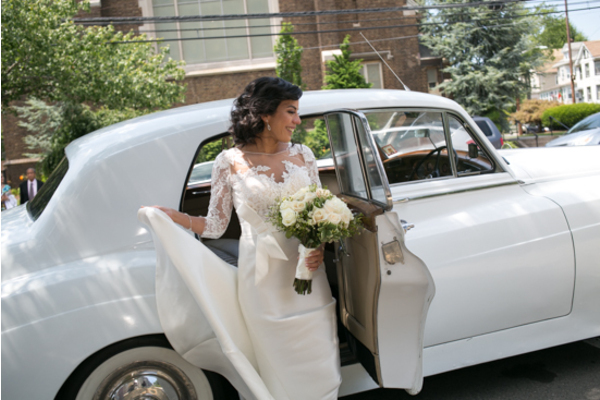 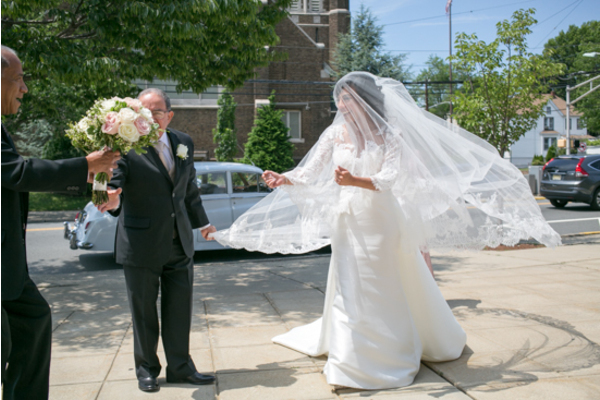 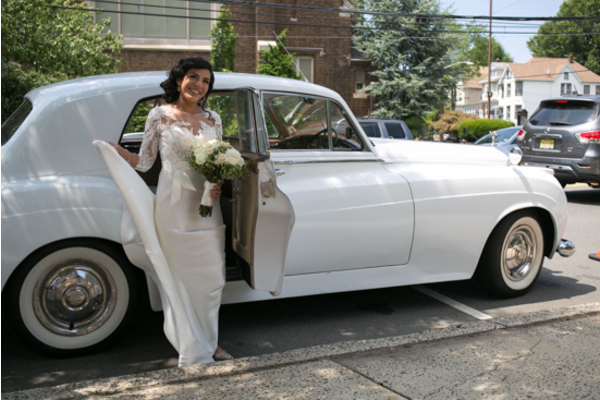 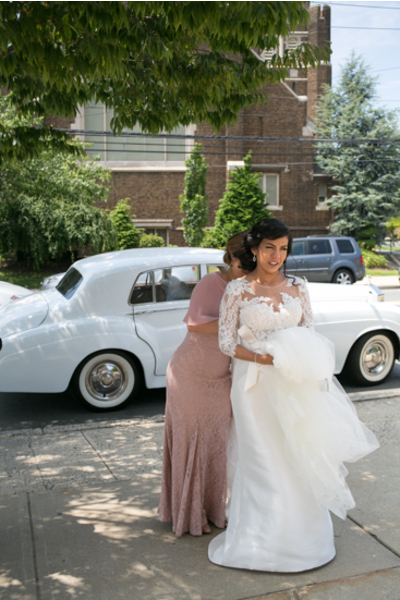 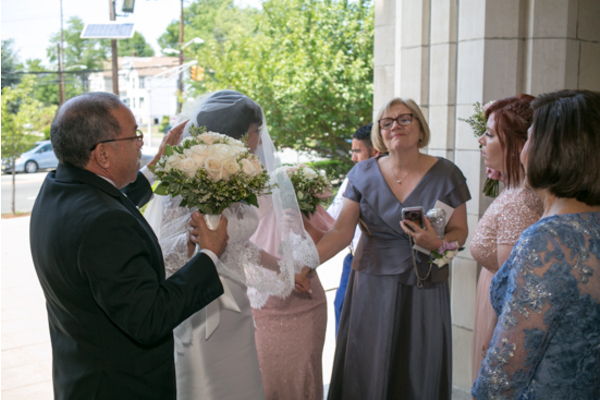 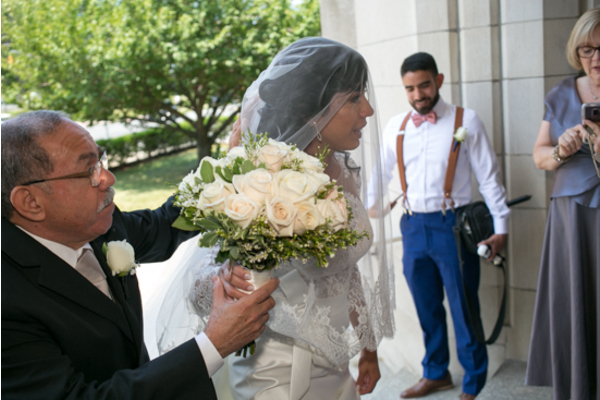 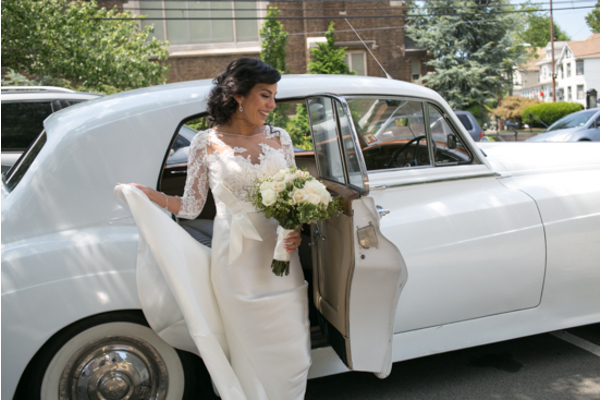 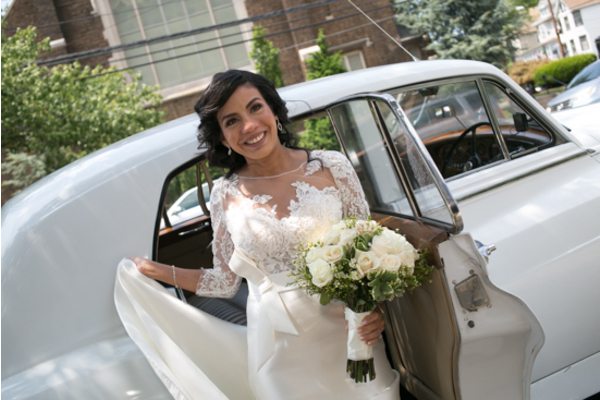 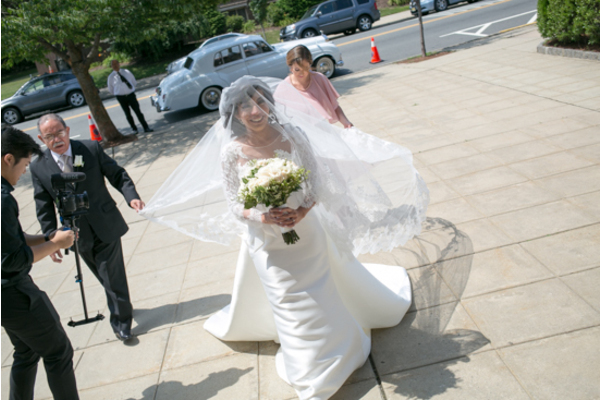 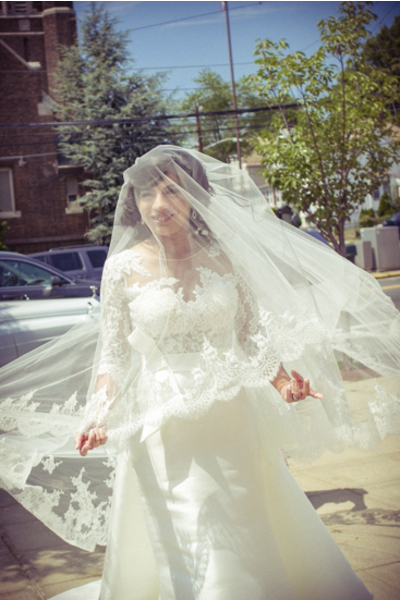 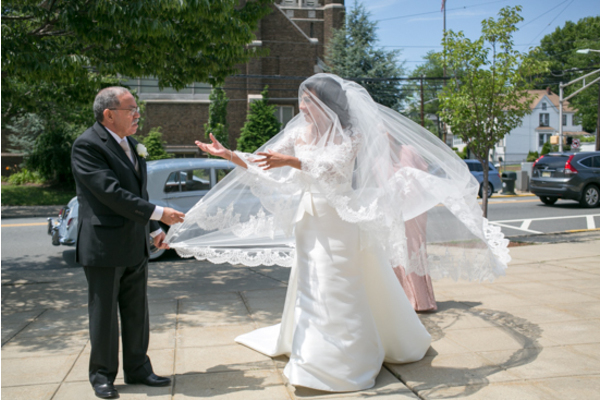 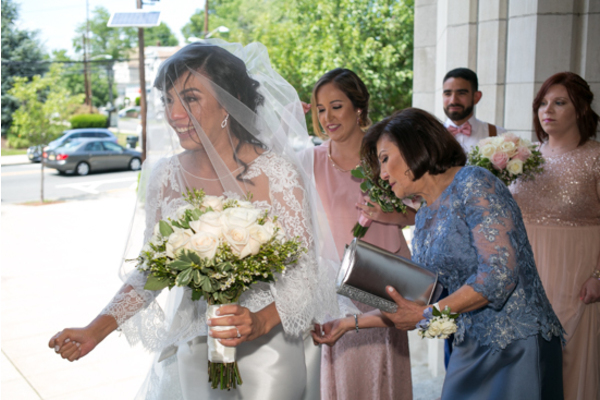 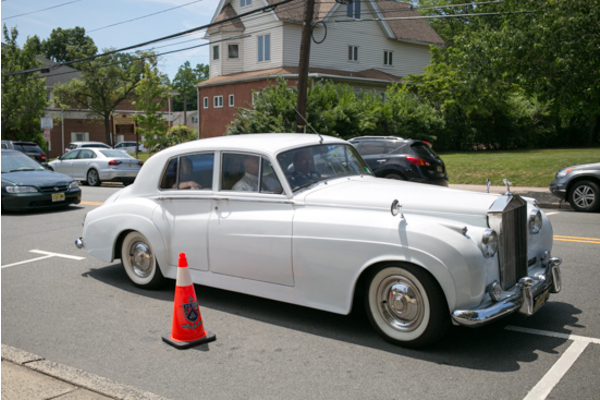 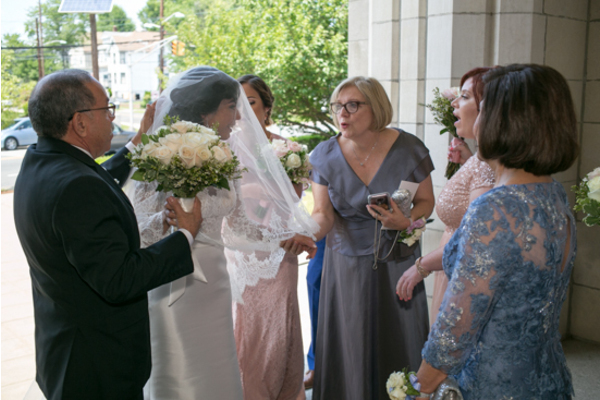 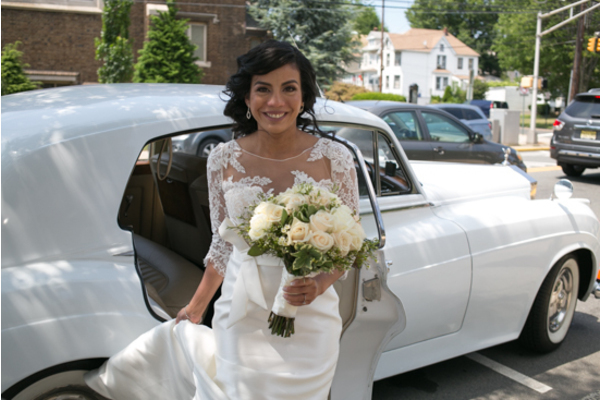 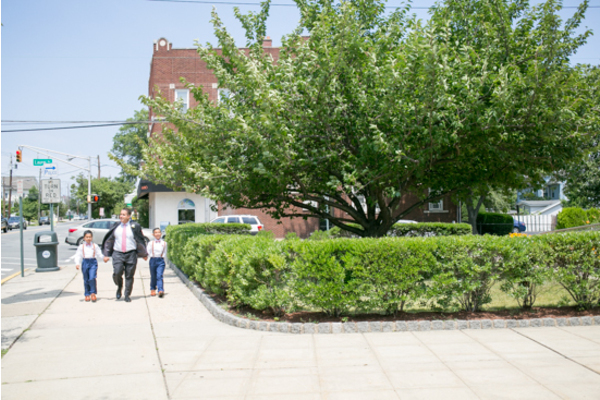 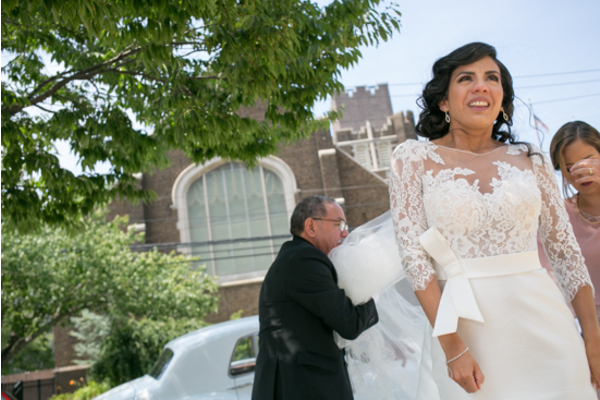 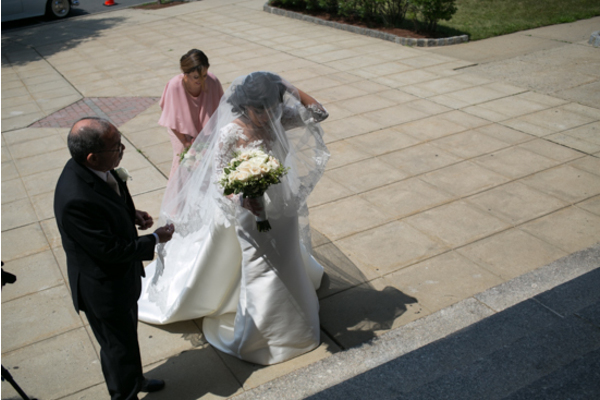 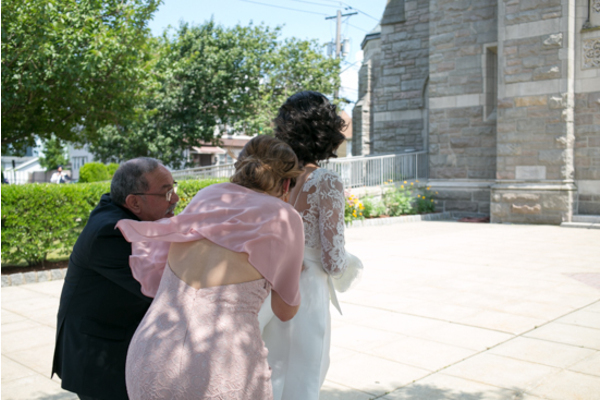 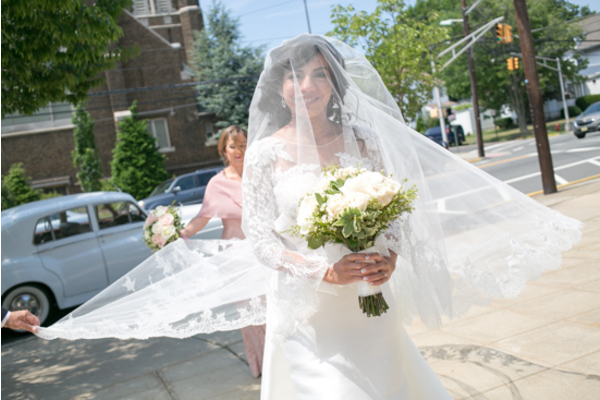 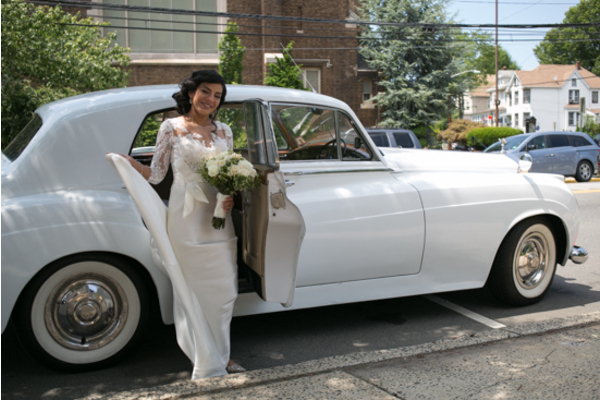 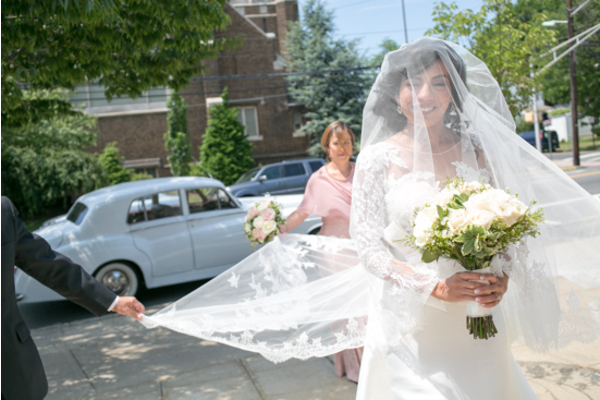 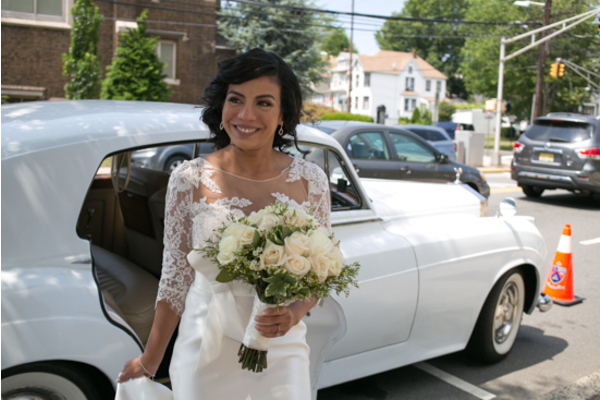 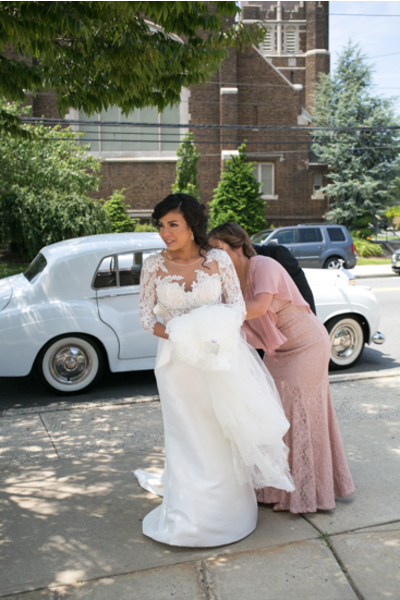 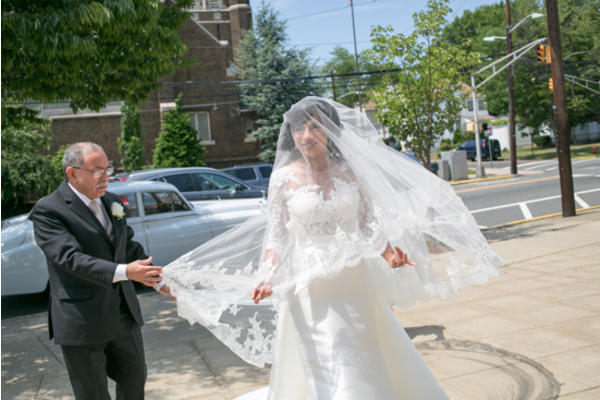 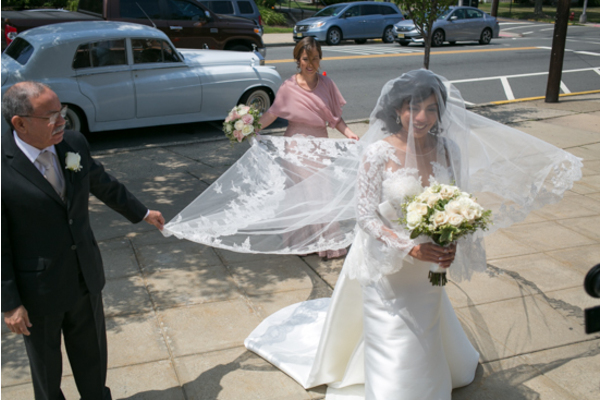 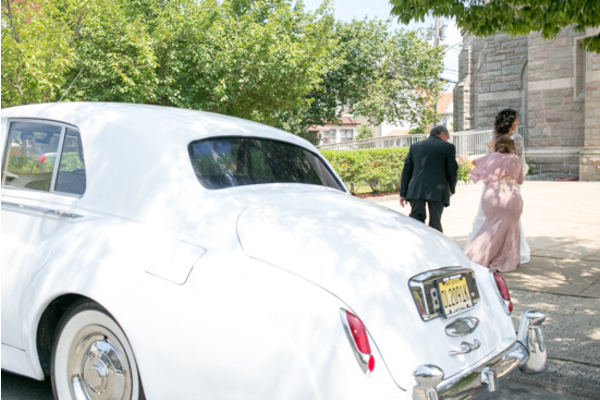 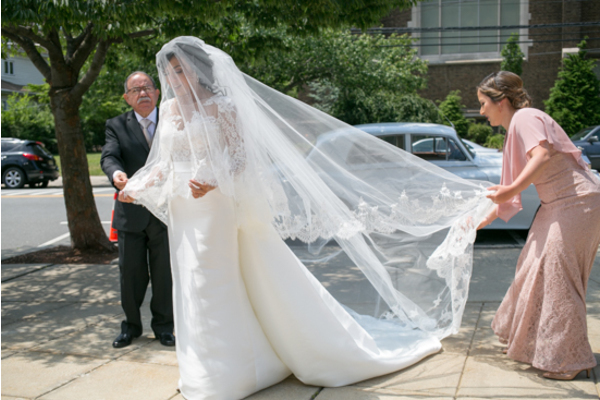 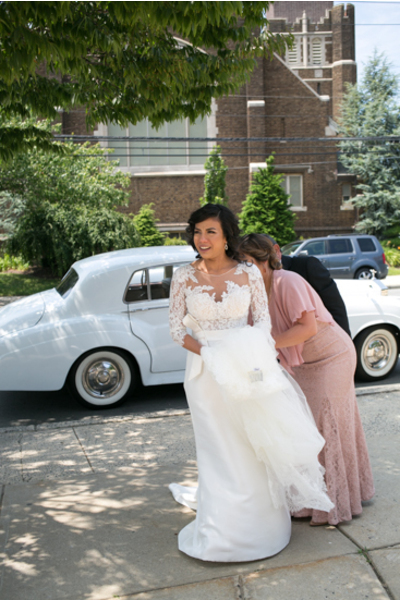 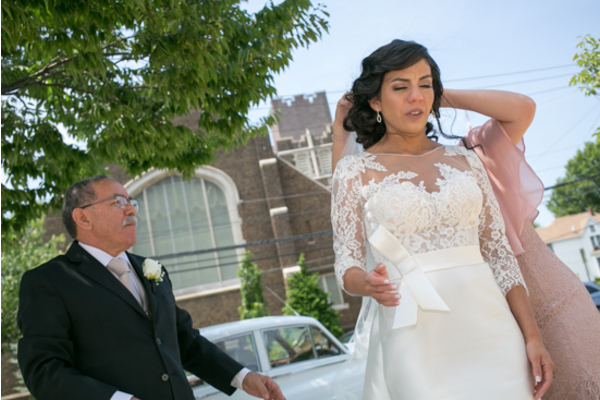 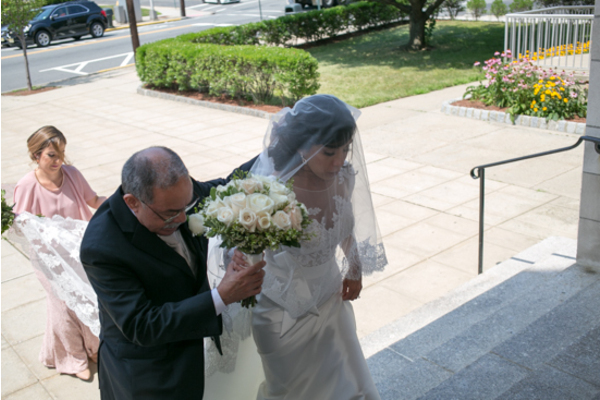 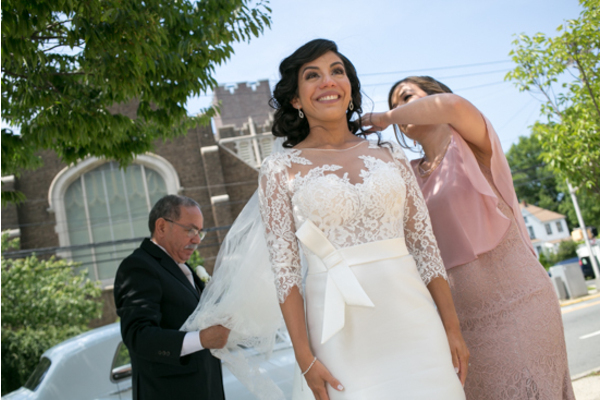 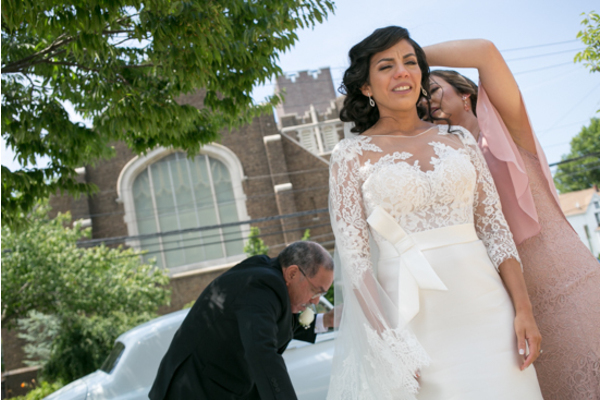 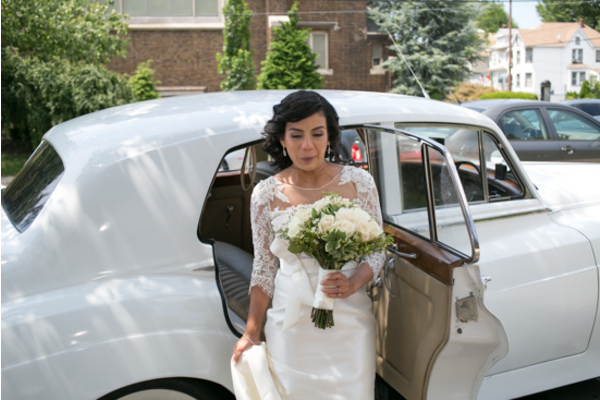 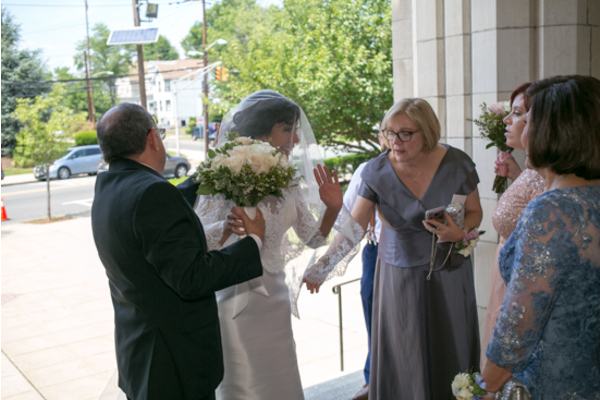 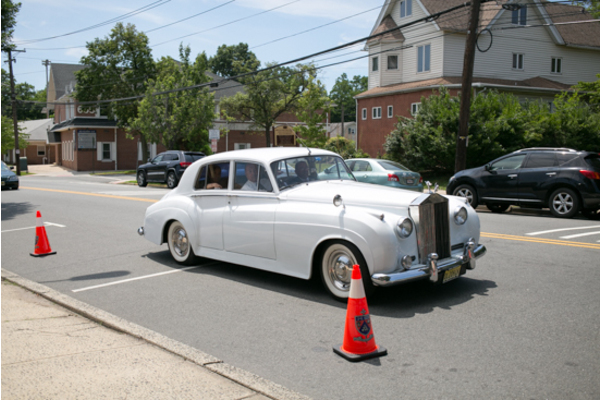 Our NJ Wedding Videographer carefully captured Maria stepping out of the car like the star that she is! 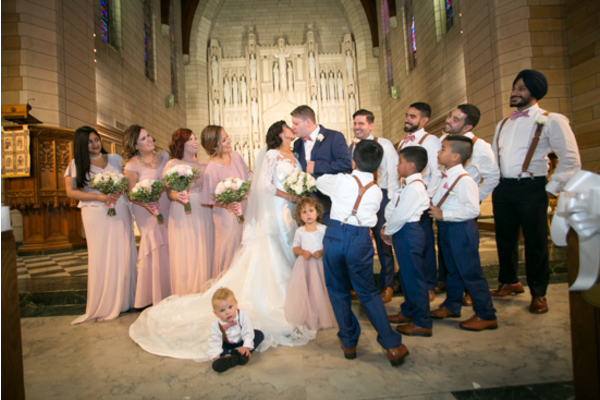 Family and friends gathered inside to grab their seat to watch the fairy tale day unfold. 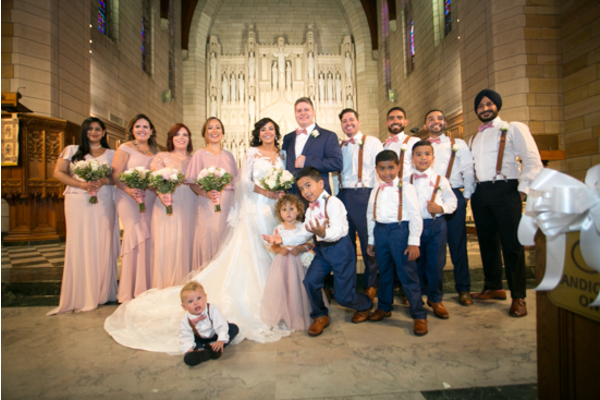 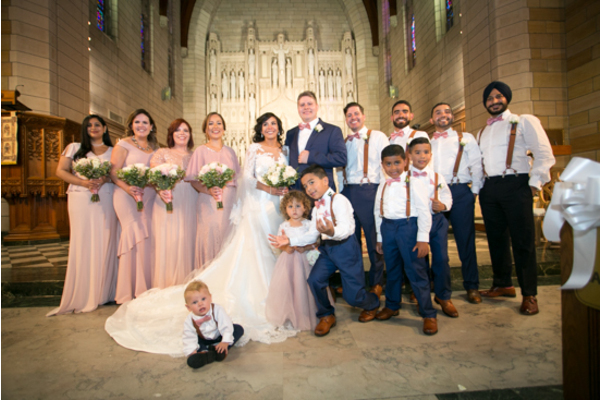 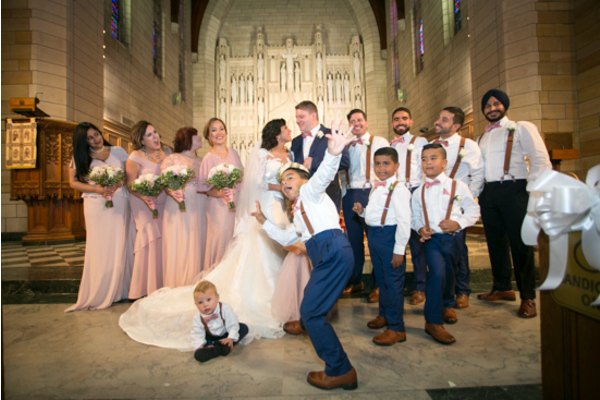 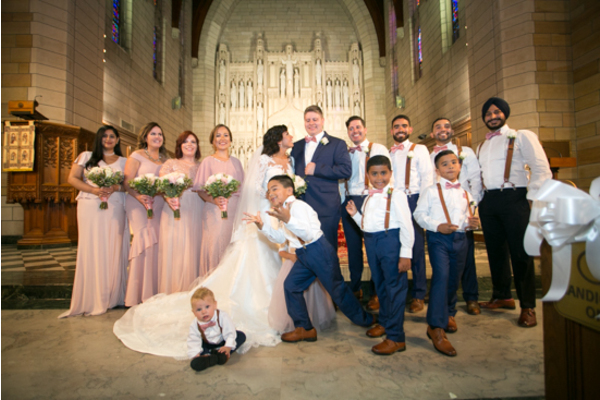 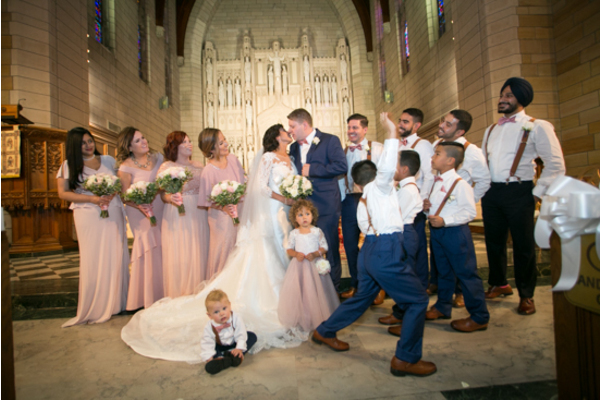 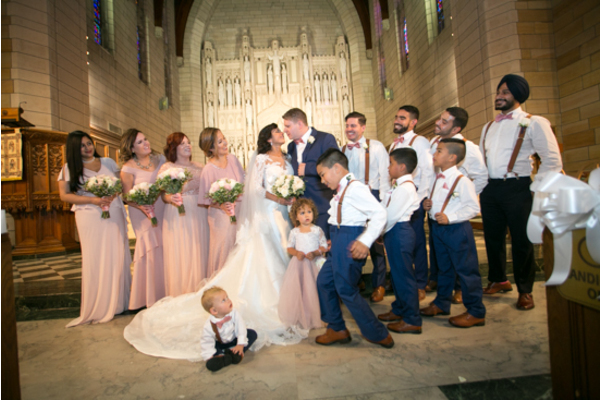 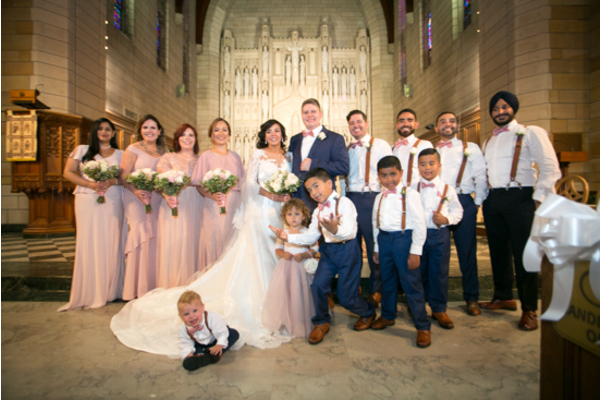 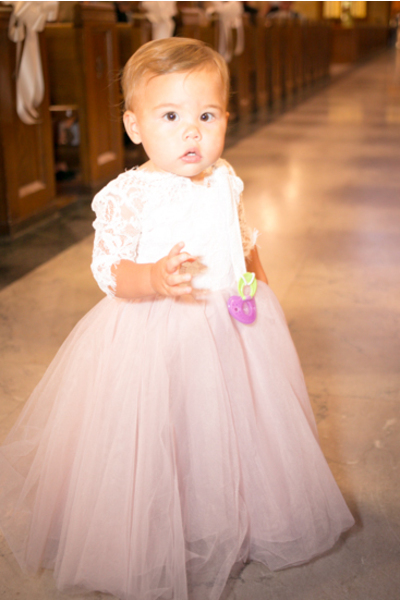 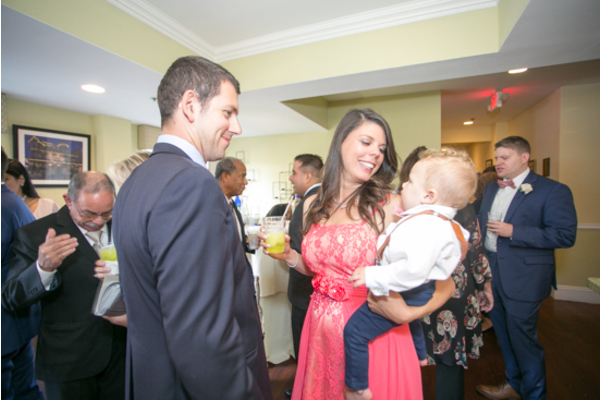 As the adorable little kids made their way up the aisle, the anticipation to see the lovely bride grew stronger and stronger! 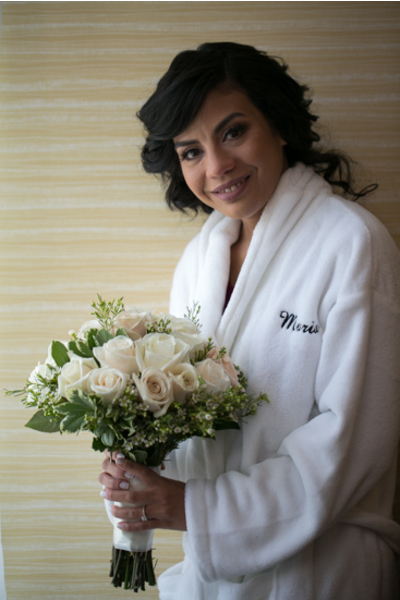 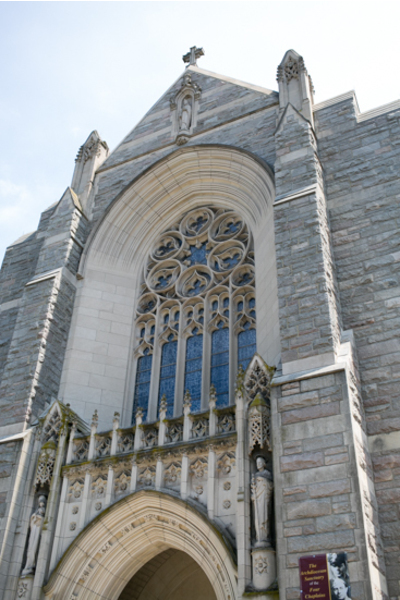 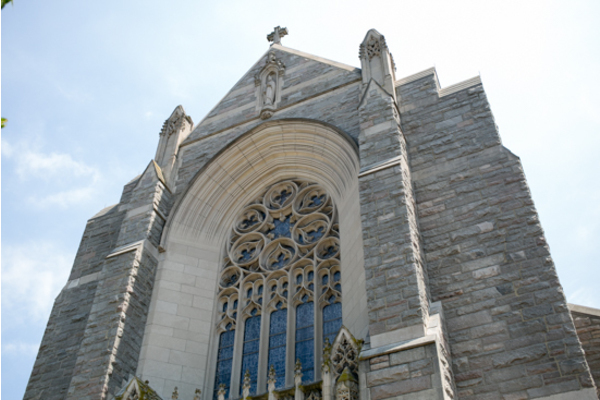 When the double doors swung open to reveal Maria, Francis’s smile was ear to ear. 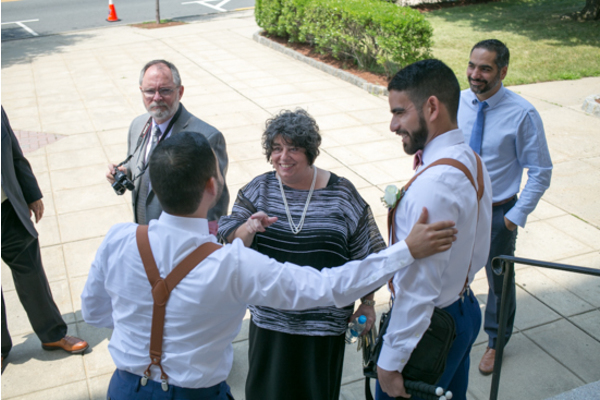 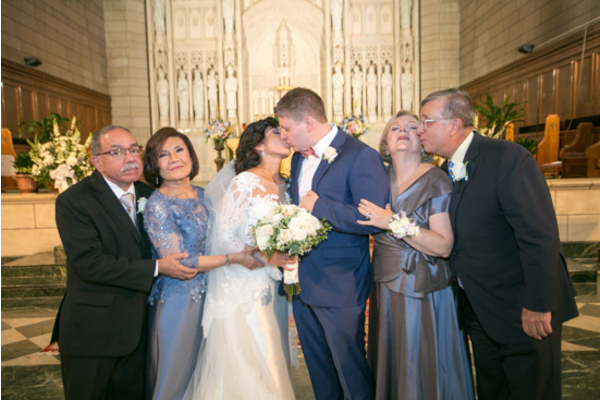 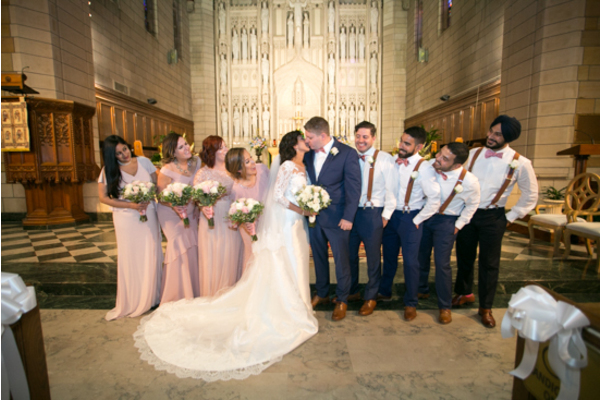 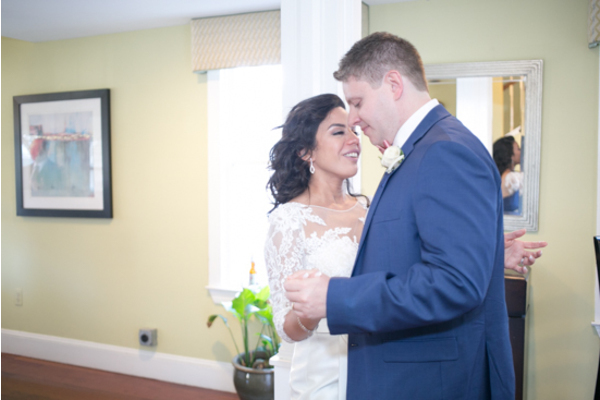 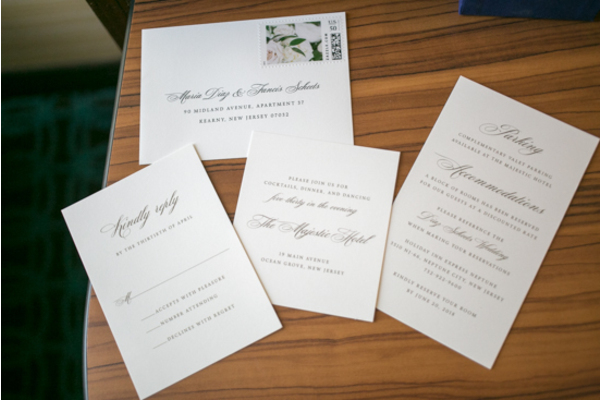 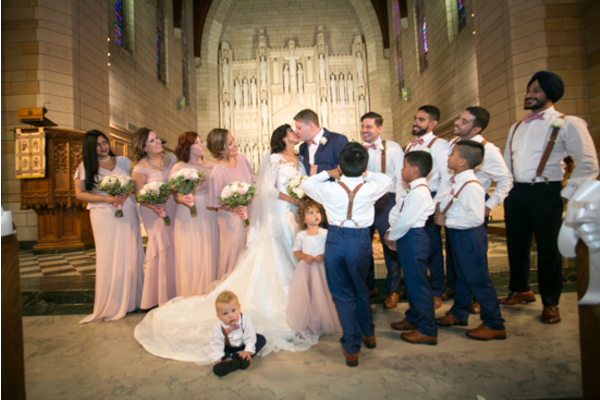 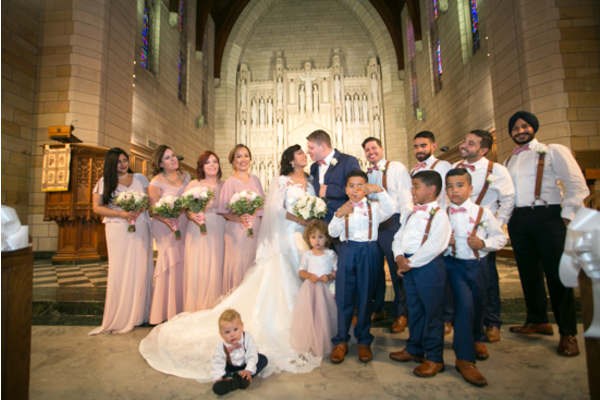 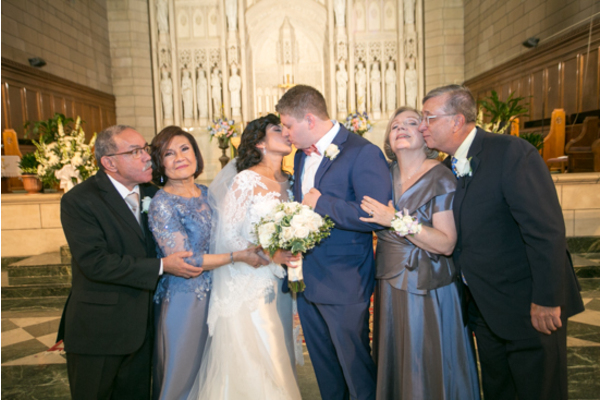 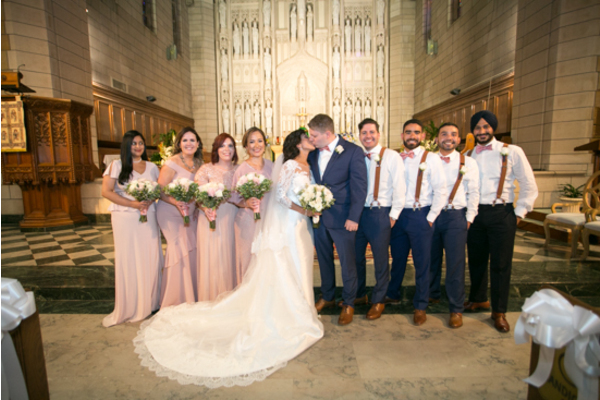 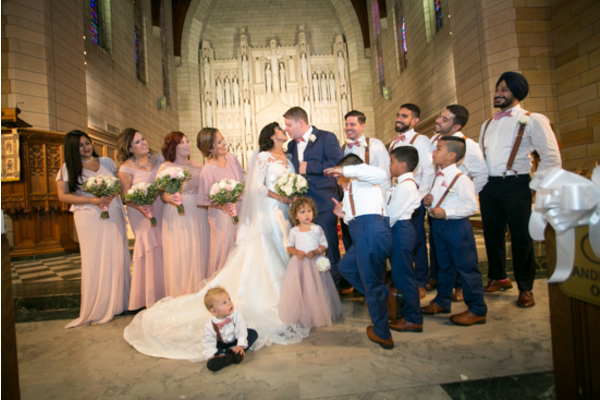 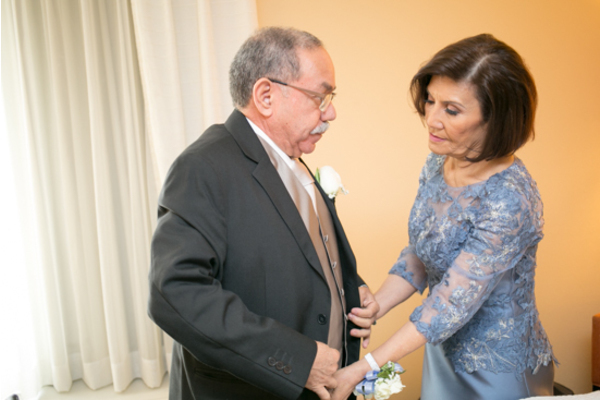 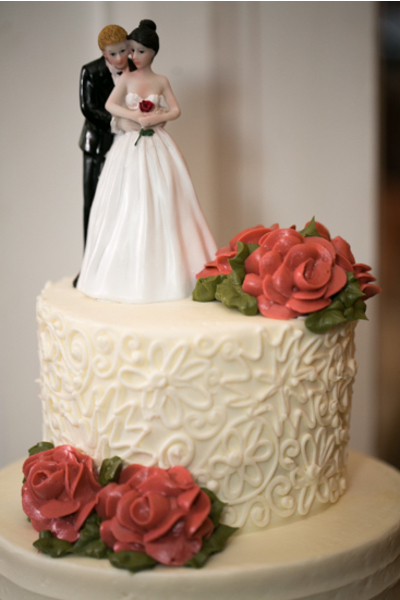 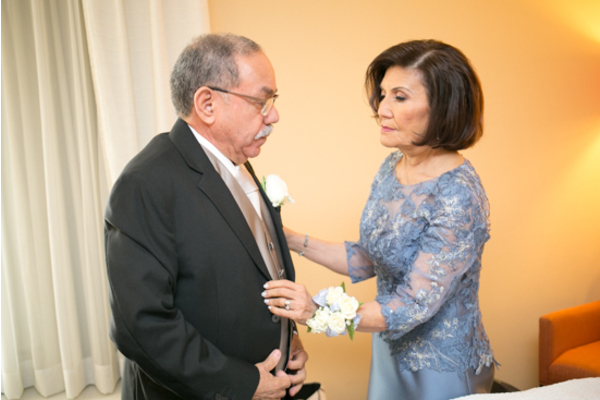 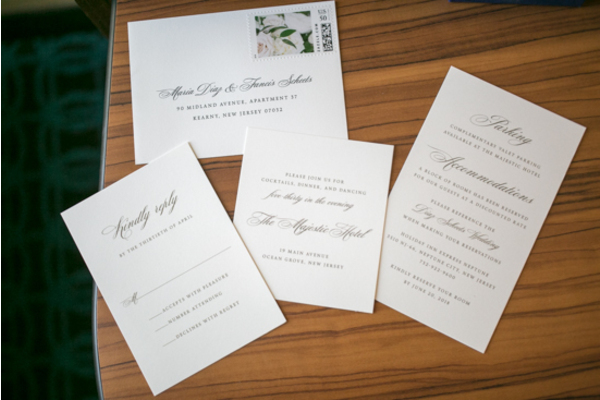 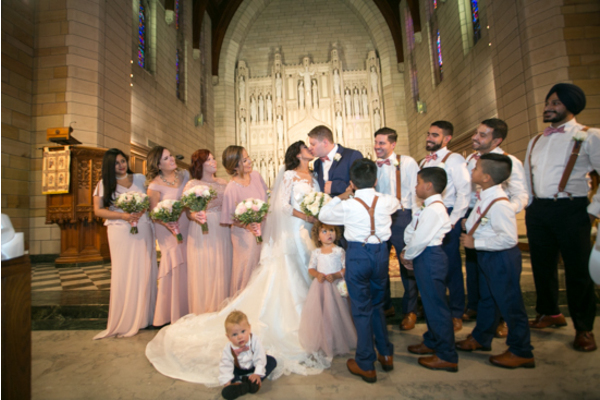 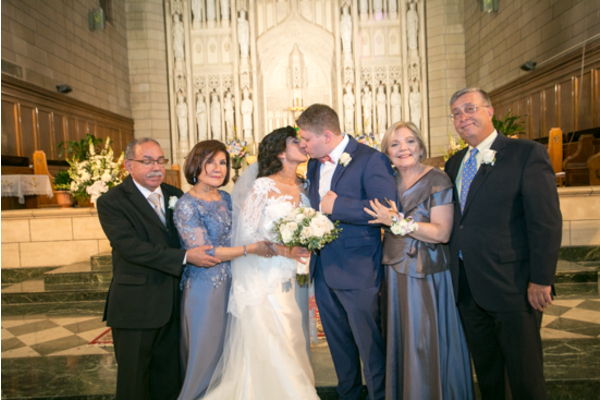 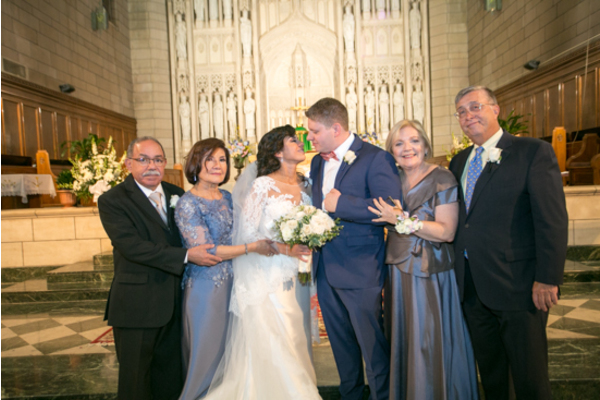 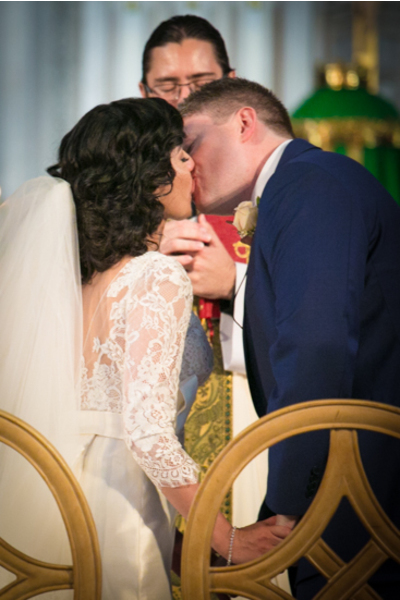 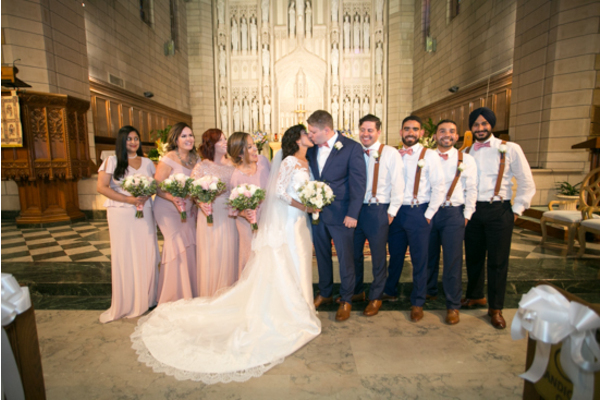 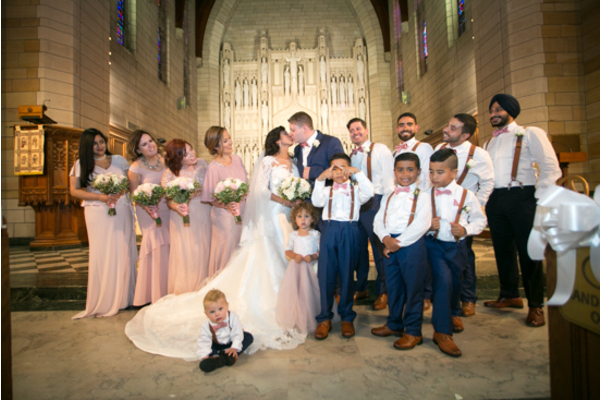 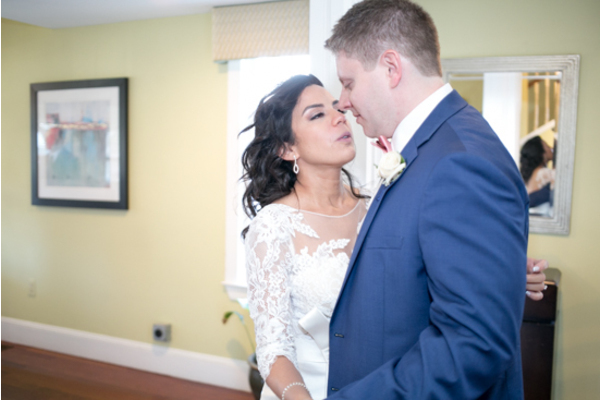 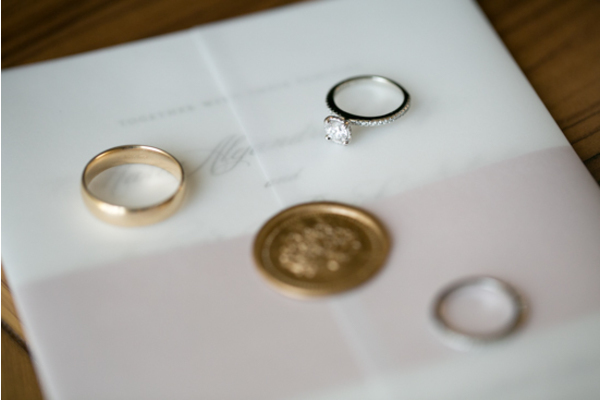 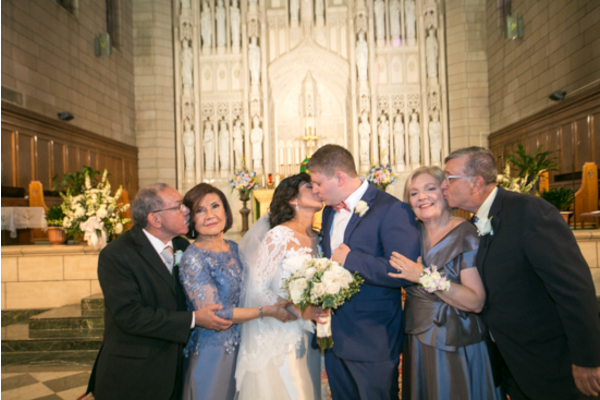 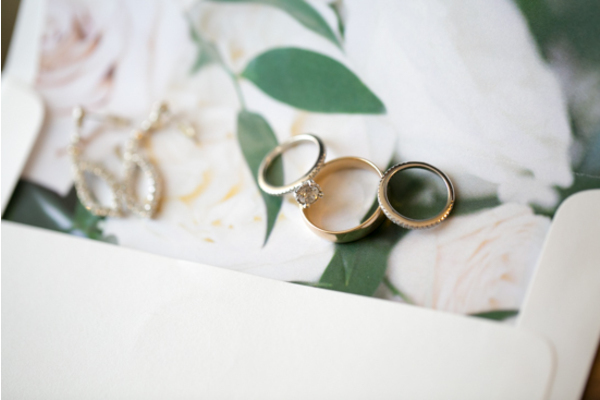 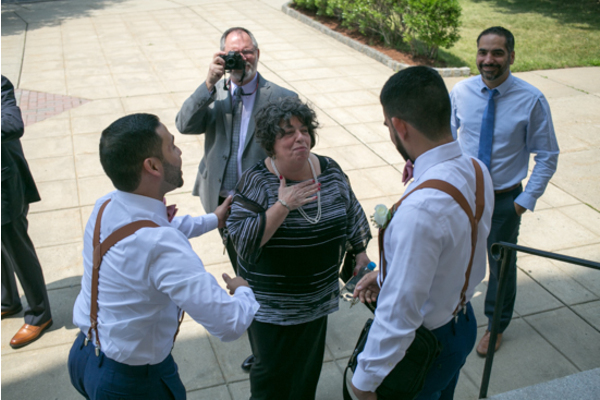 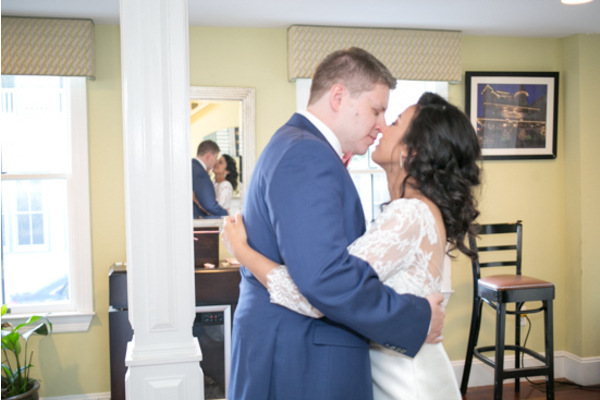 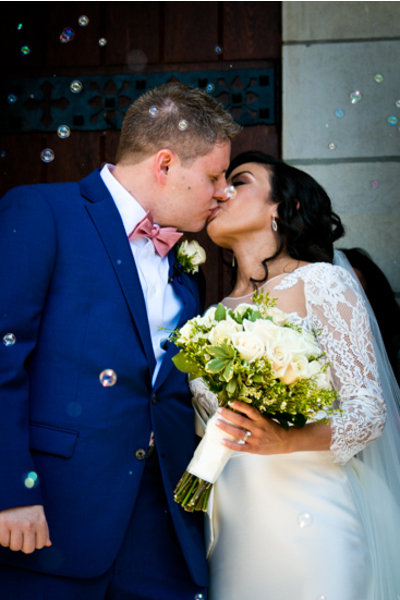 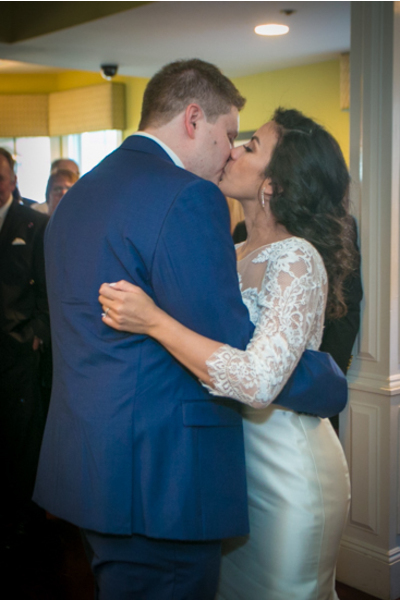 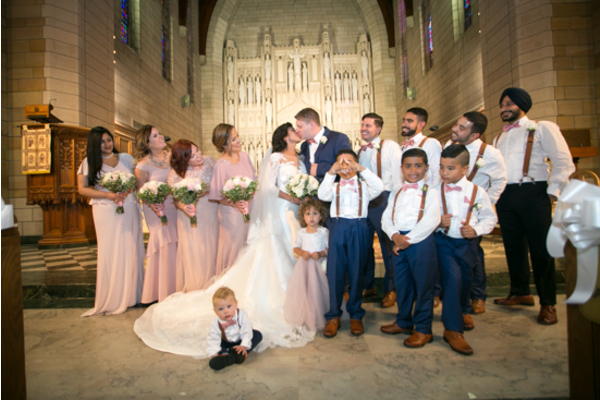 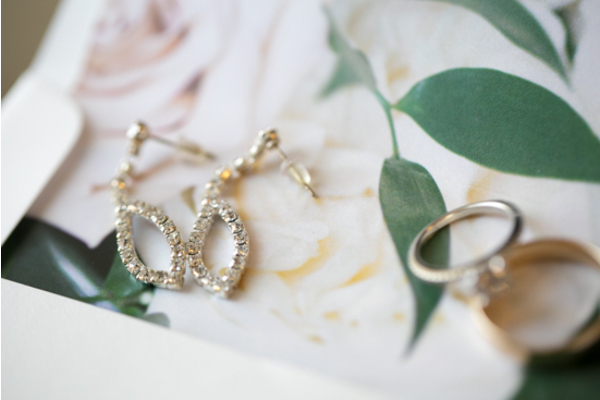 The couple exchanged their vows, stole a kiss, and were sent off to celebrate with their loved ones! 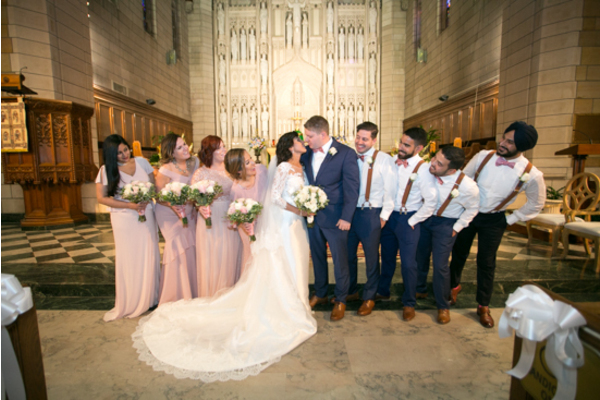 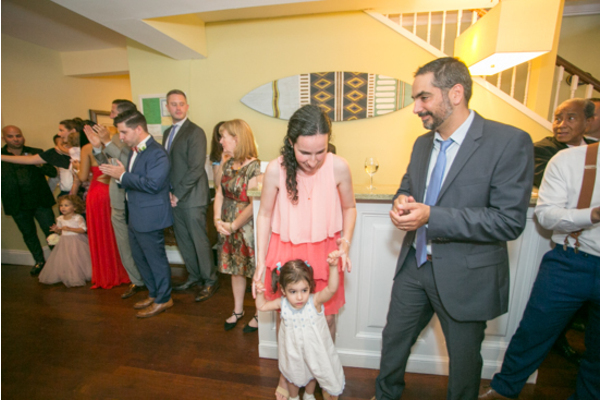 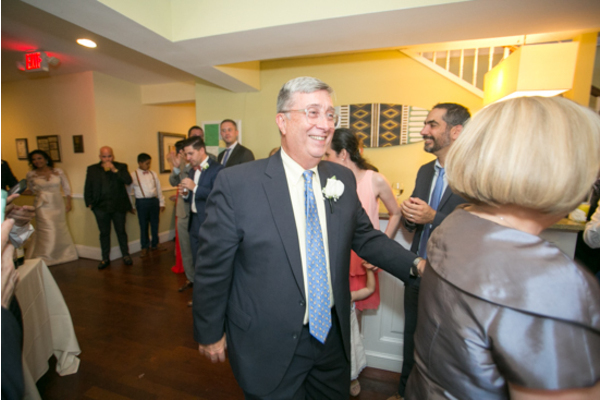 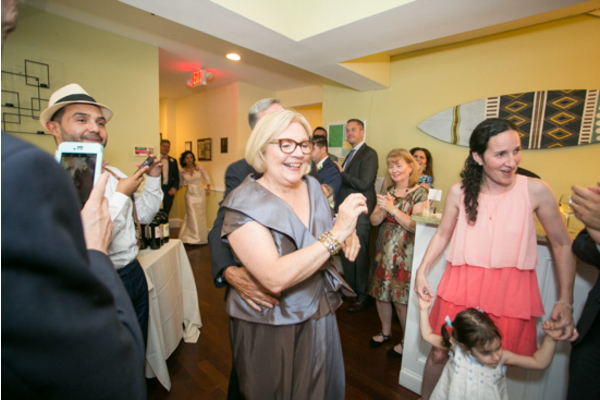 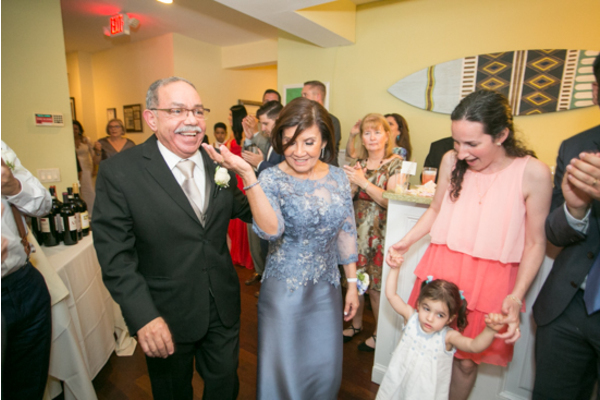 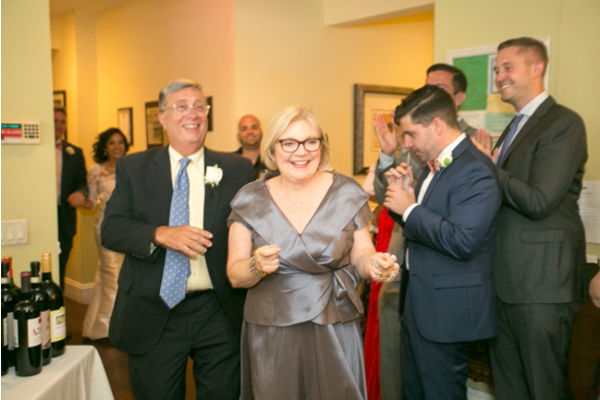 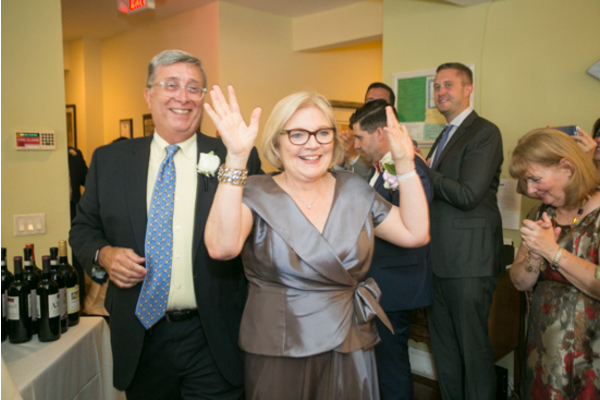 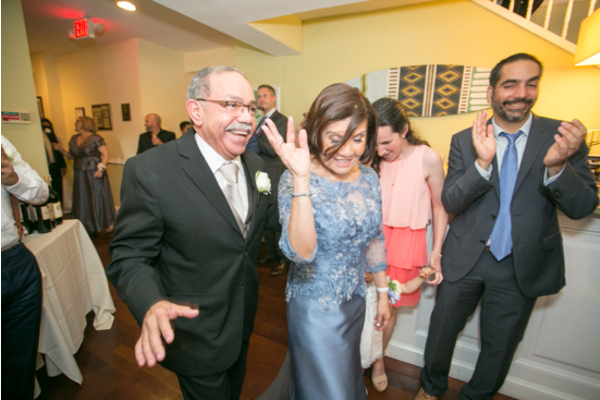 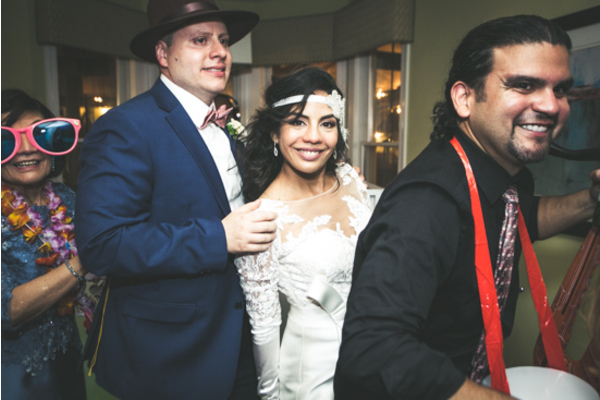 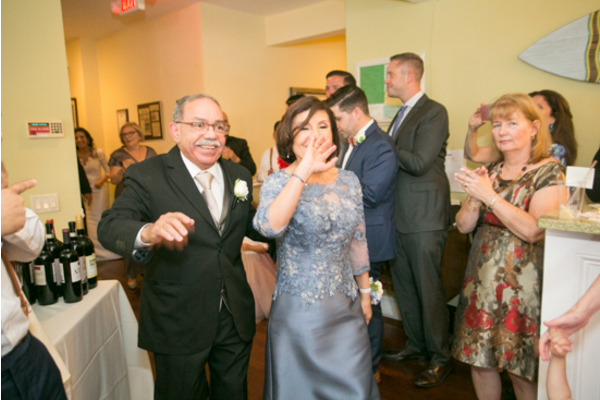 All eyes were on the bridal party as they danced into the room. 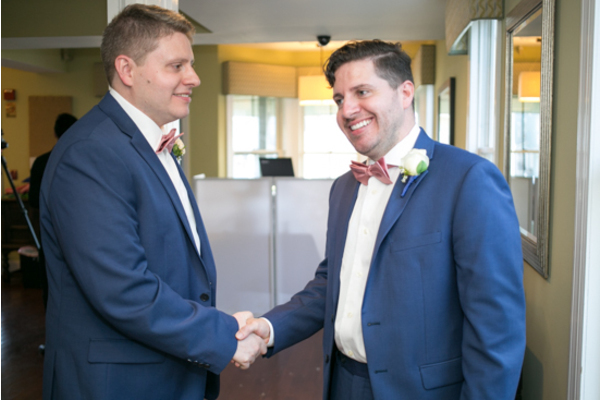 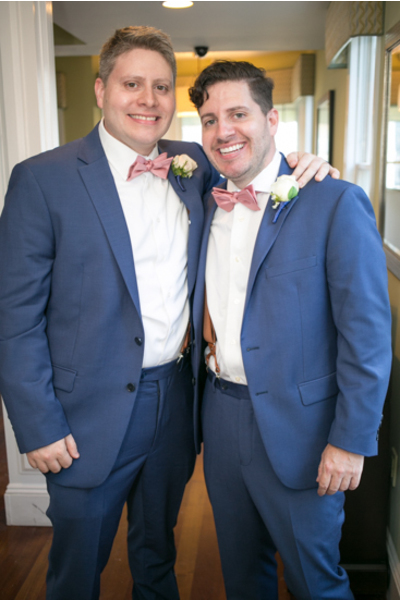 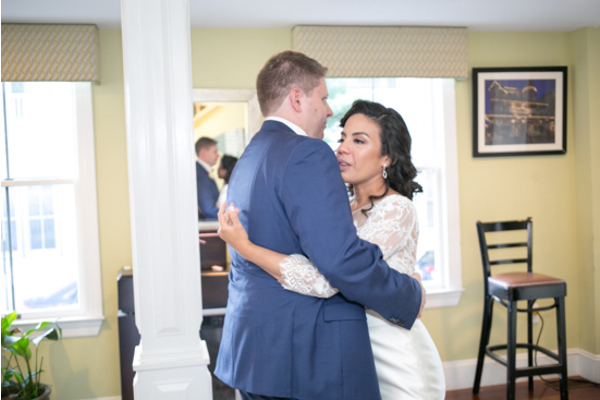 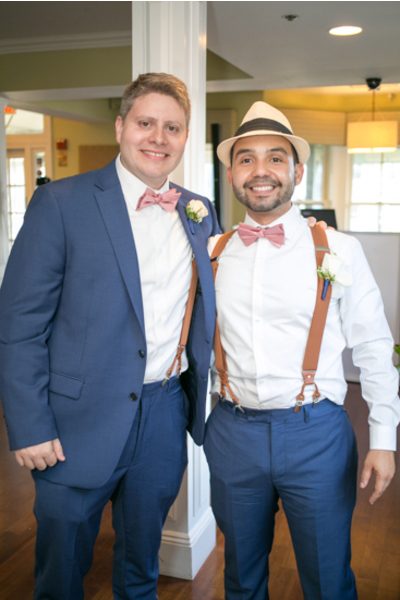 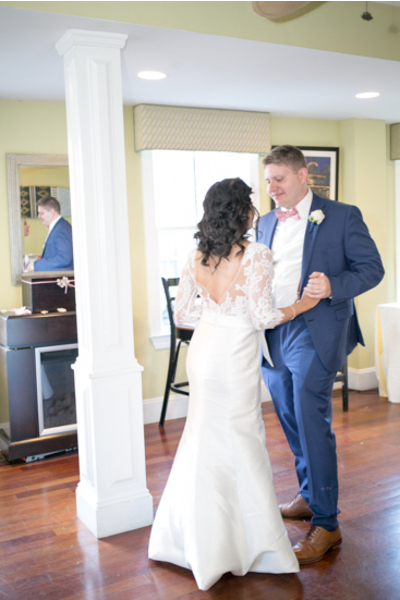 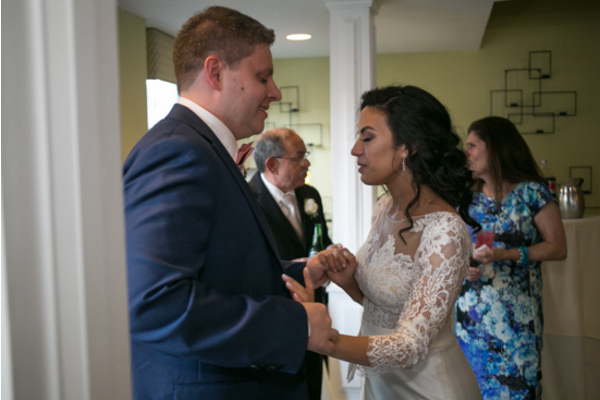 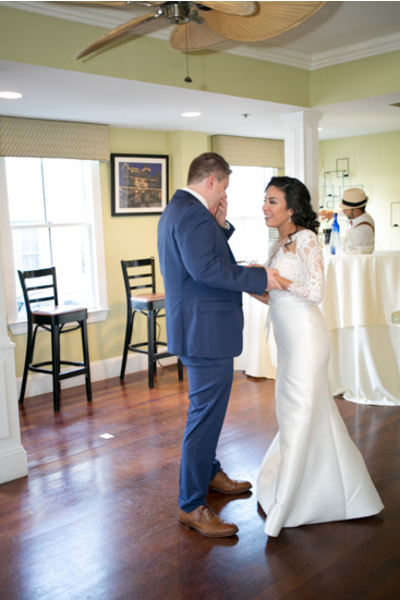 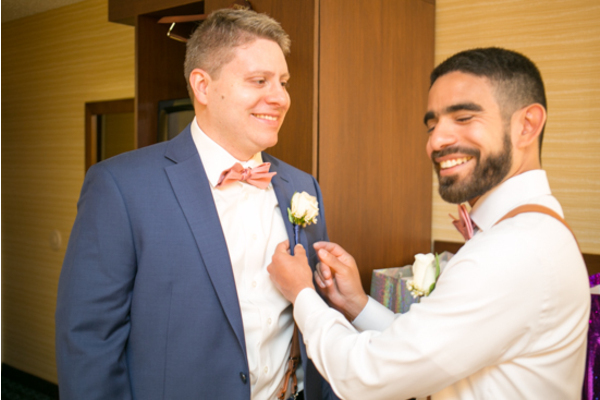 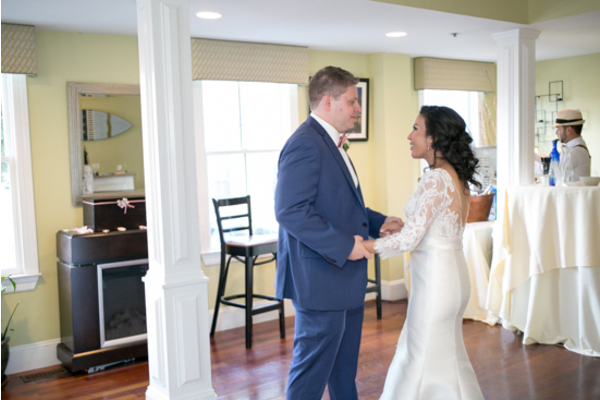 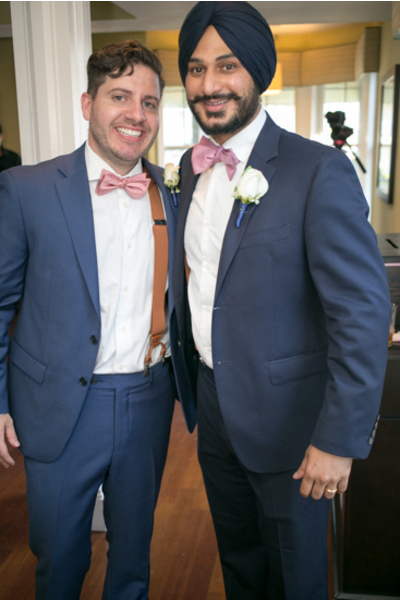 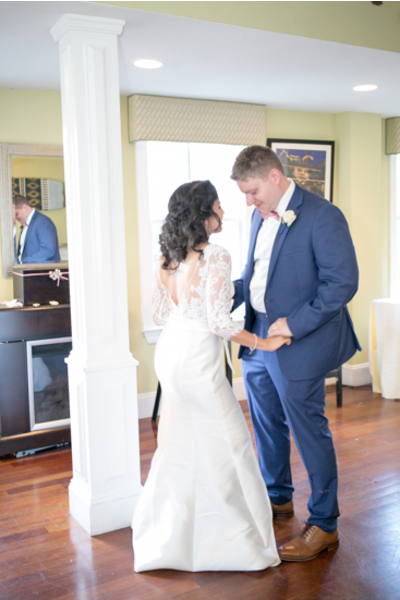 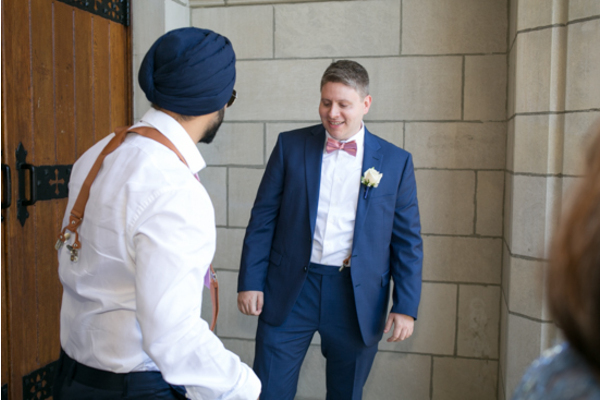 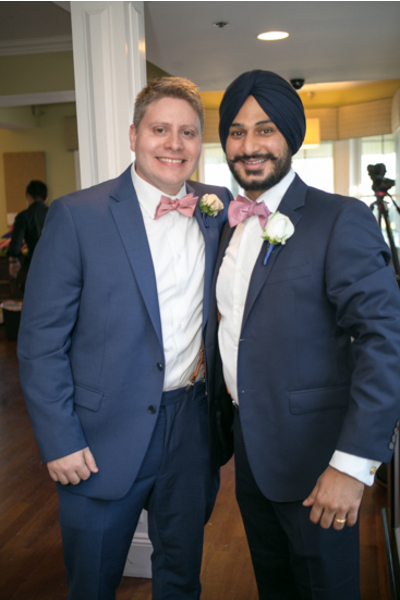 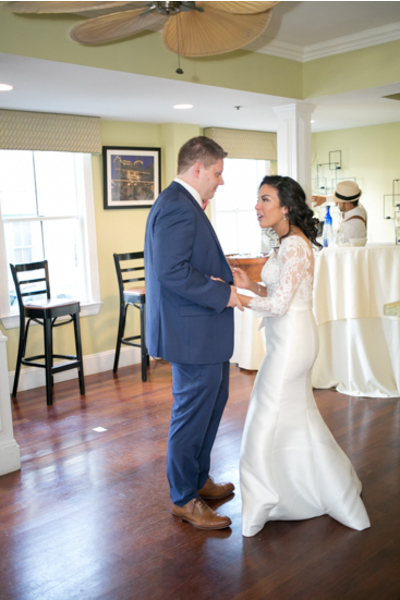 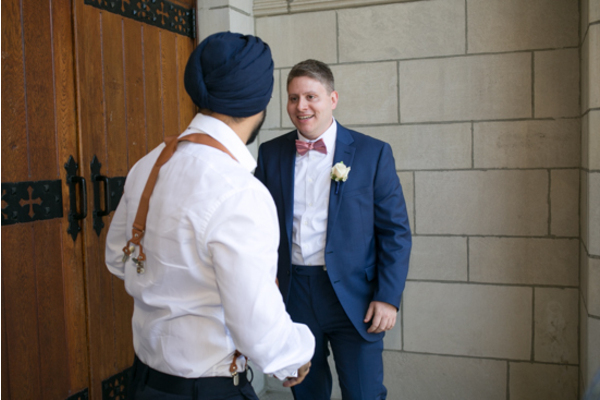 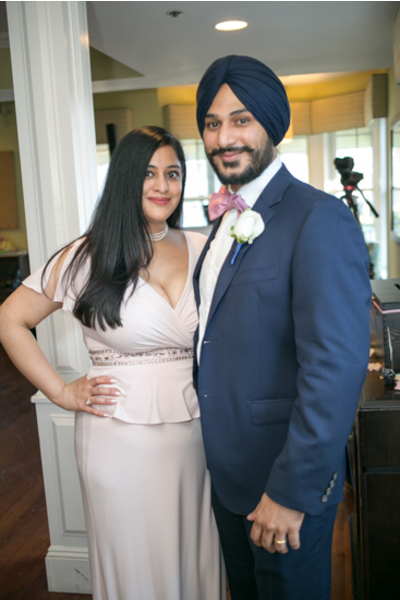 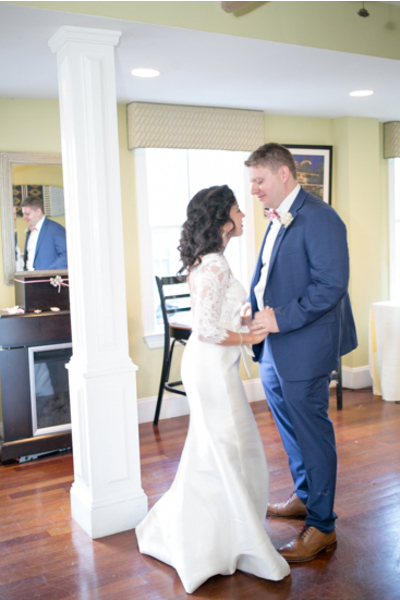 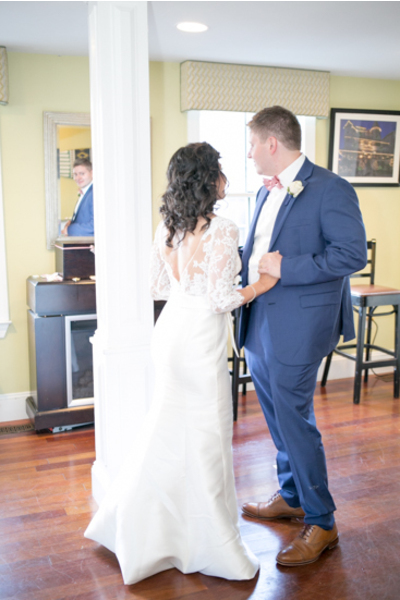 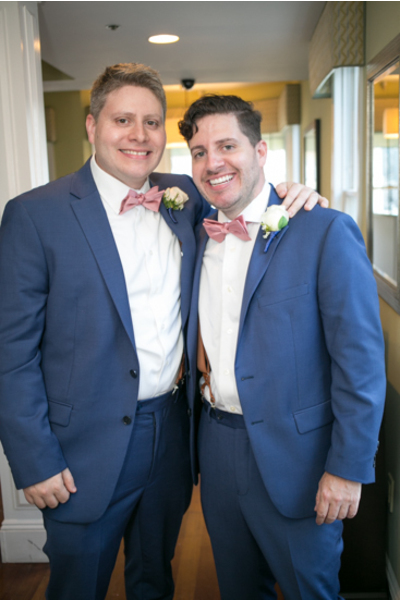 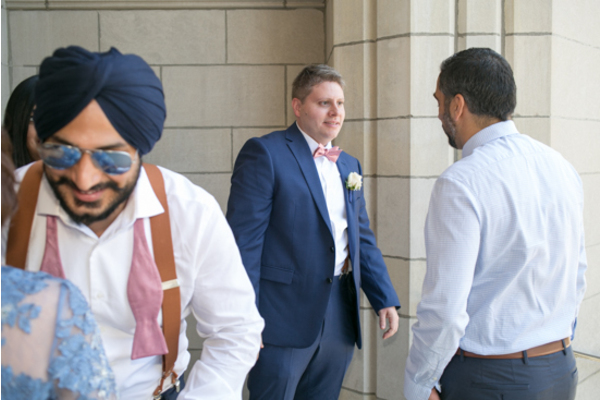 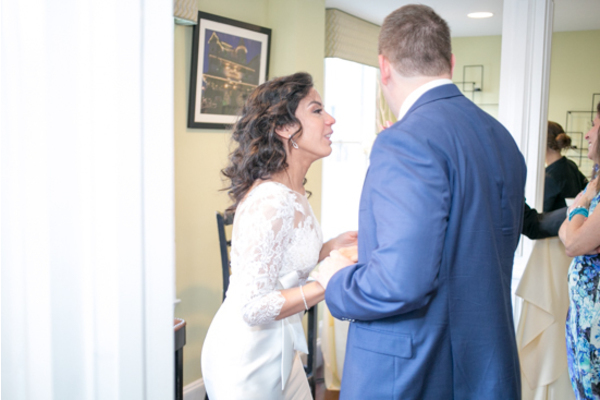 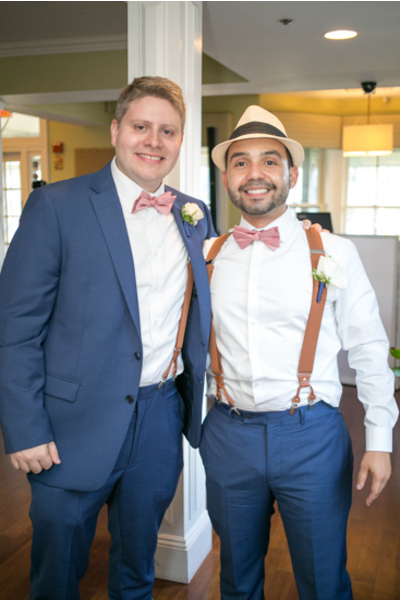 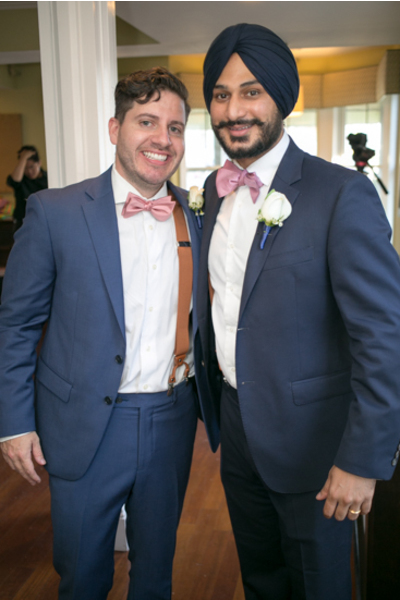 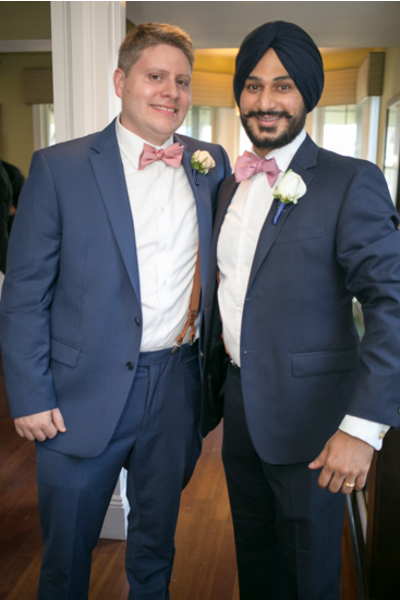 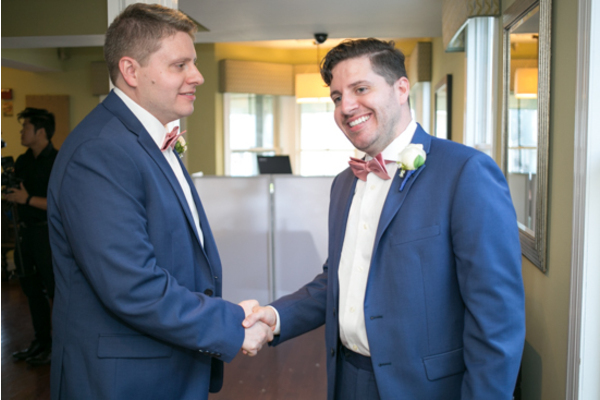 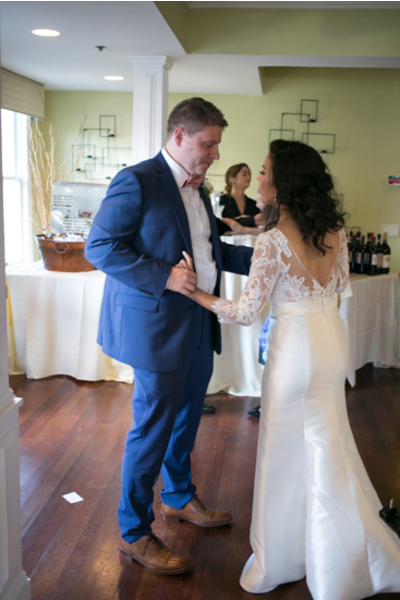 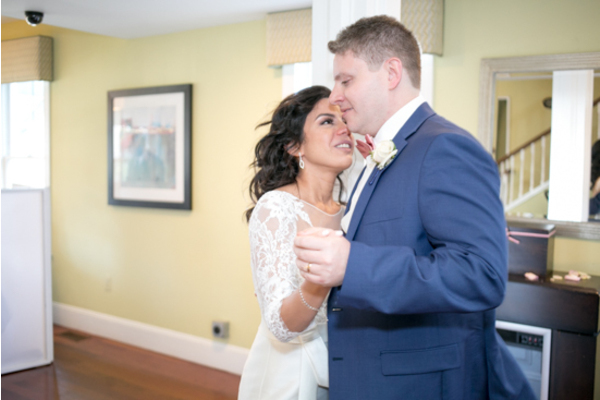 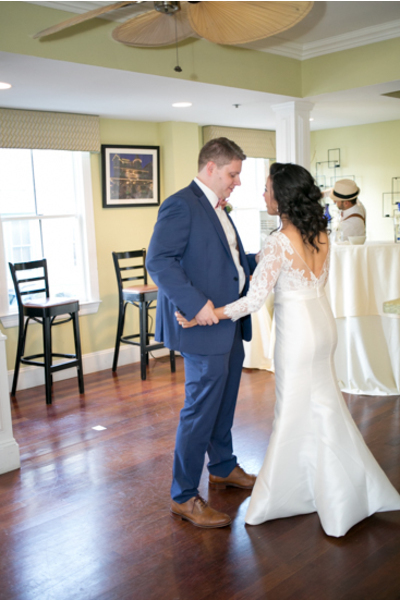 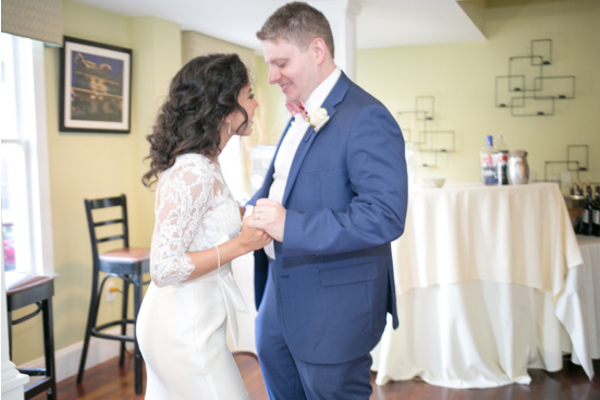 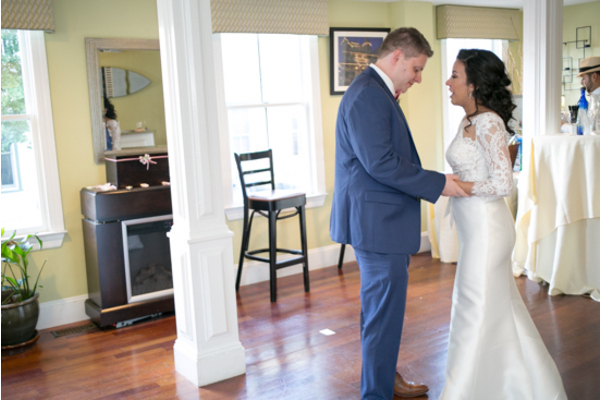 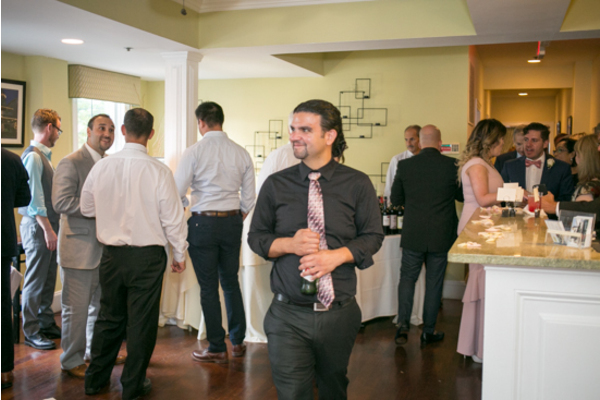 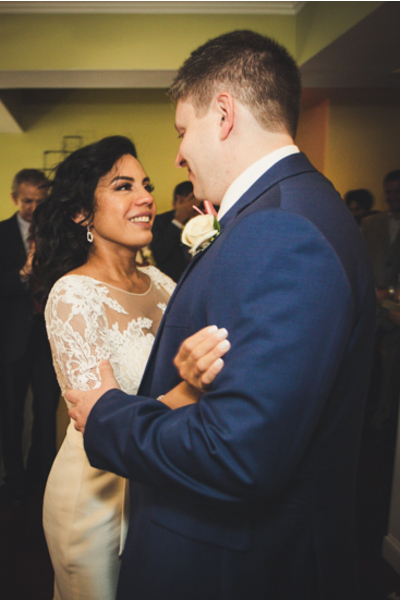 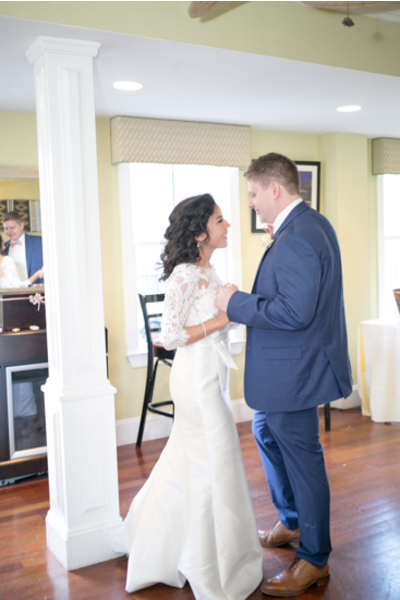 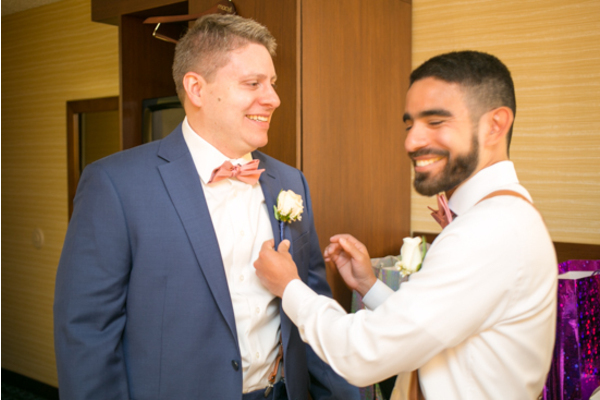 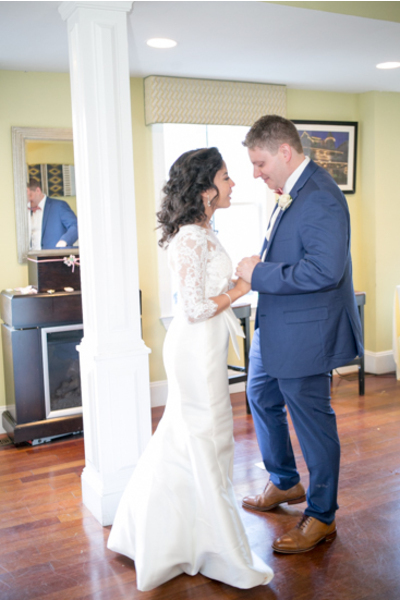 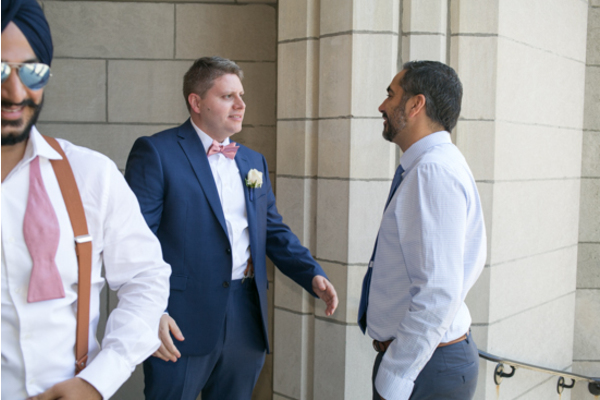 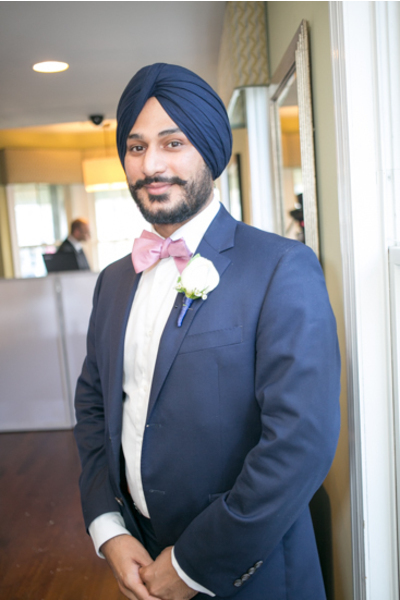 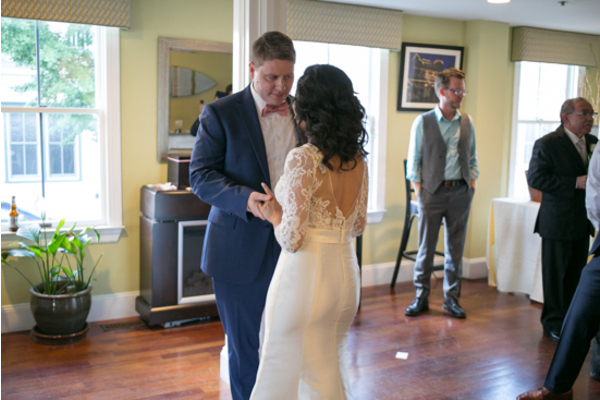 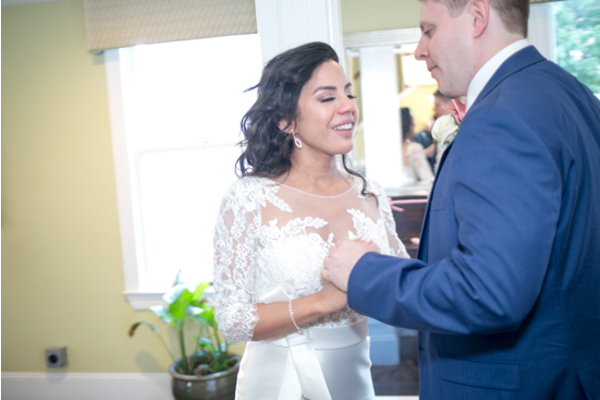 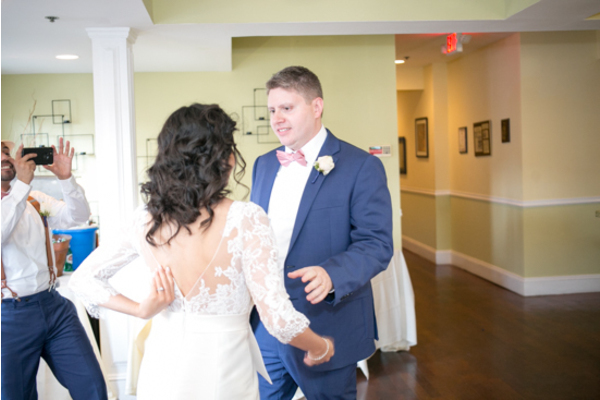 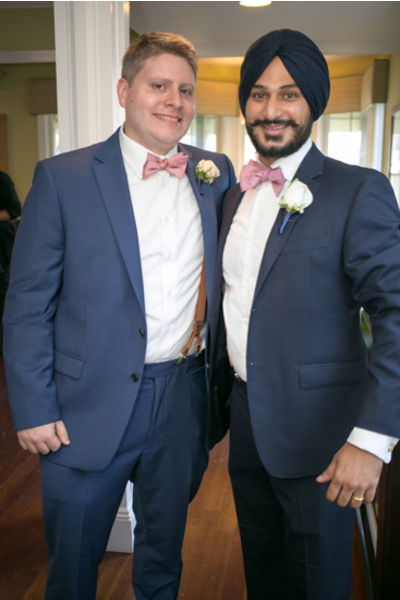 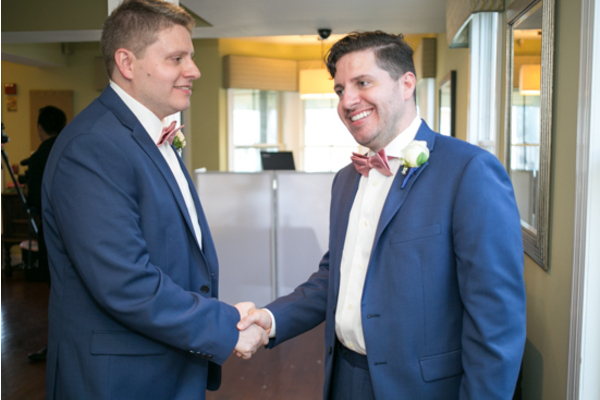 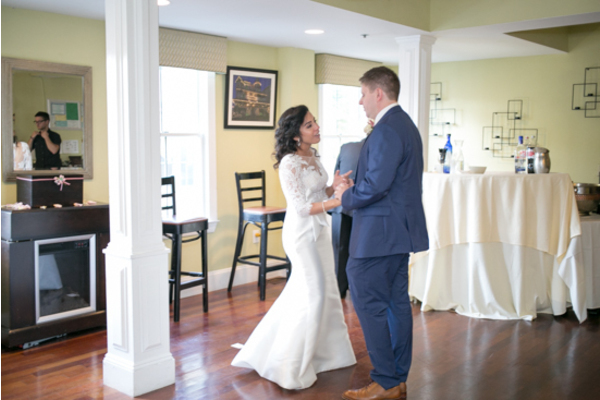 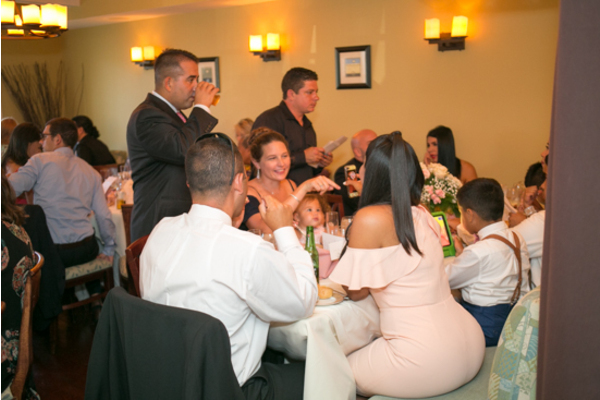 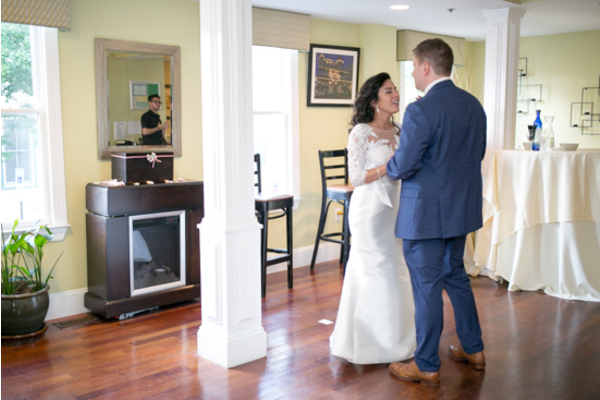 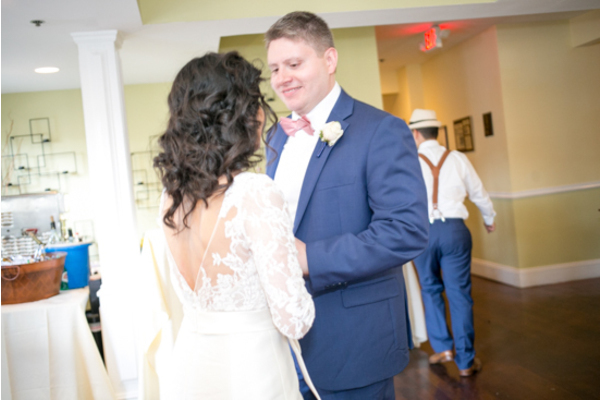 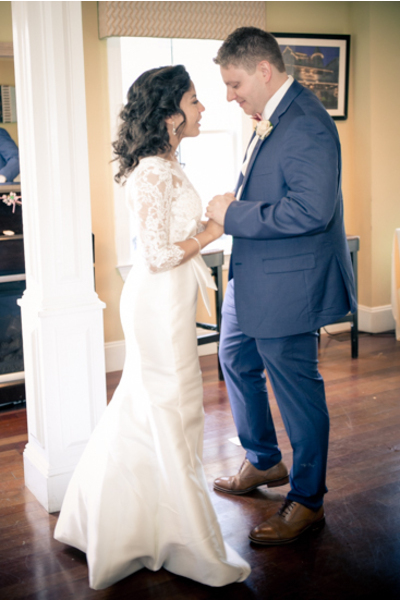 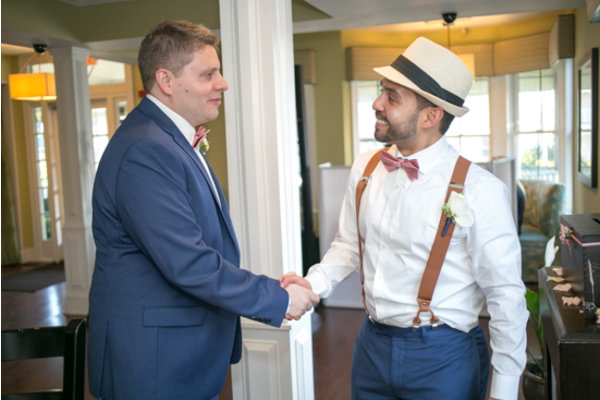 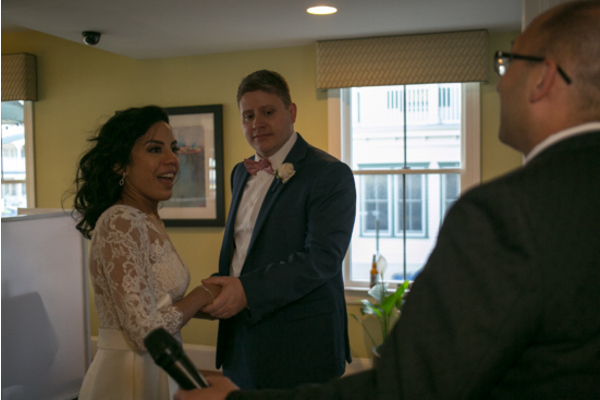 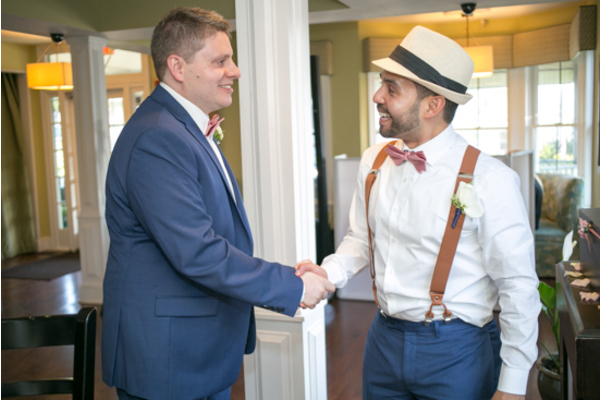 Our NJ Wedding DJ made sure this would be a night to remember by playing the perfect first dance song to start the party. 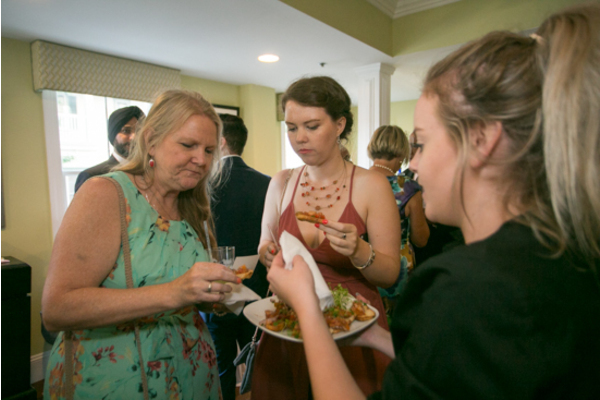 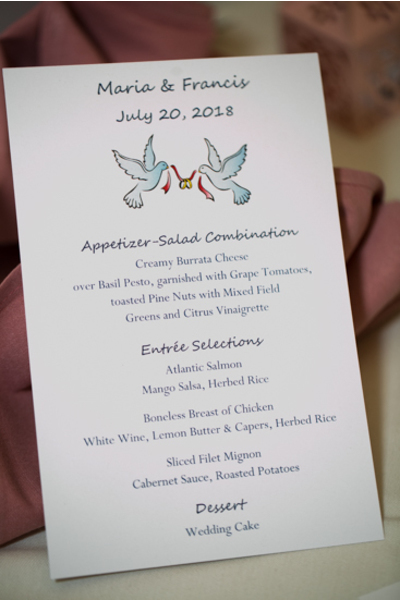 A touching toast and tasty treats added to the overall perfection of the night. 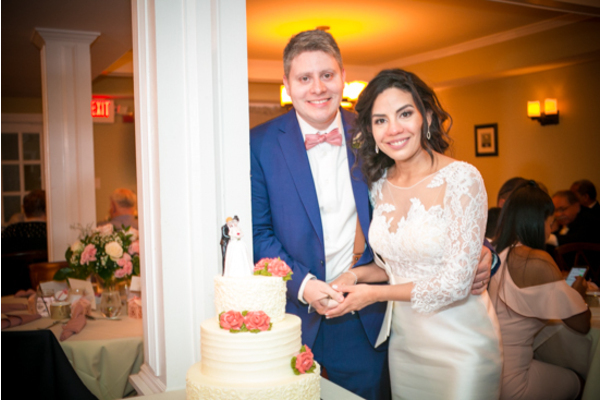 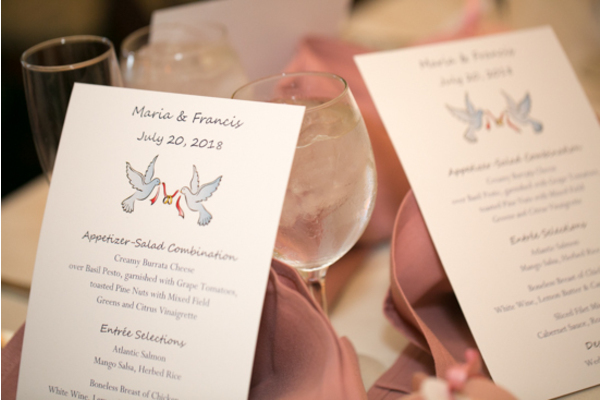 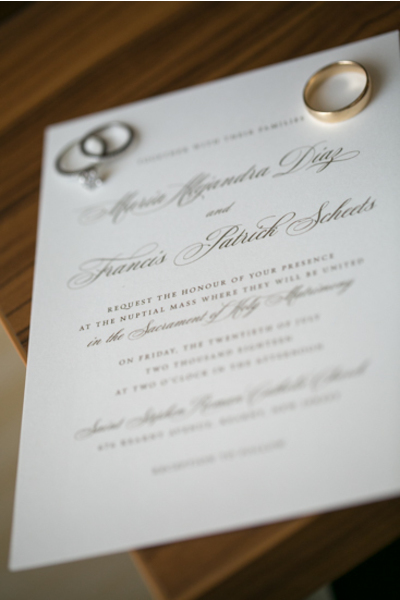 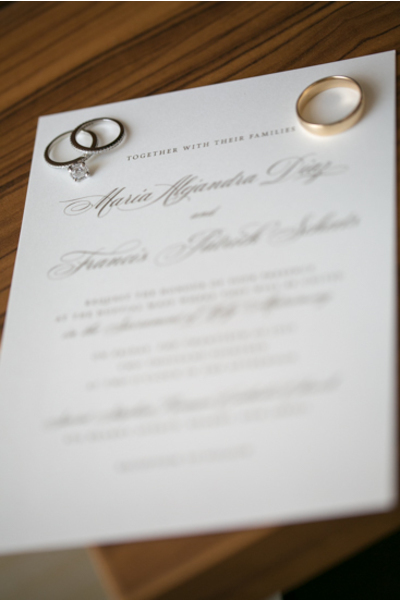 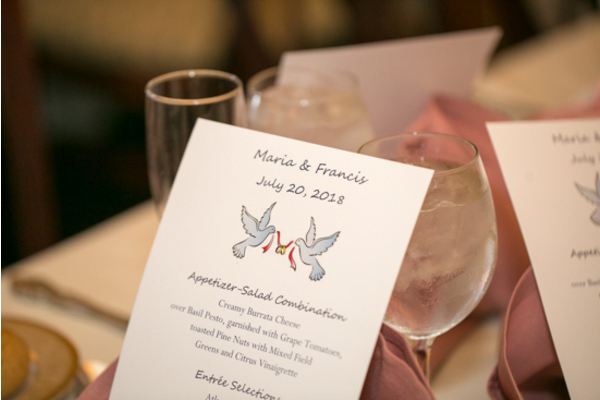 Congratulations, again, to Maria and Francis! 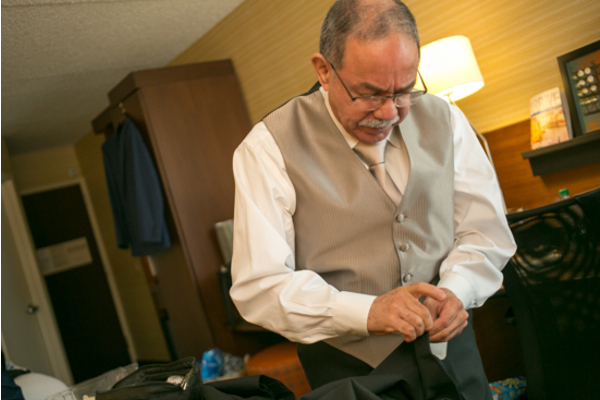 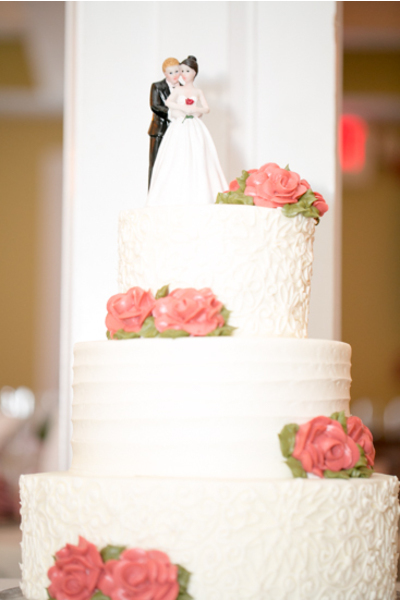 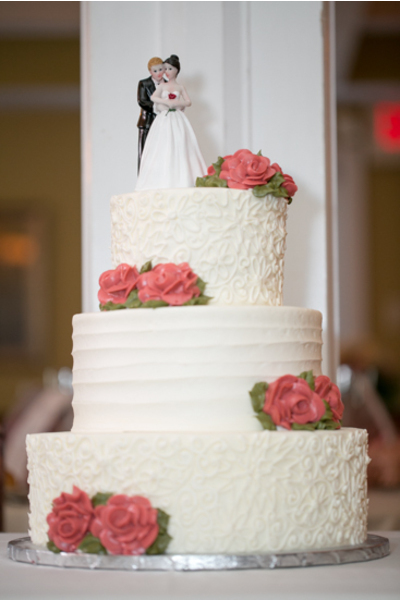 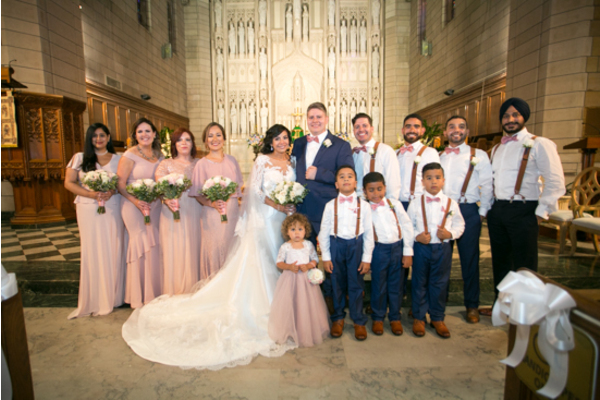 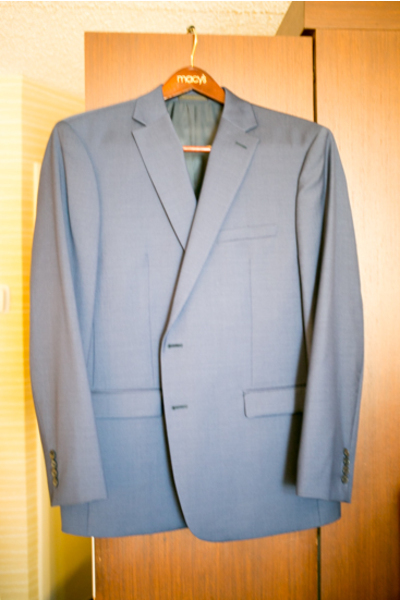 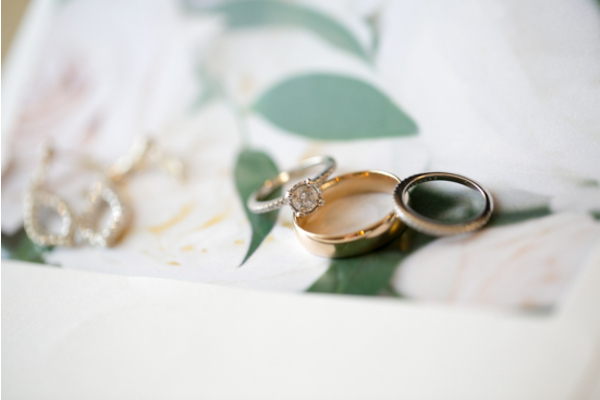 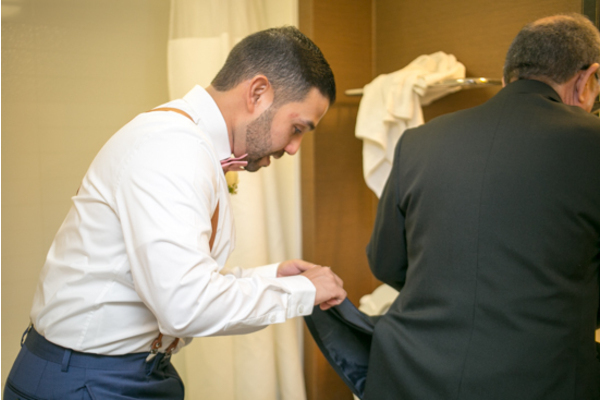 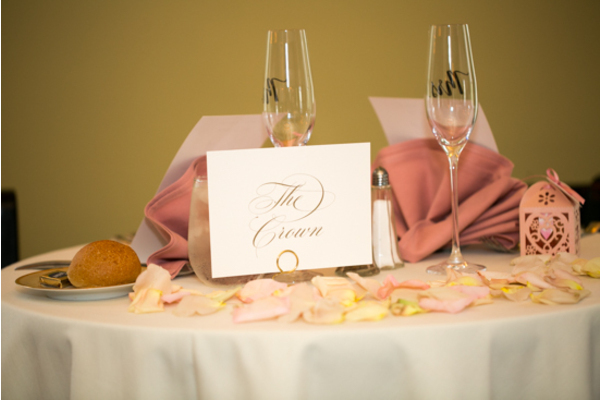 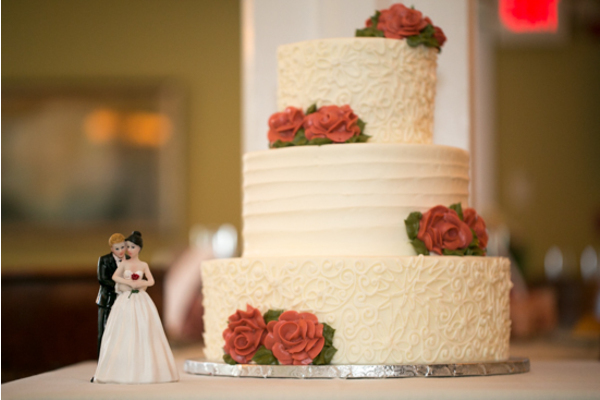 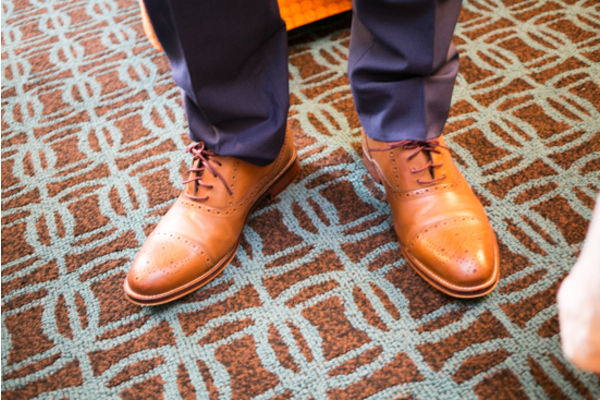 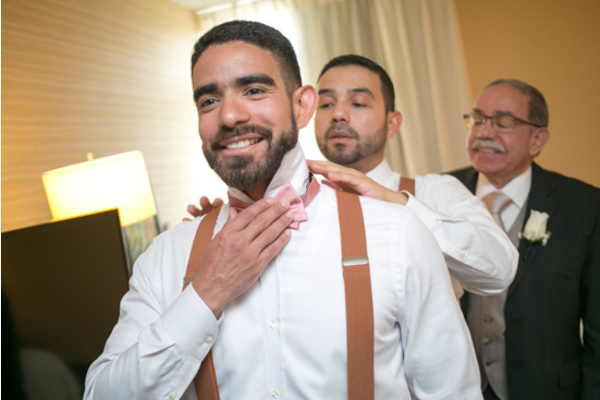 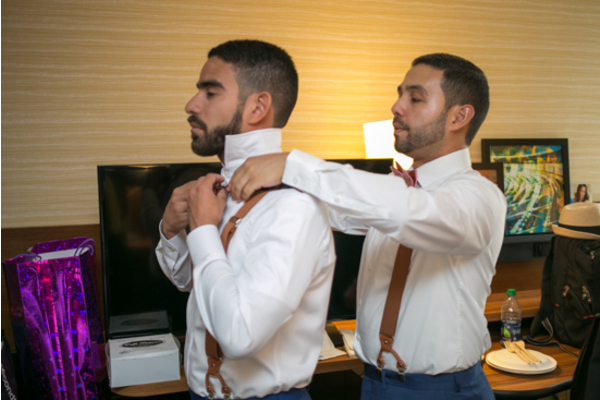 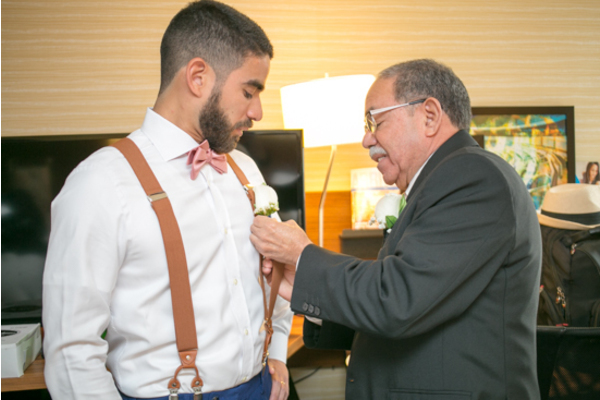 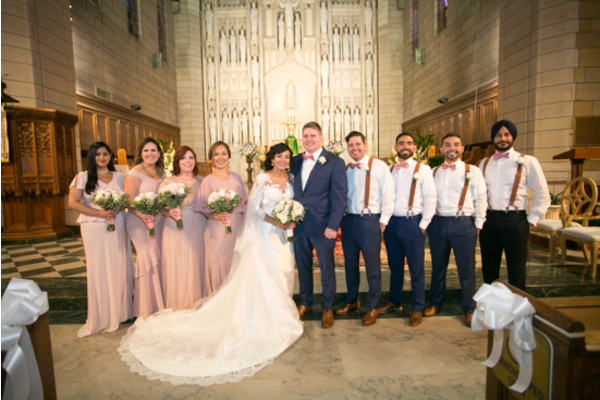 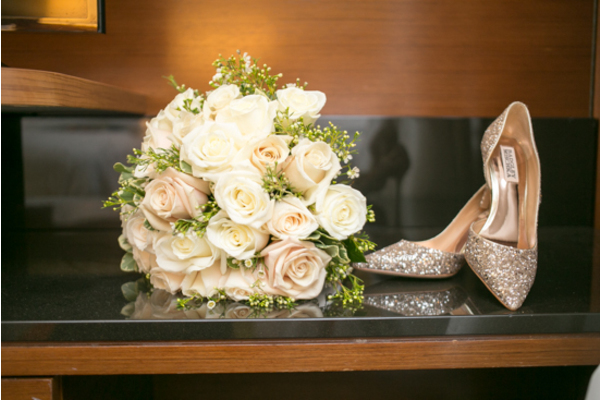 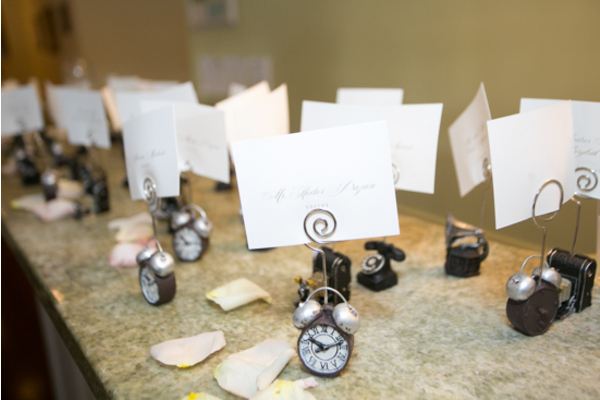 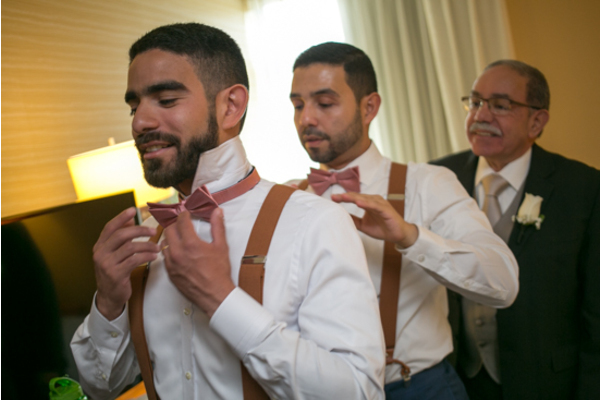 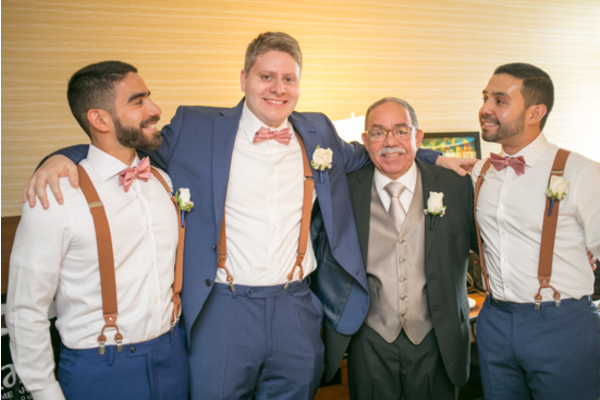 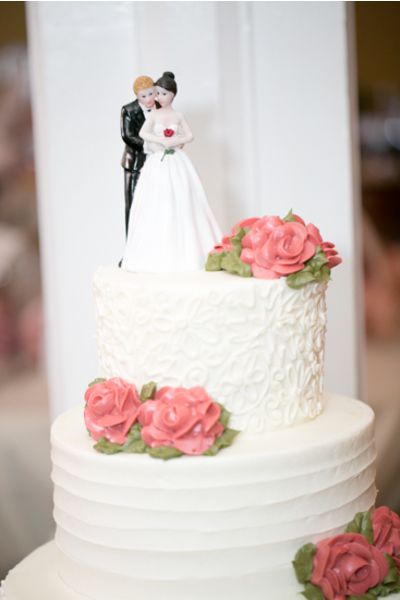 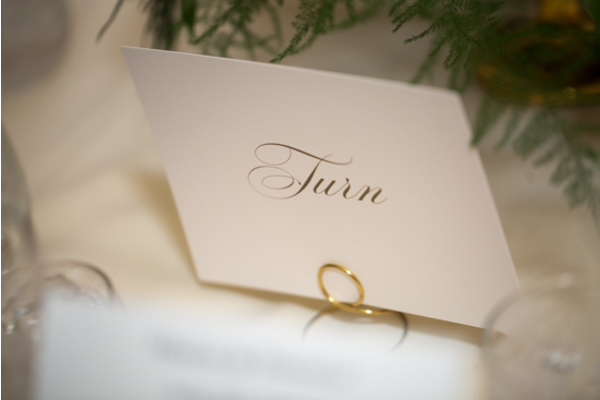 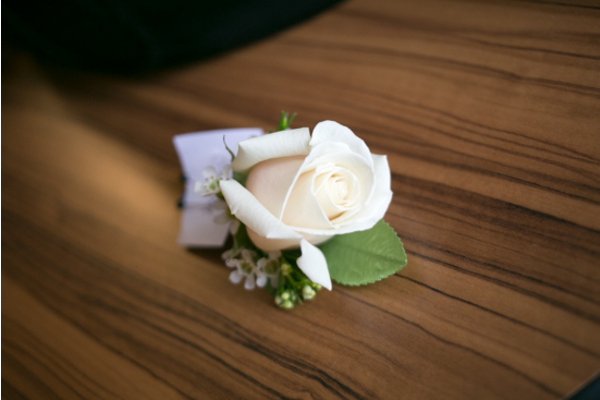 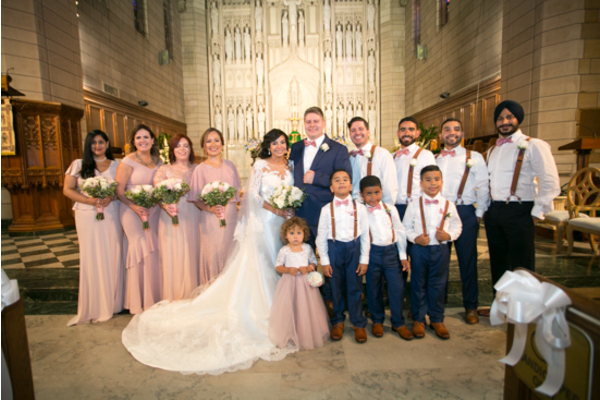 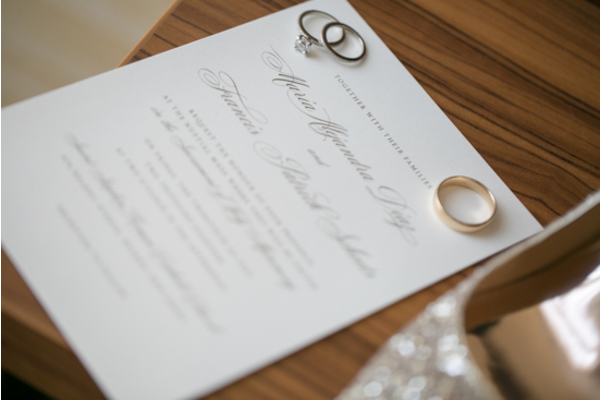 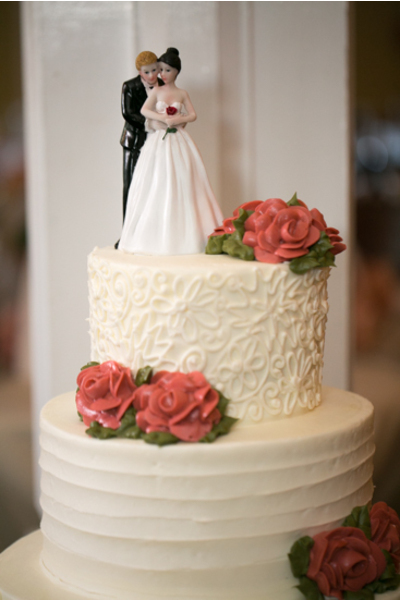 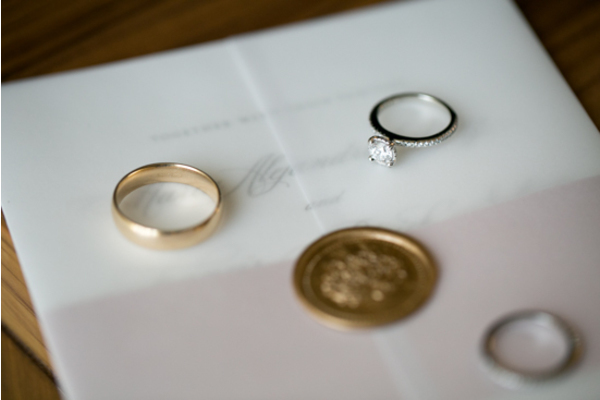 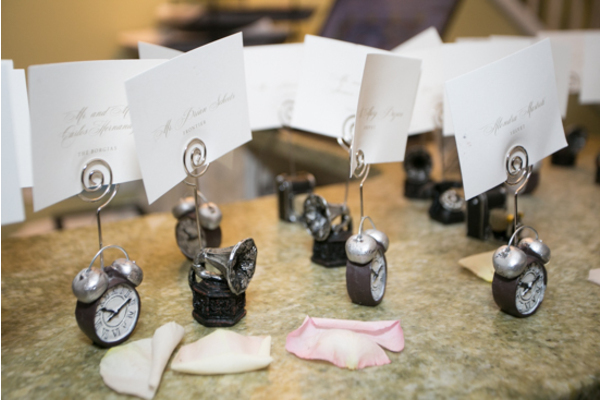 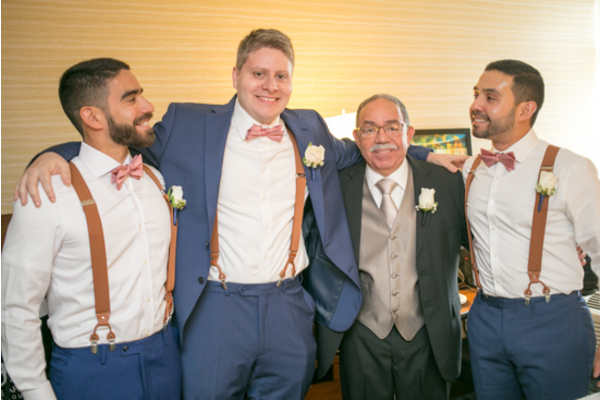 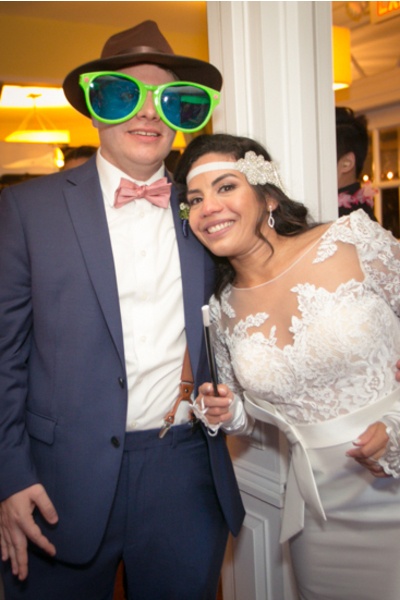 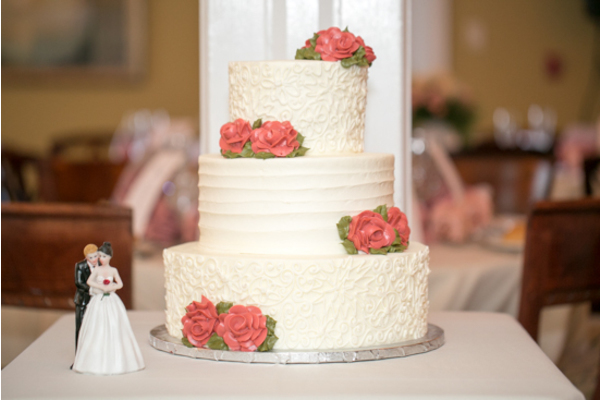 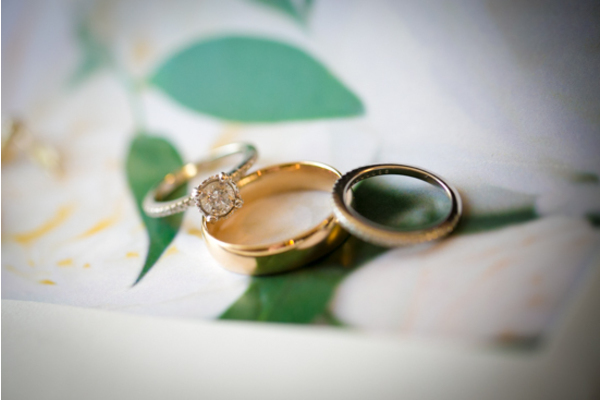 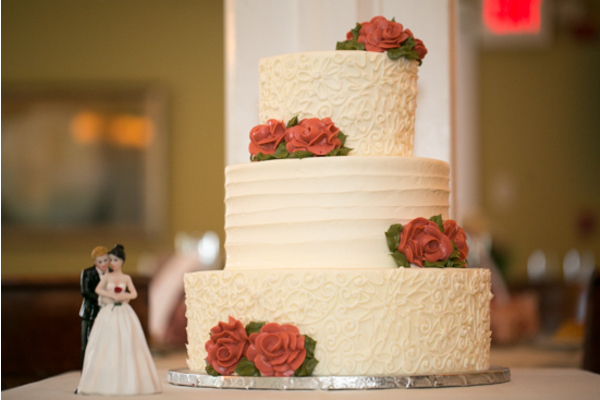 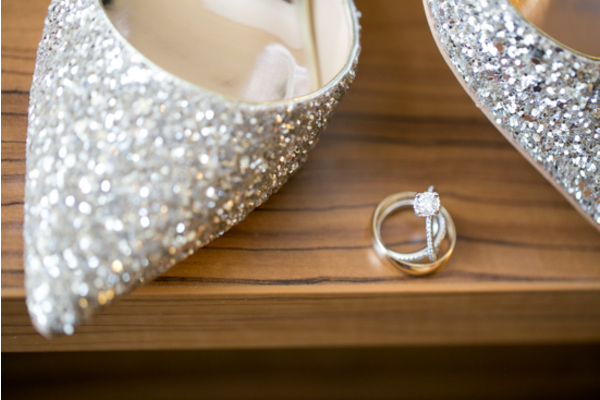 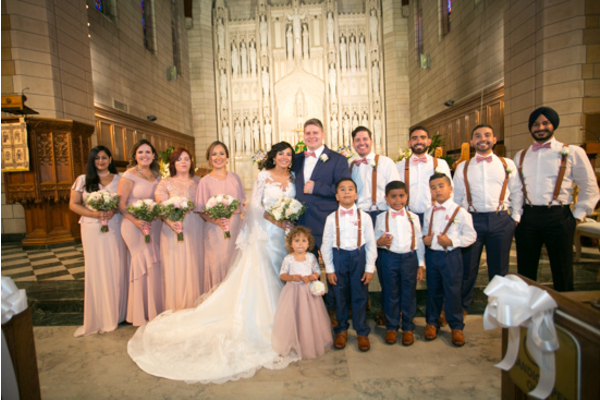 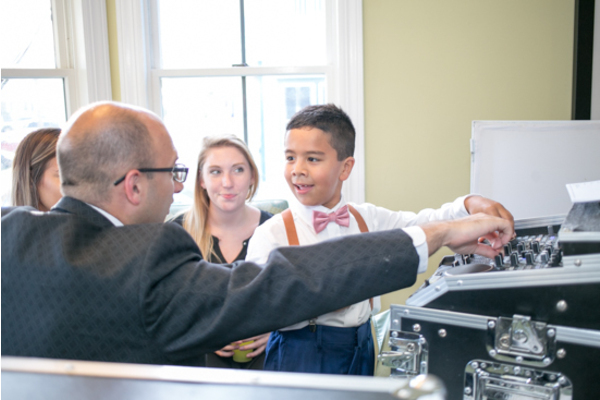 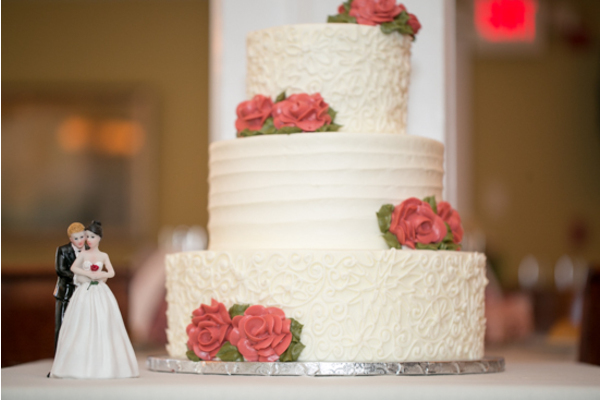 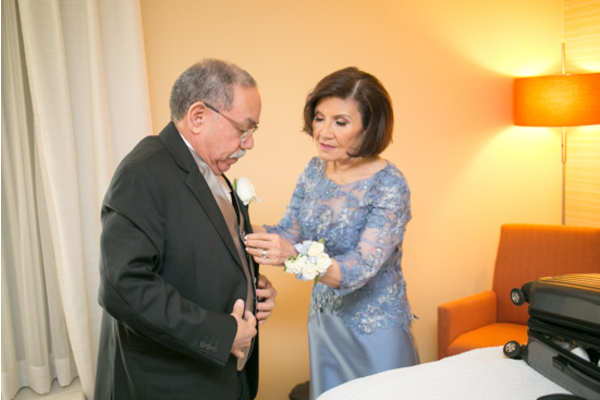 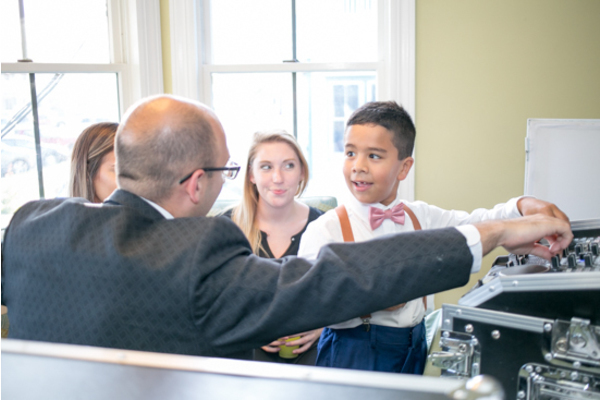 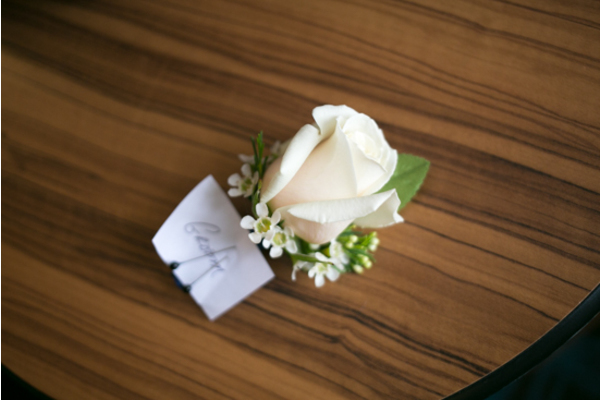 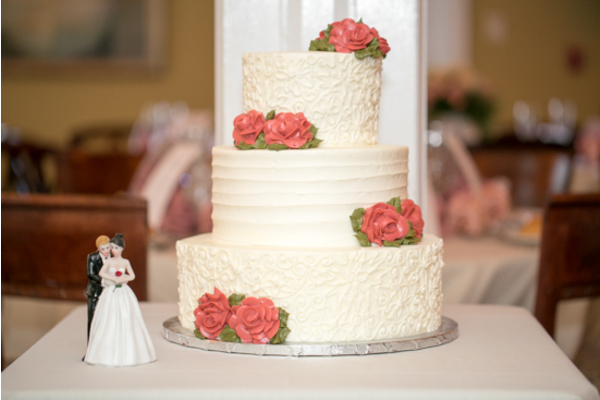 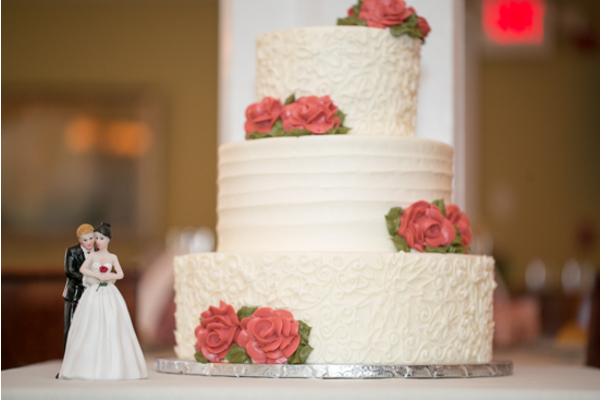 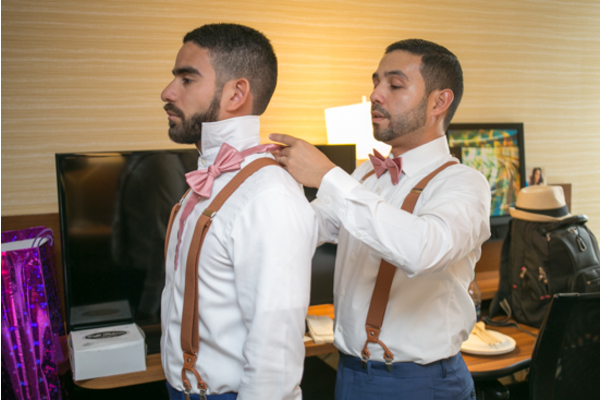 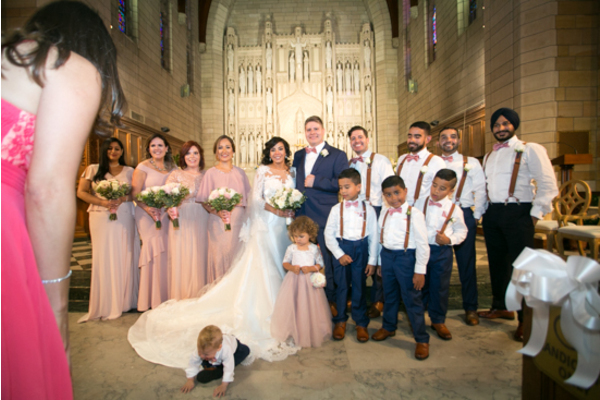 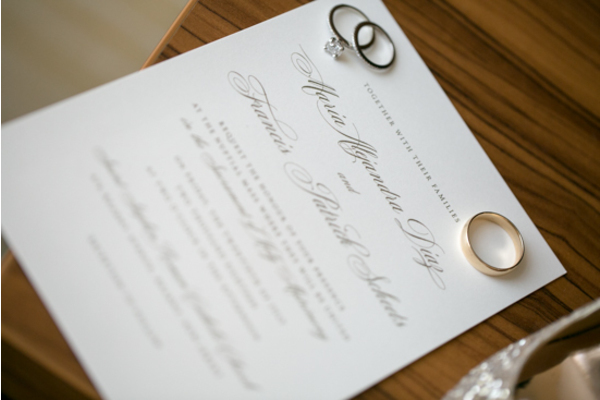 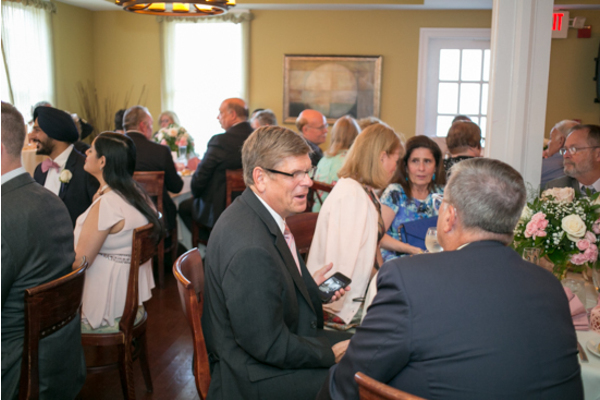 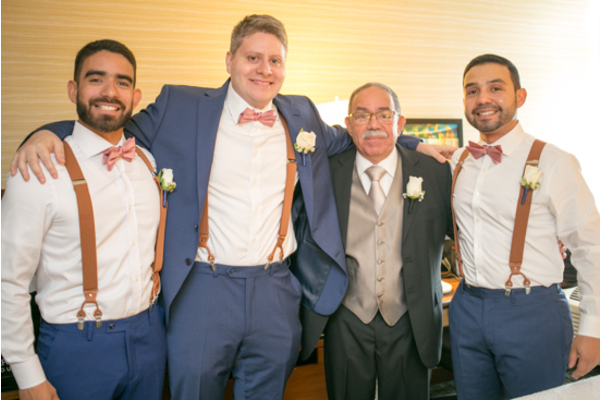 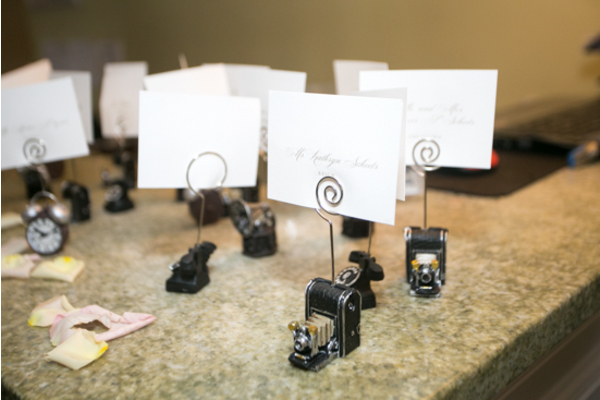 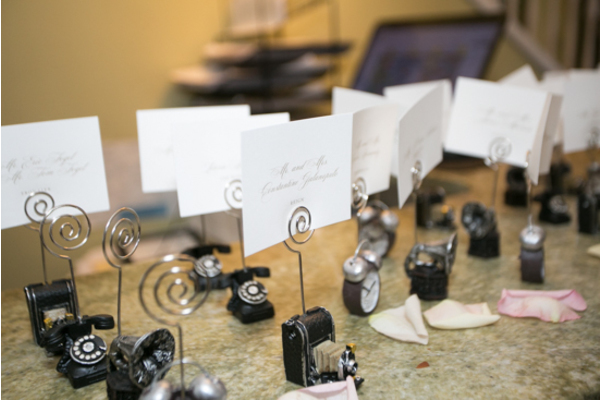 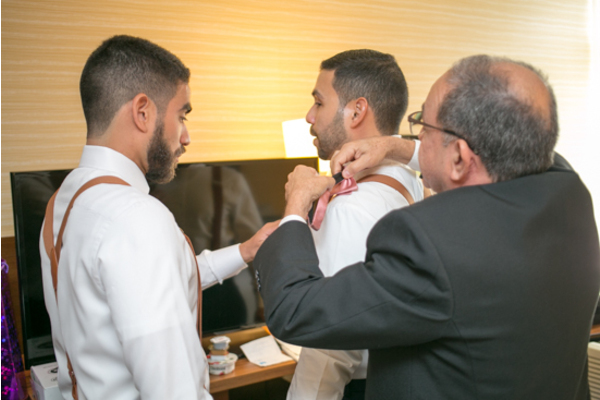 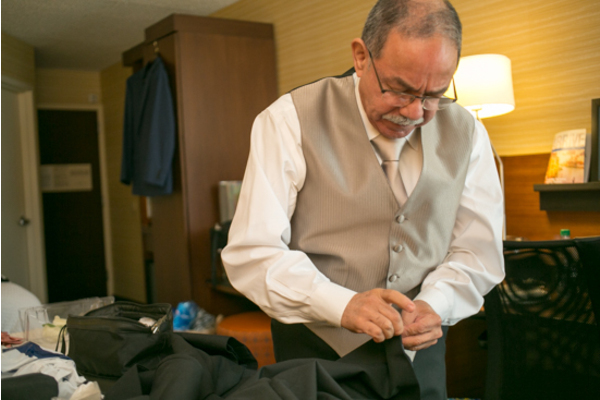 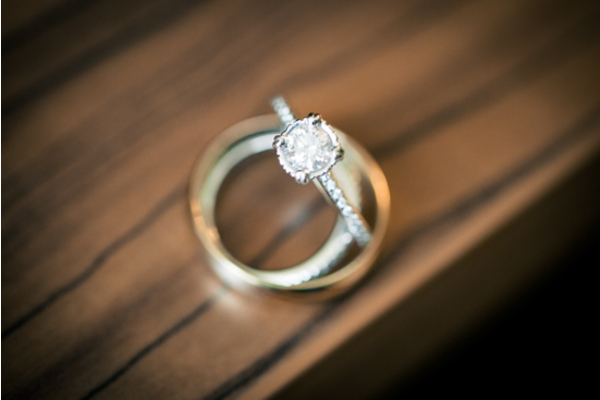 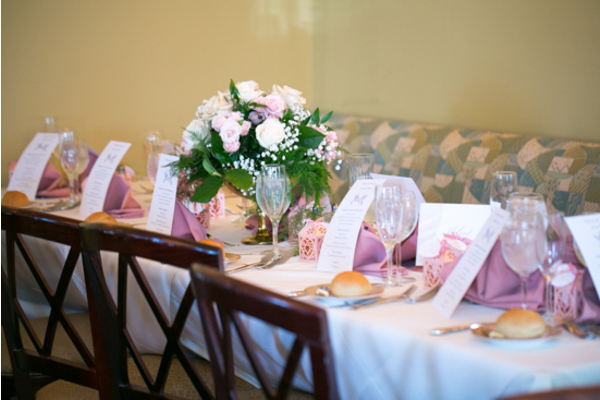 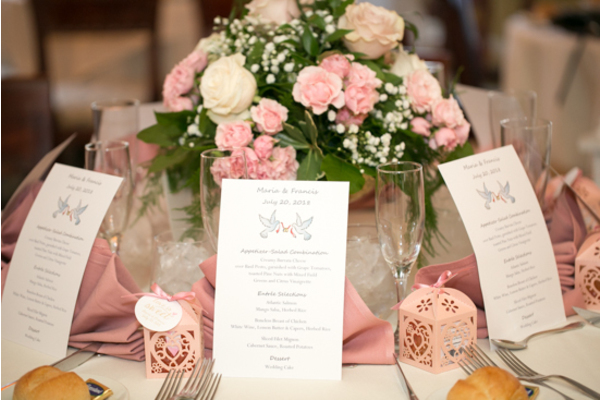 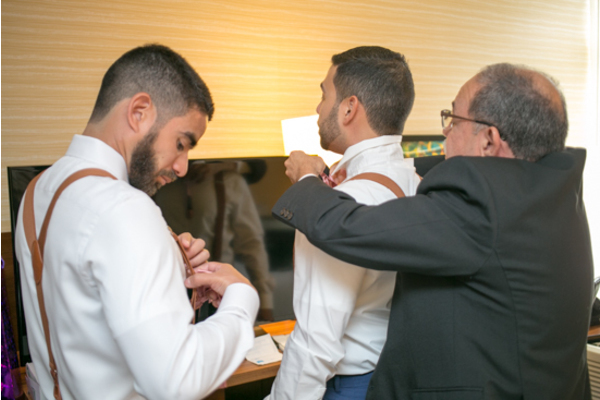 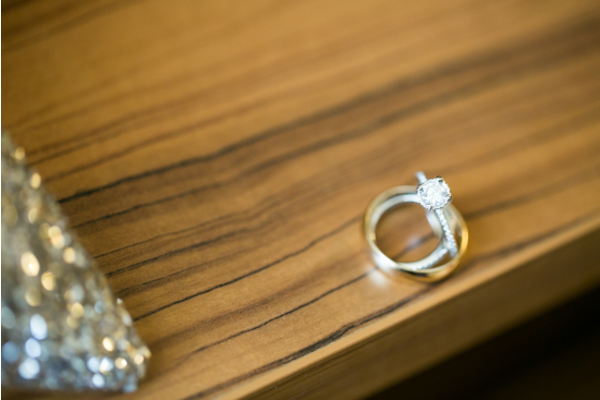 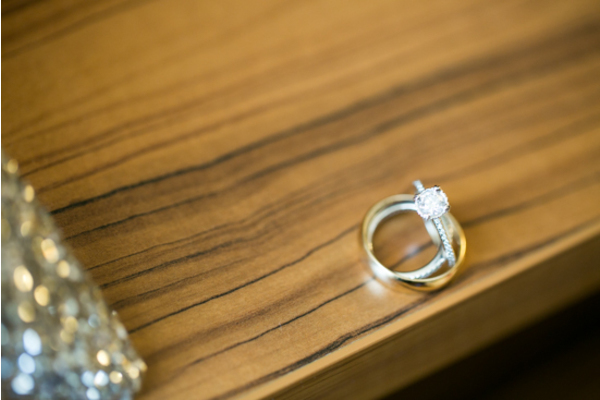 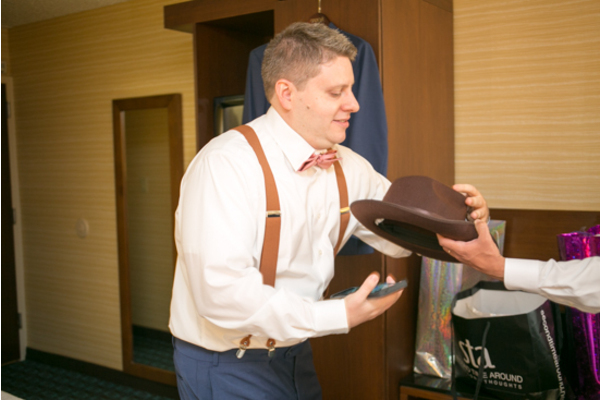 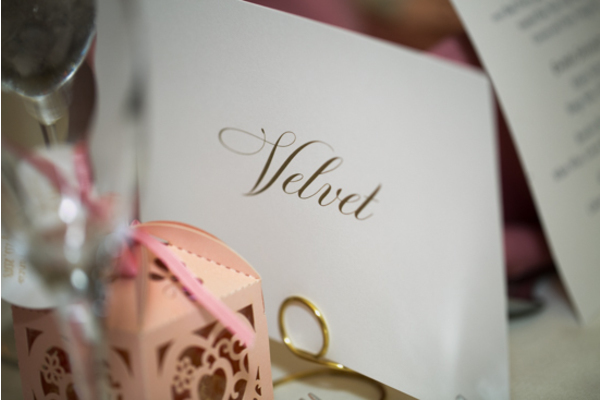 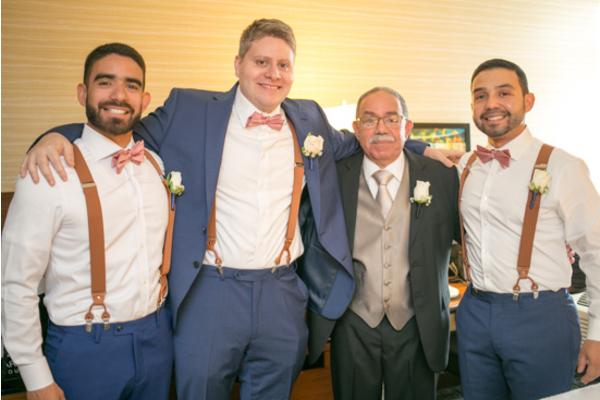 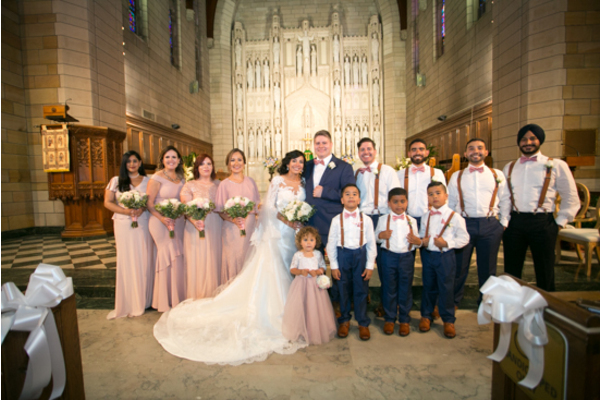 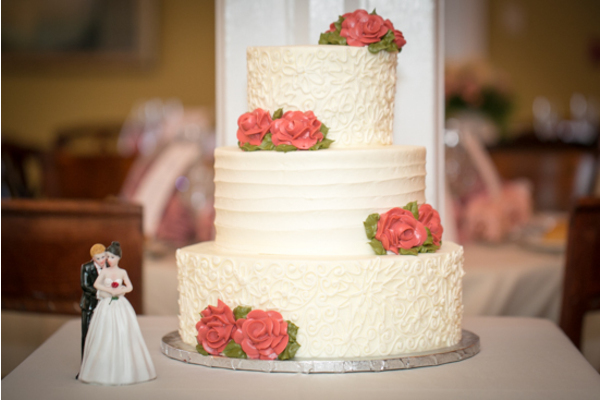 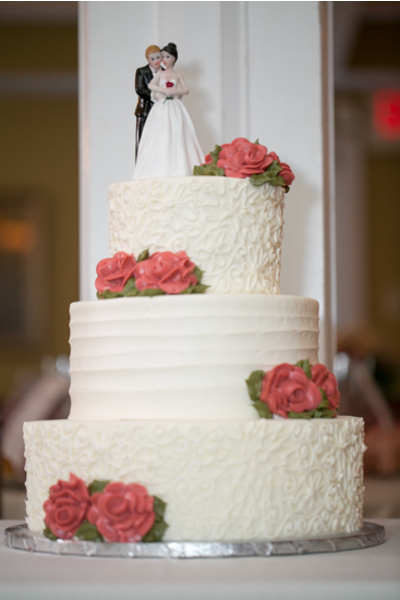 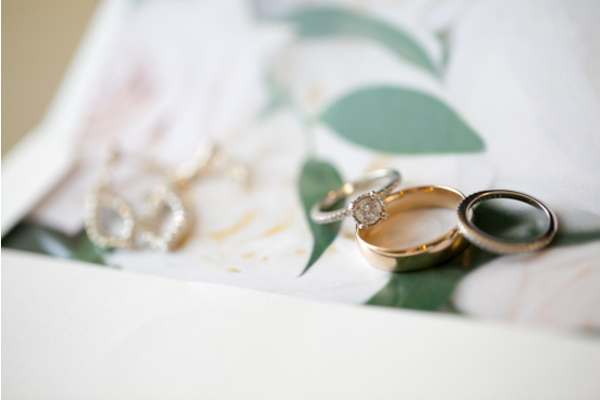 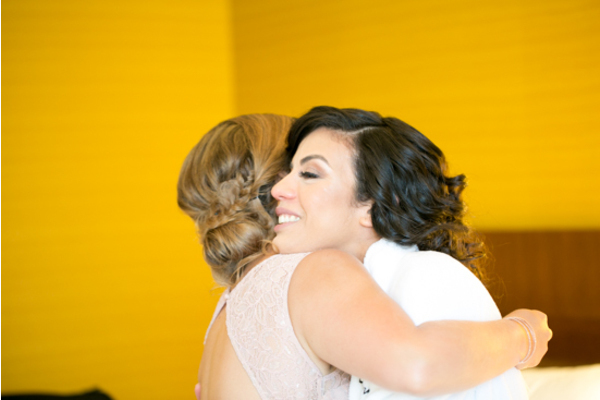 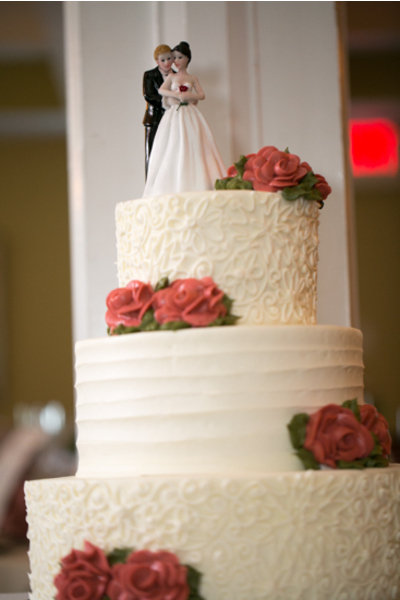 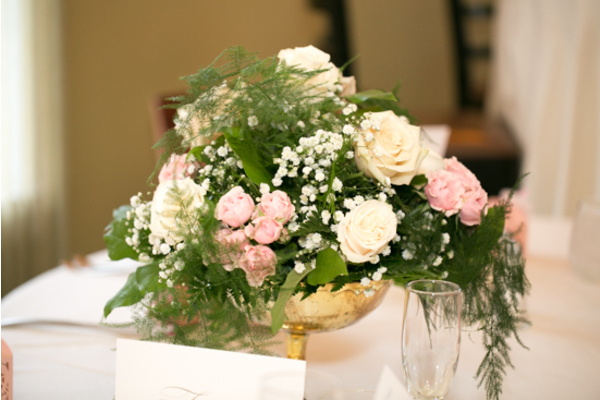 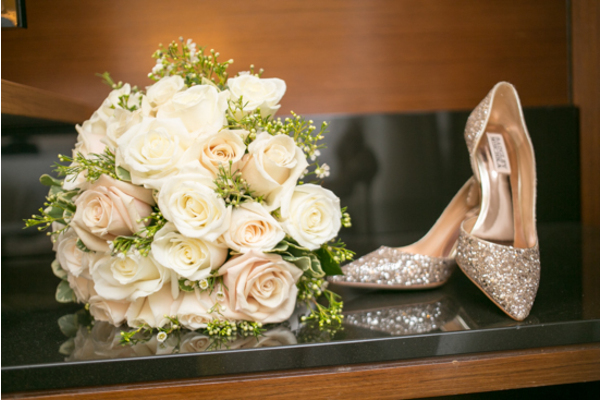 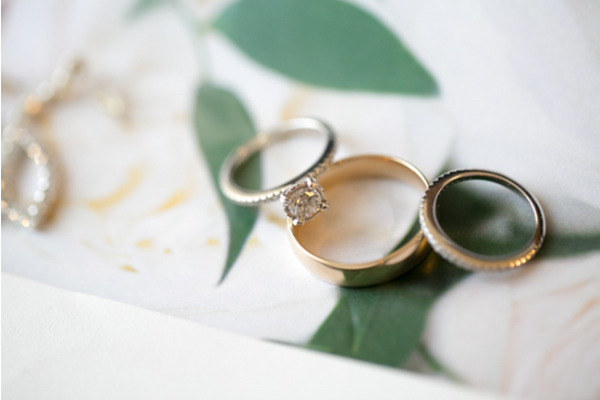 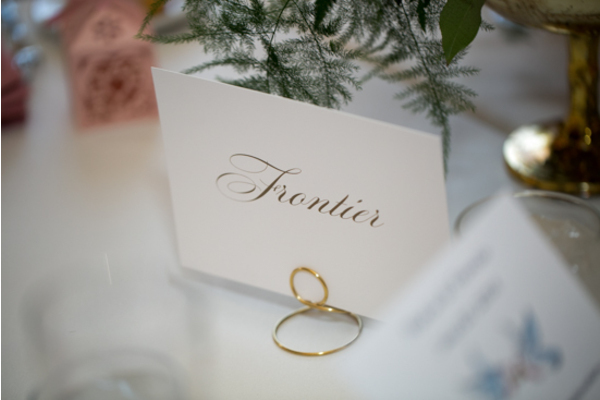 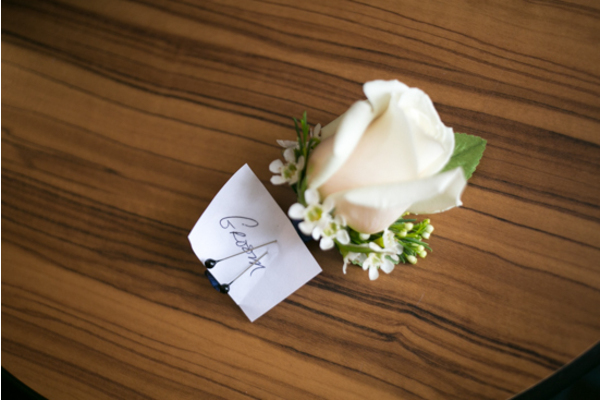 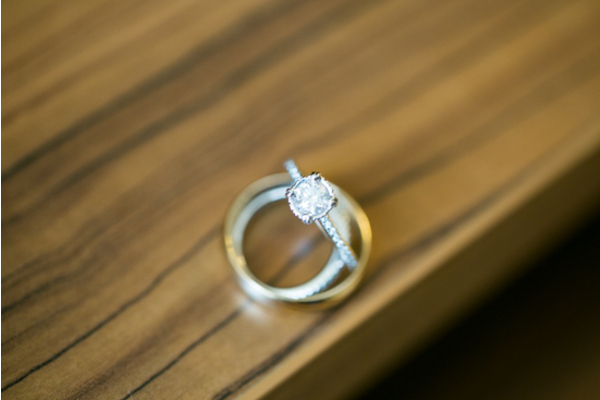 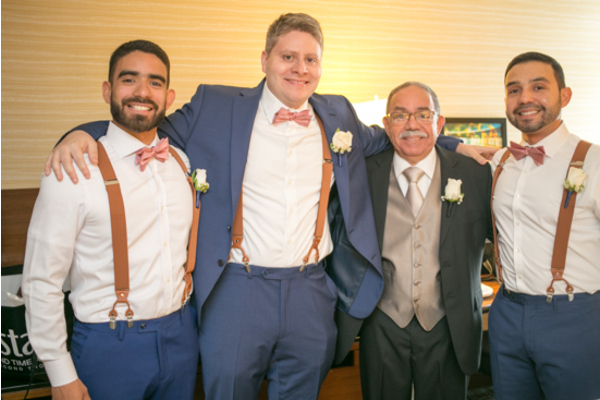 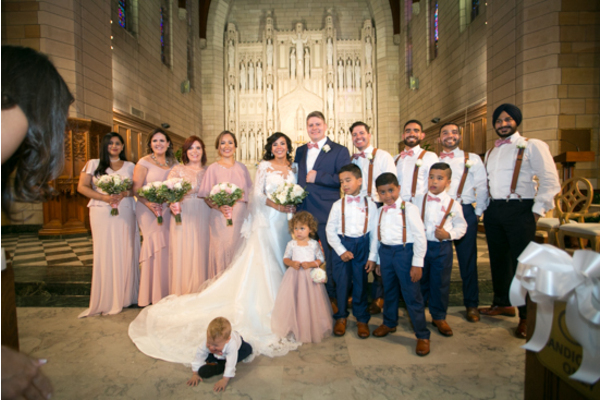 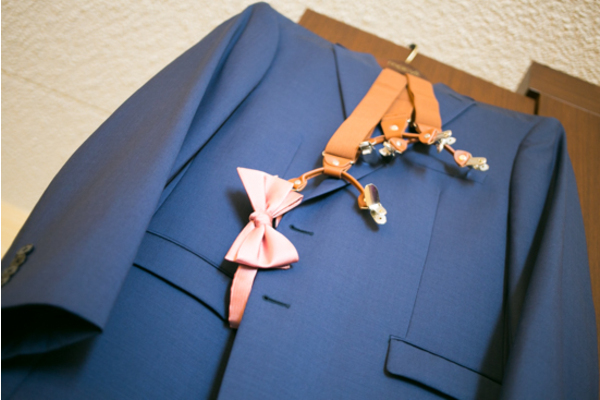 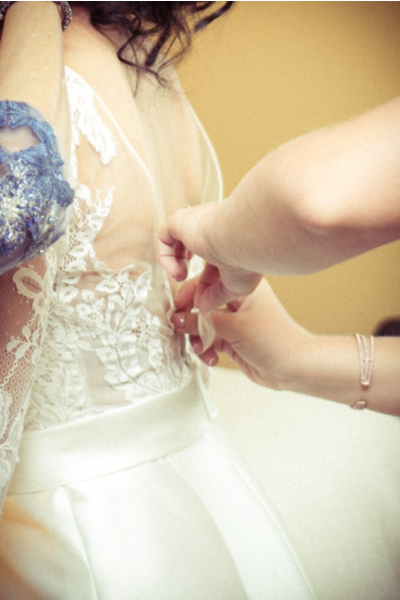 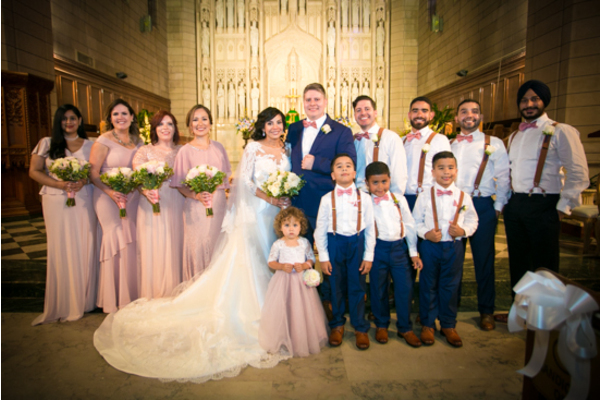 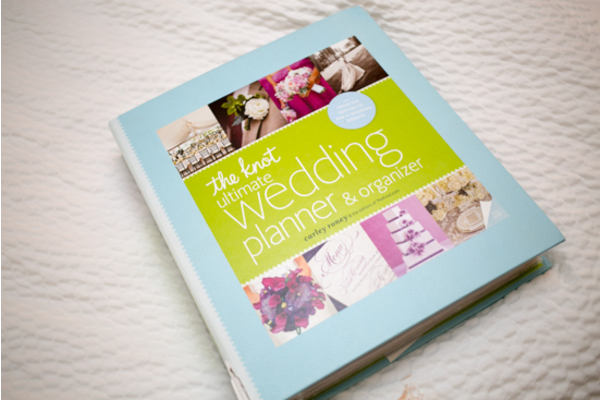 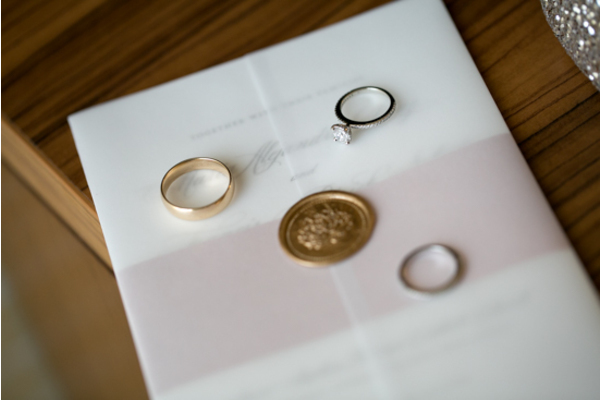 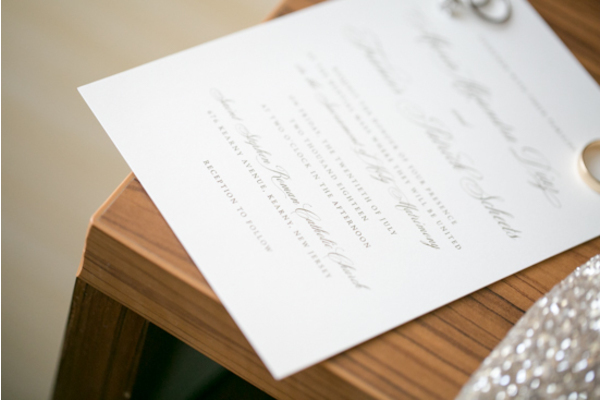 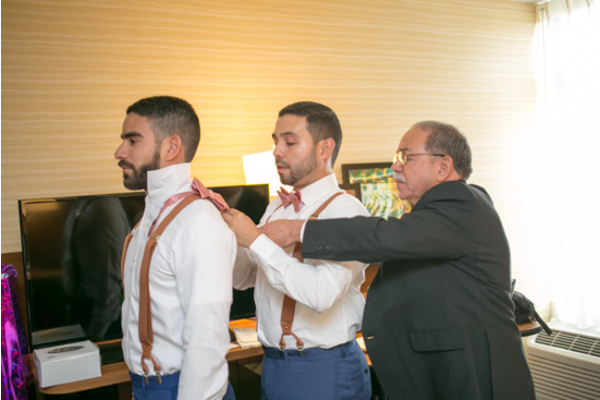 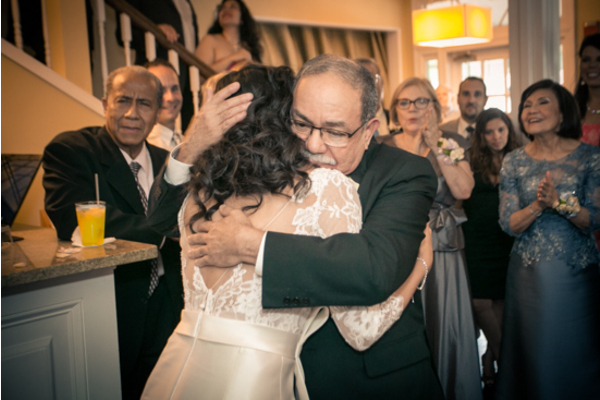 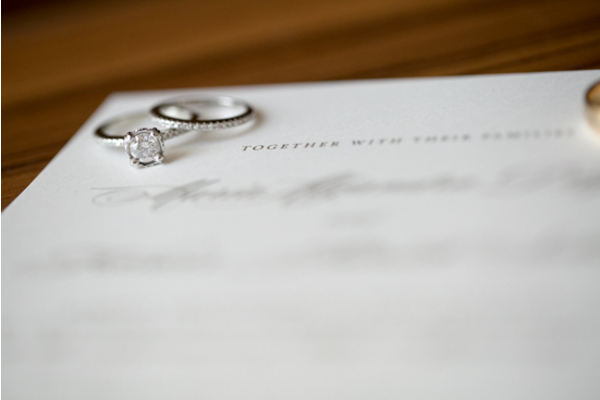 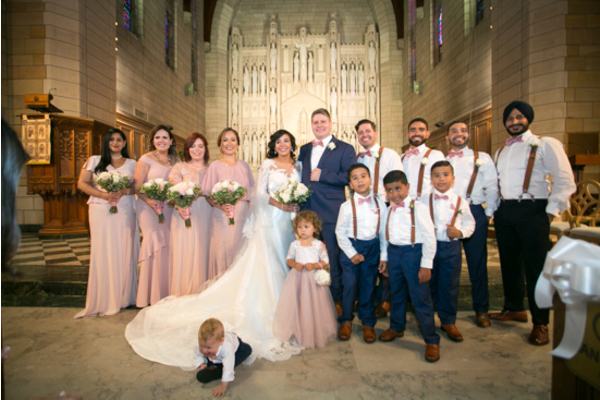 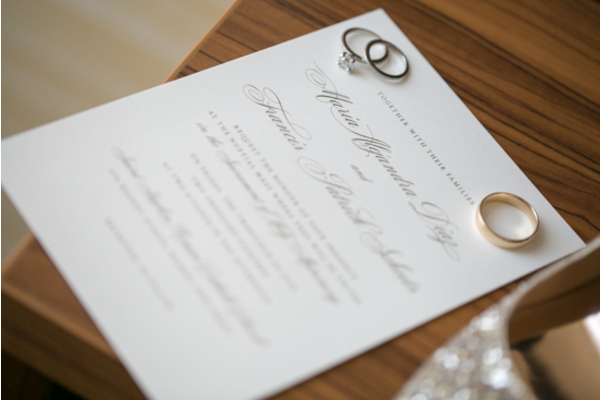 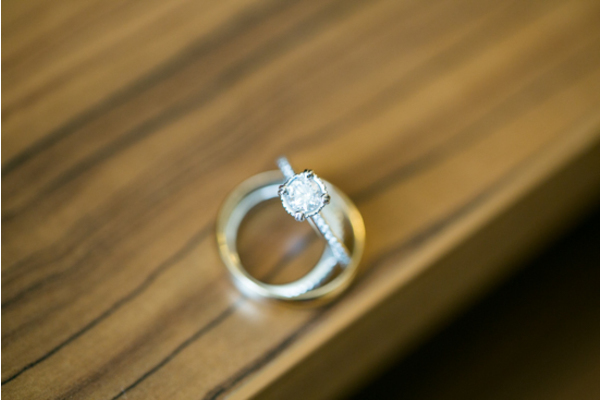 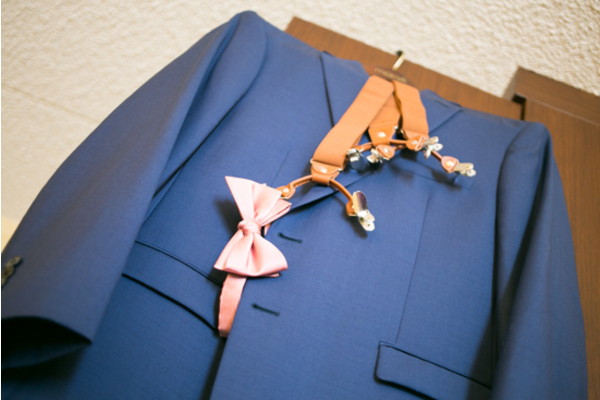 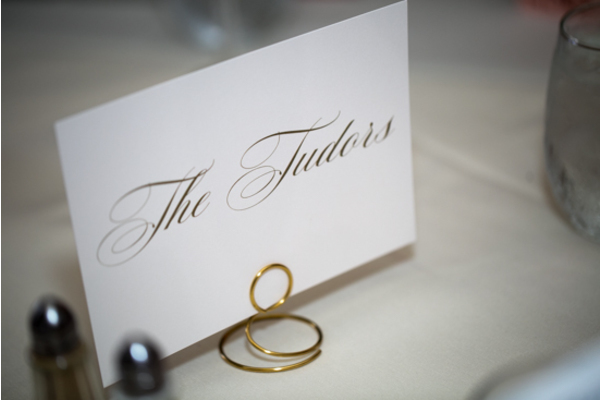 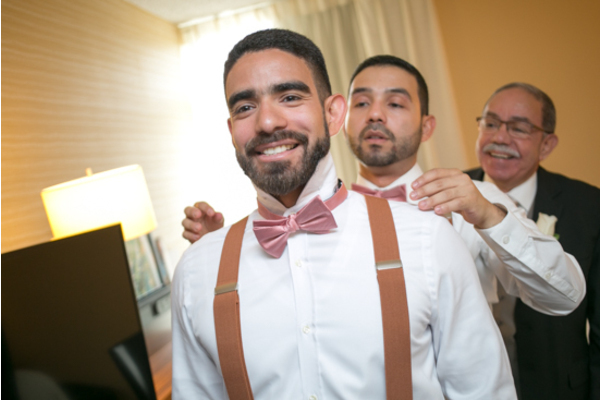 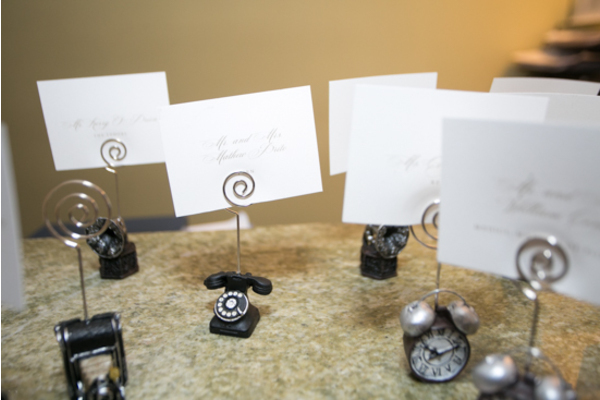 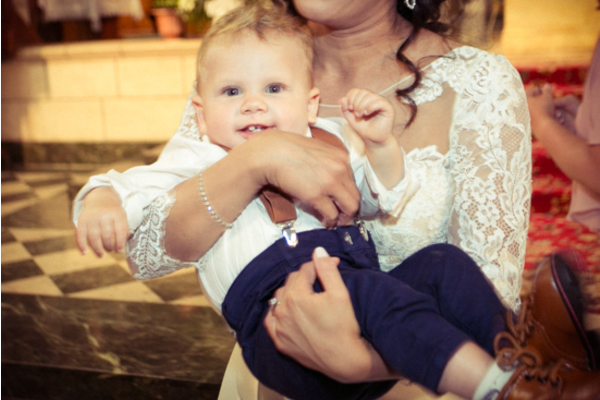 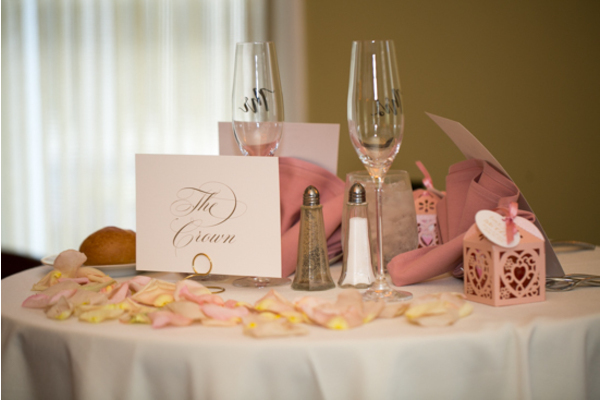 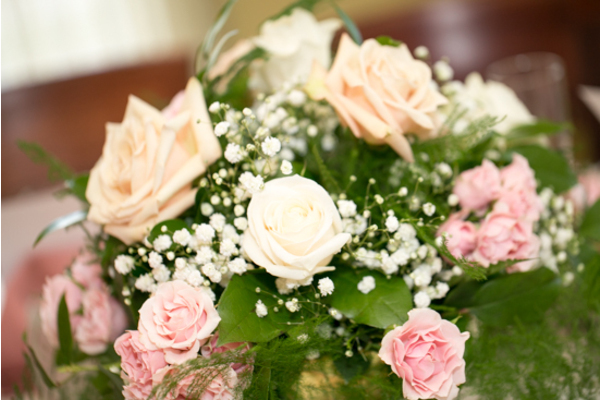 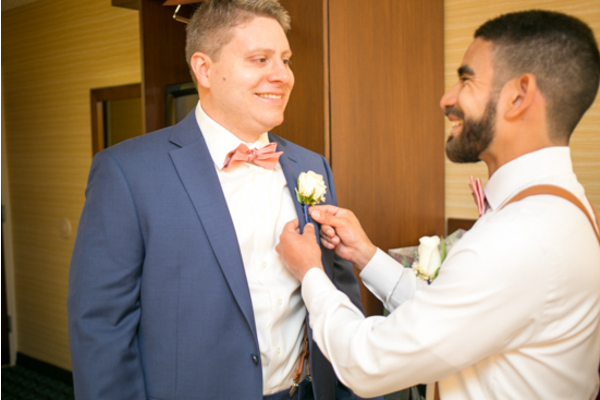 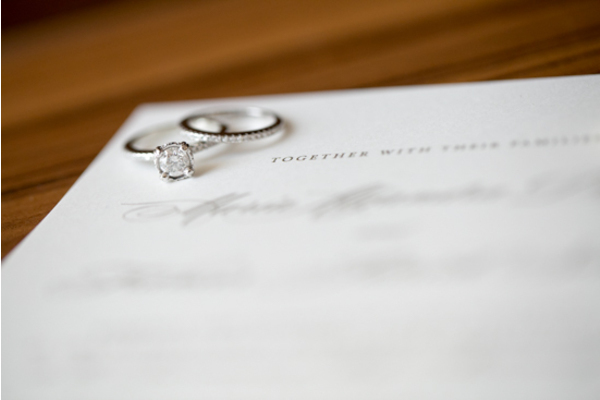 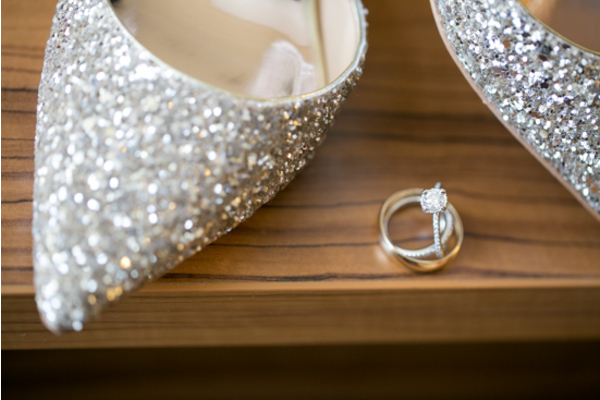 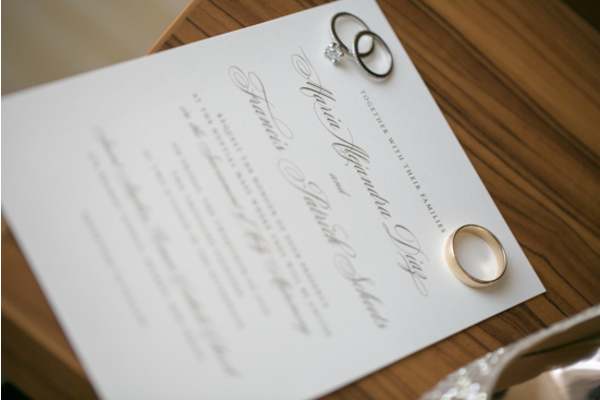 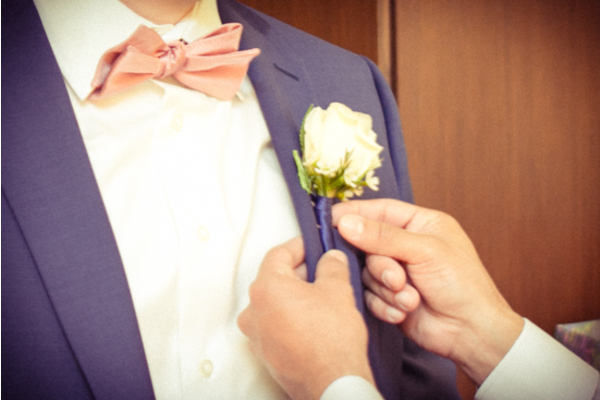 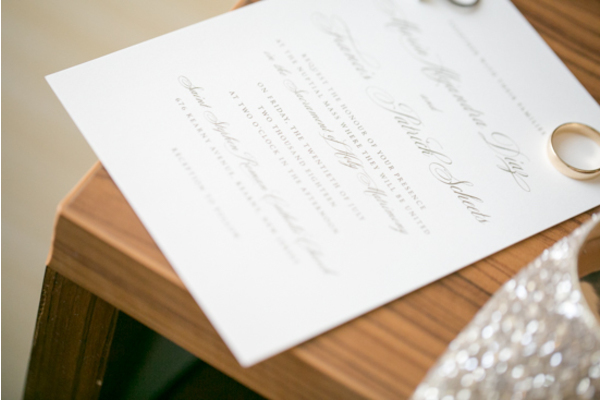 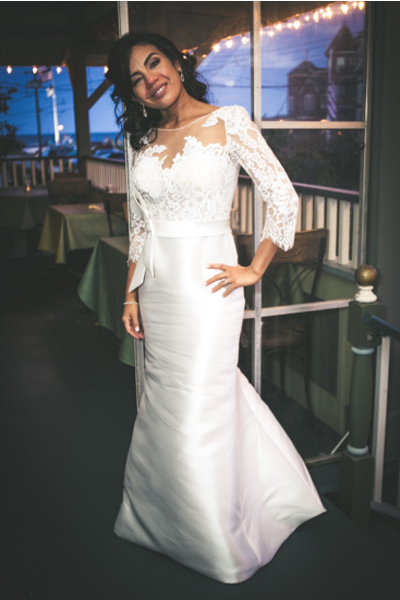 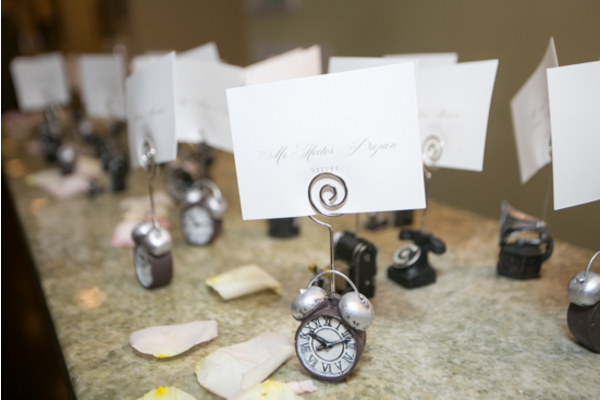 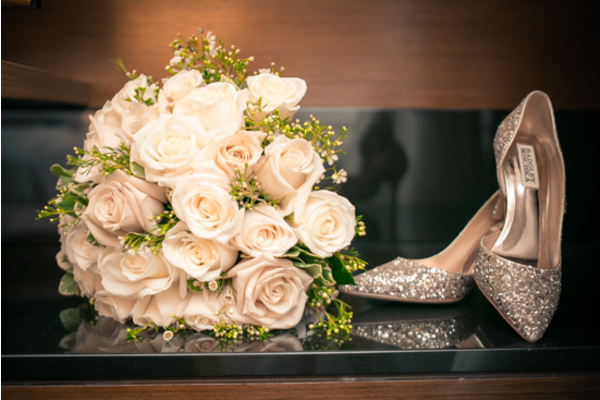 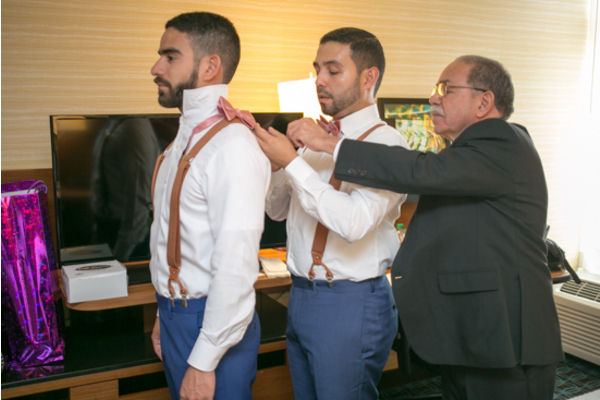 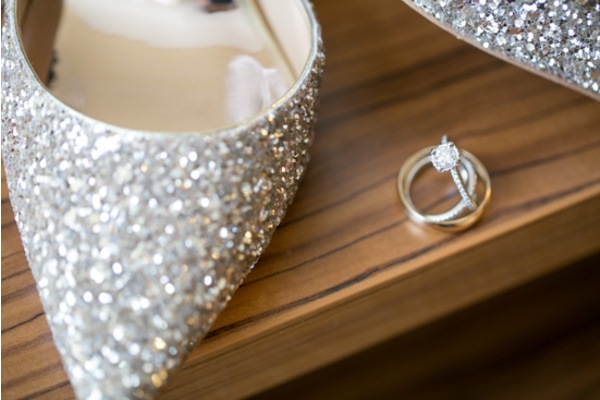 We loved assisting in making your dream wedding come true.